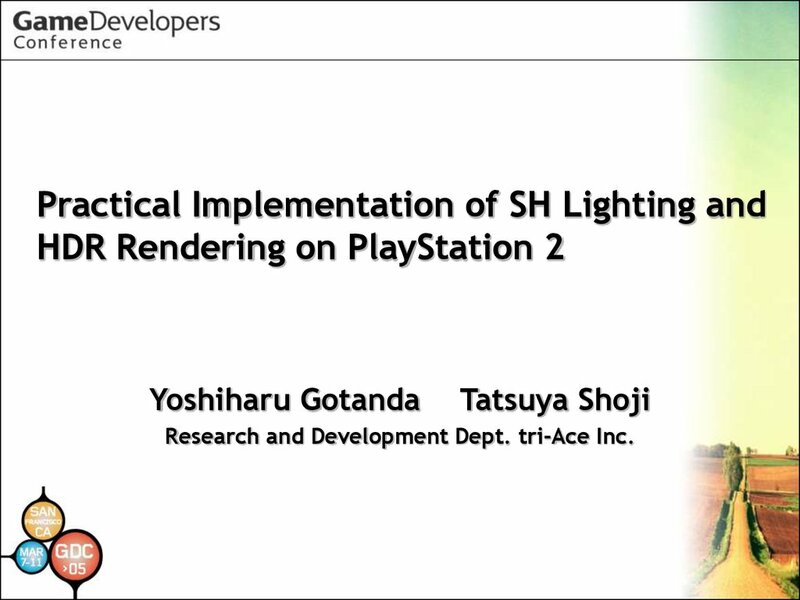 Research and Development Dept. 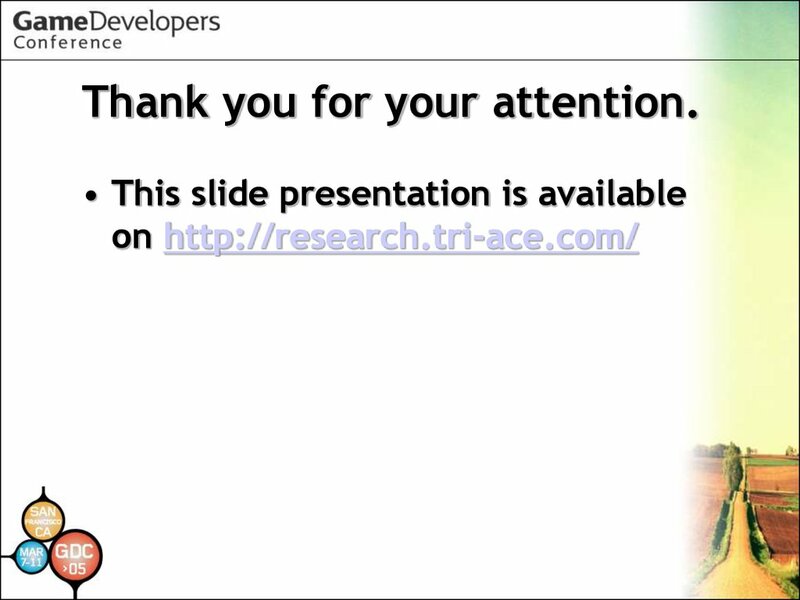 tri-Ace Inc.
• How about by a real camera? 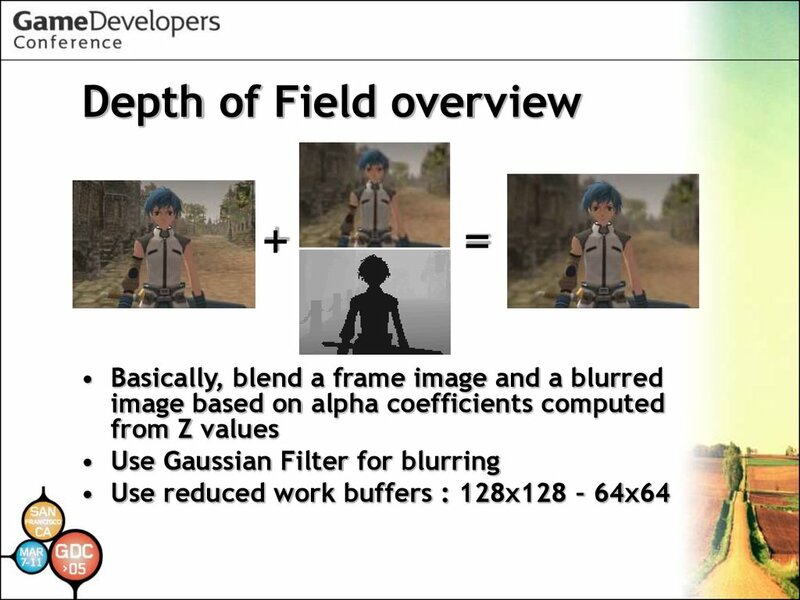 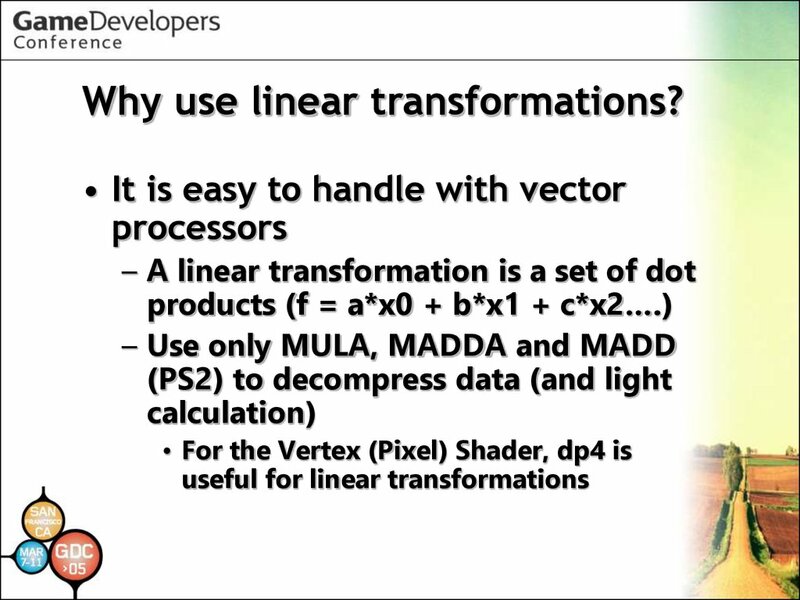 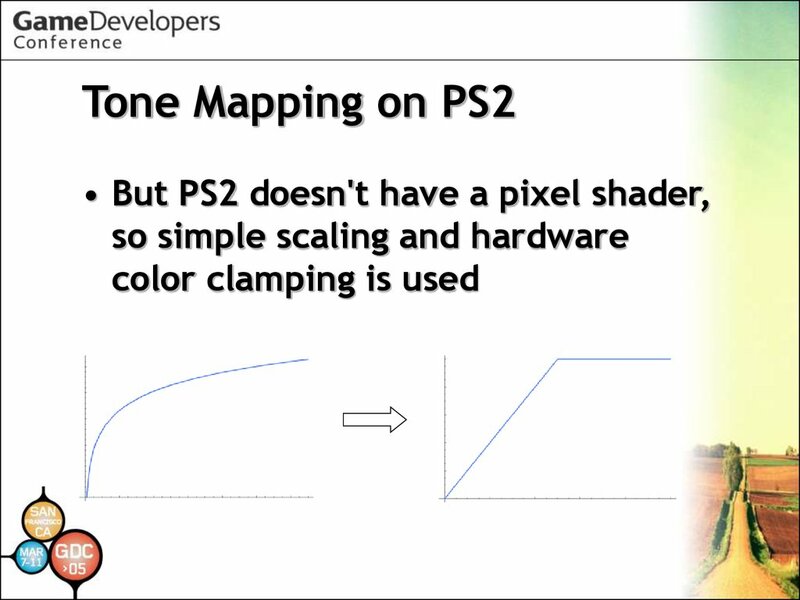 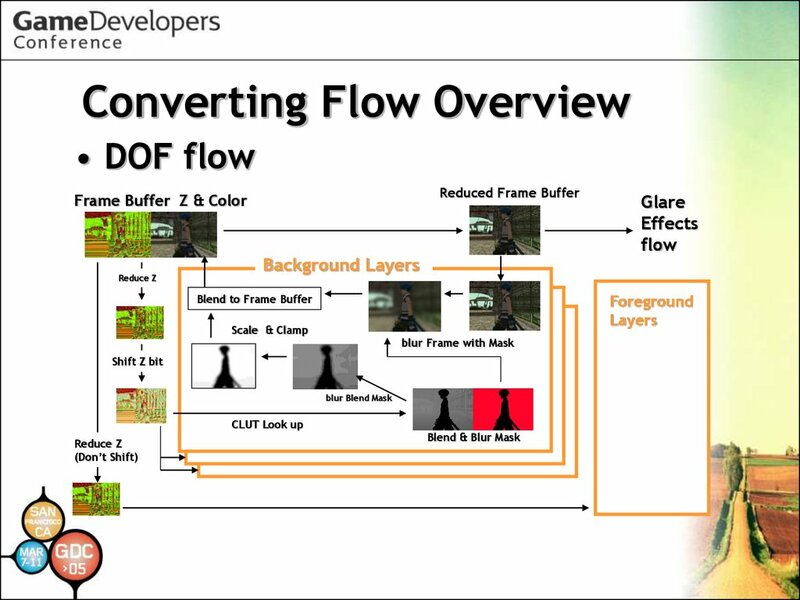 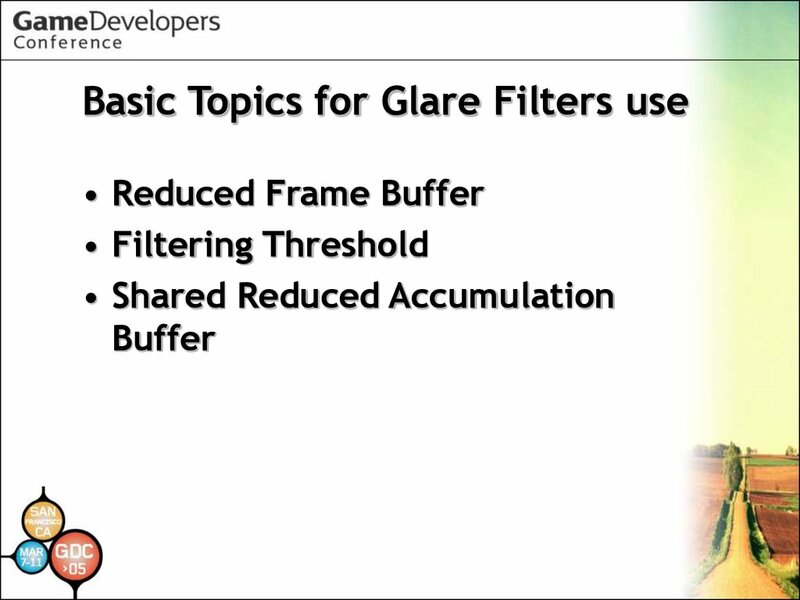 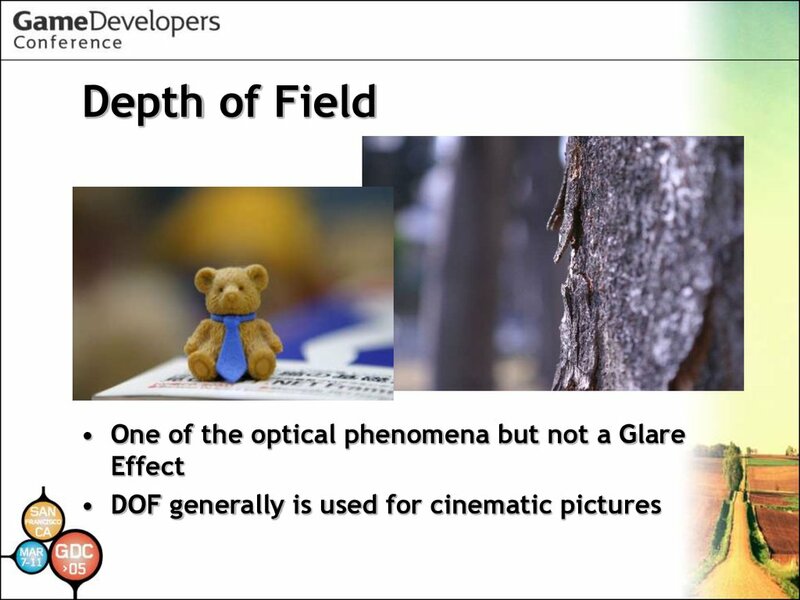 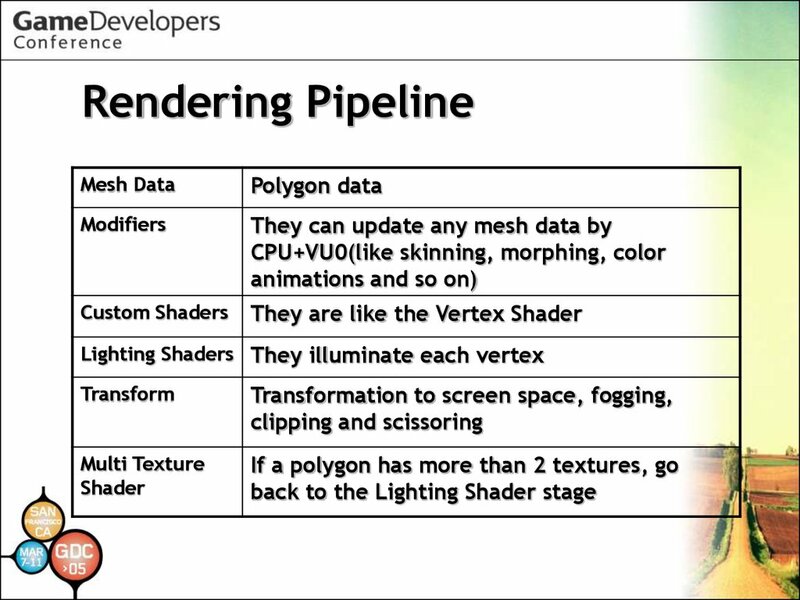 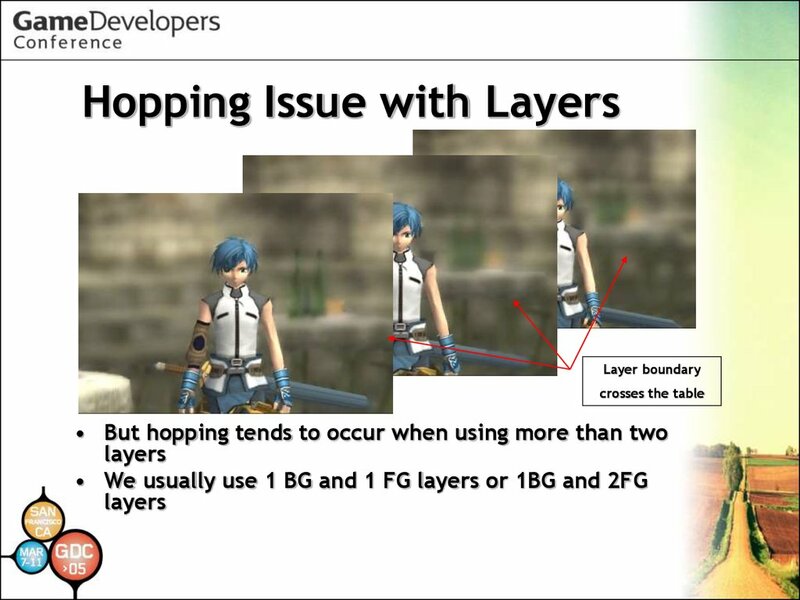 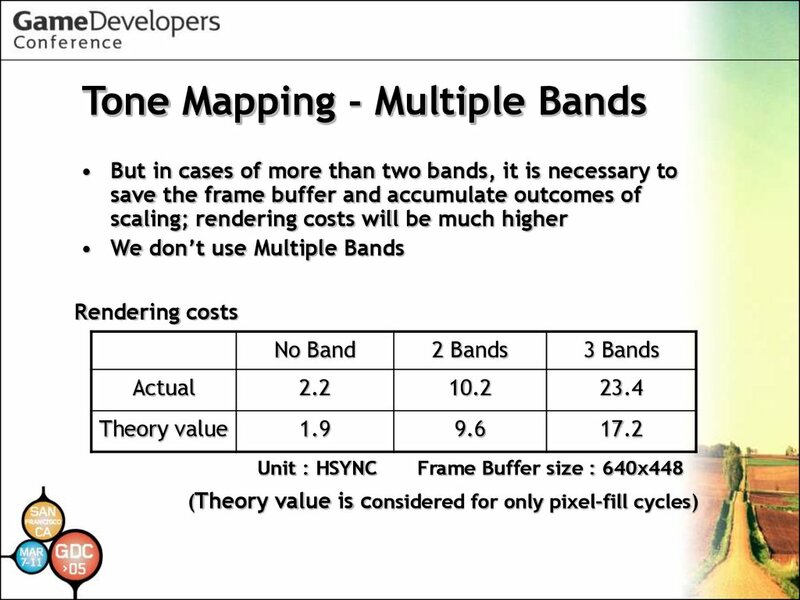 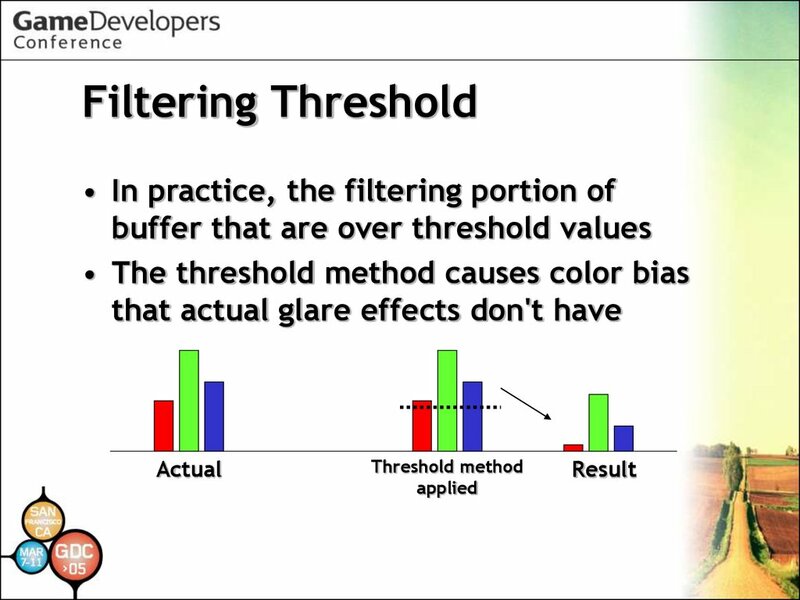 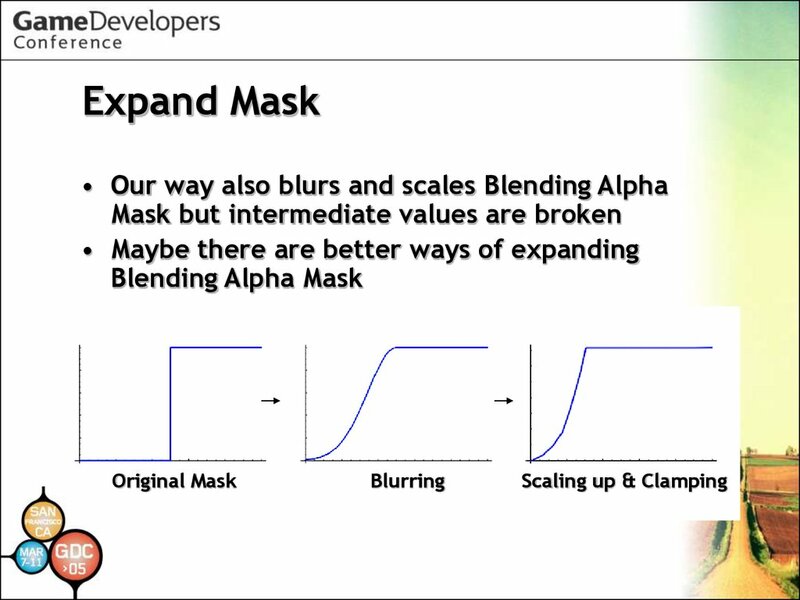 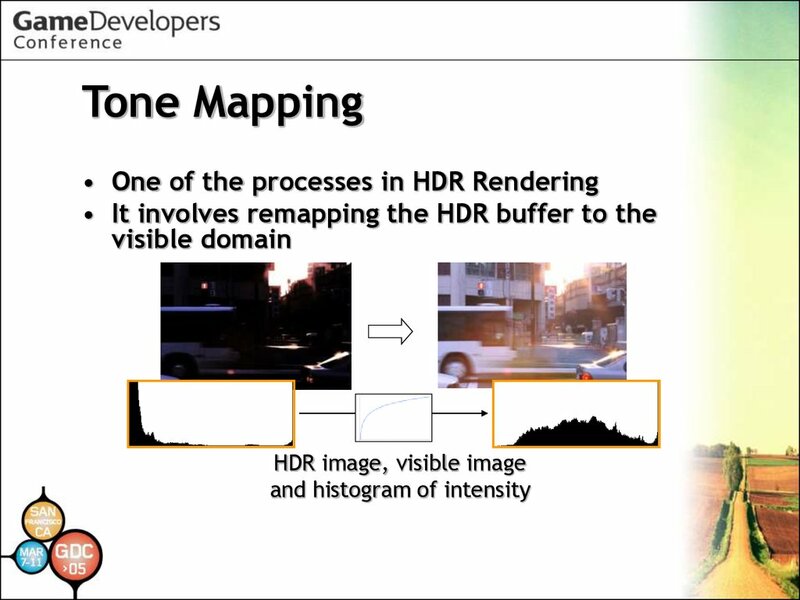 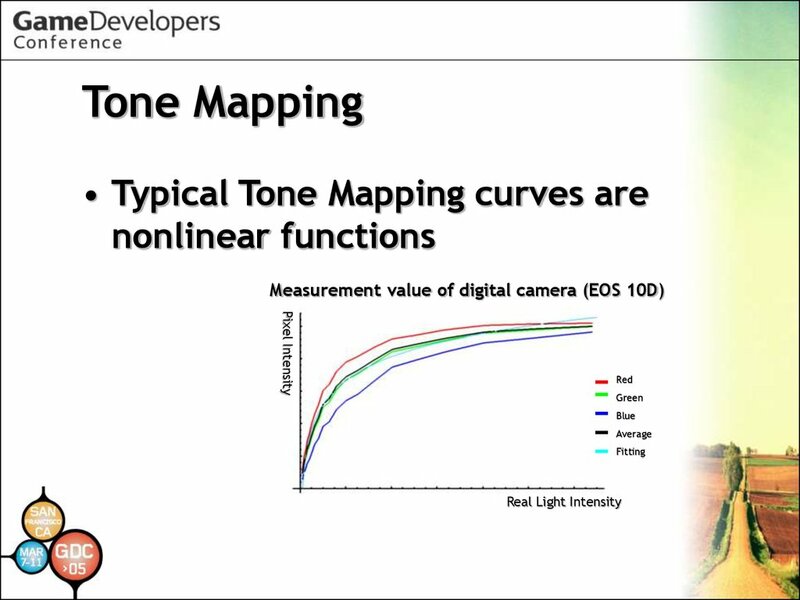 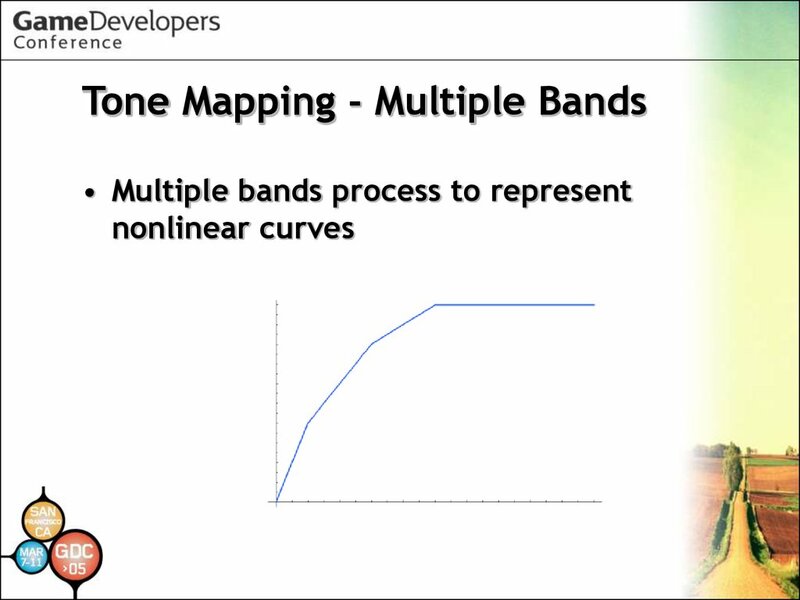 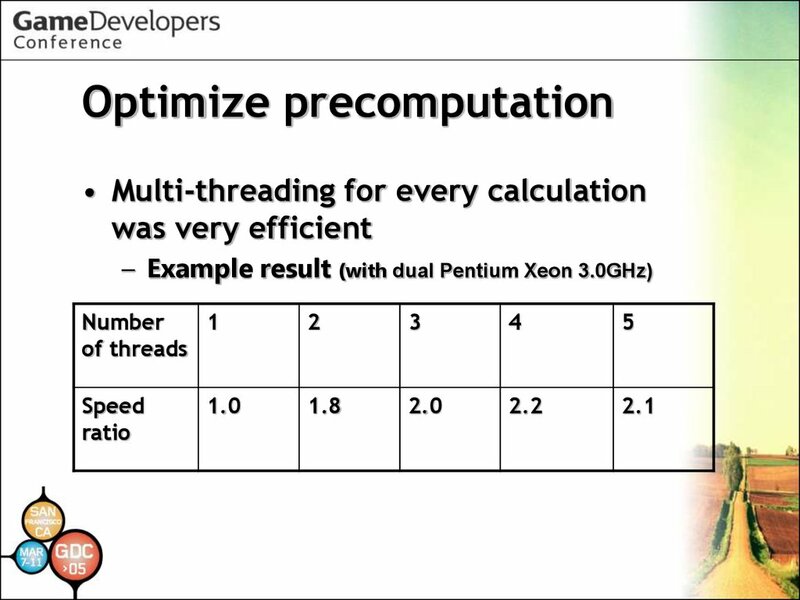 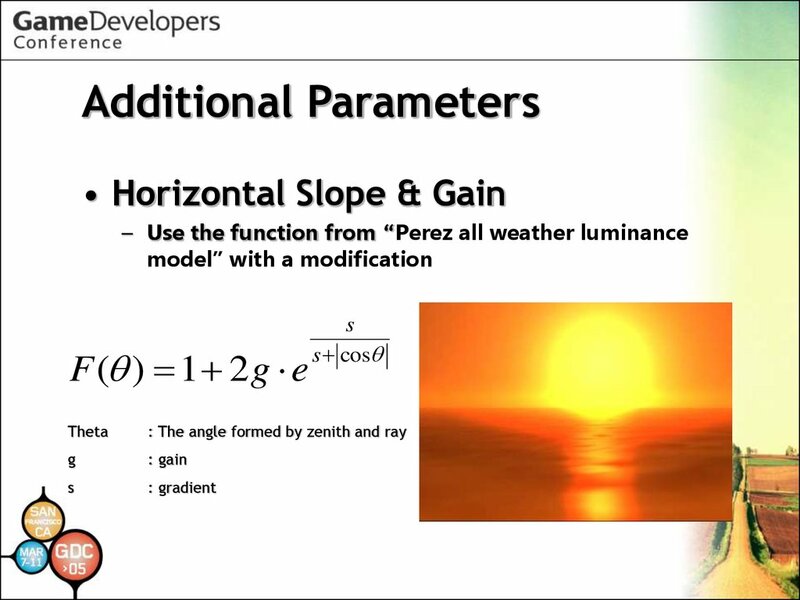 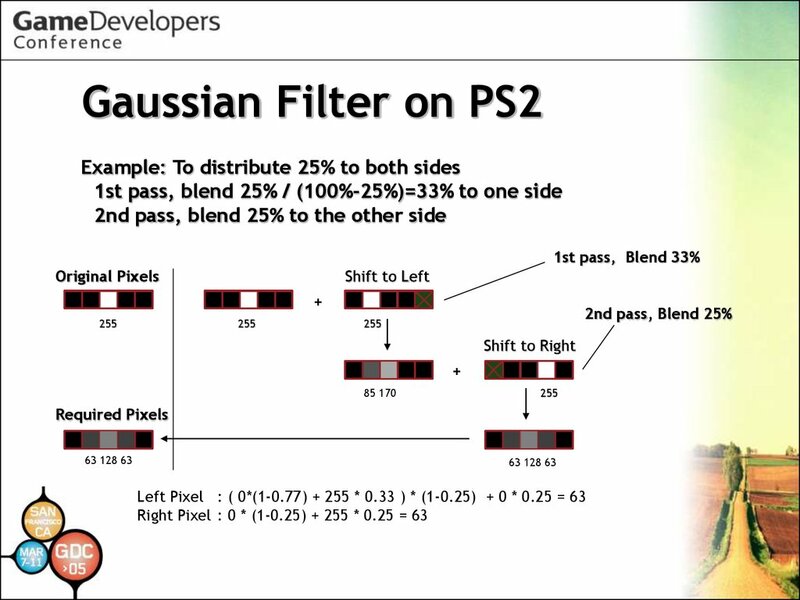 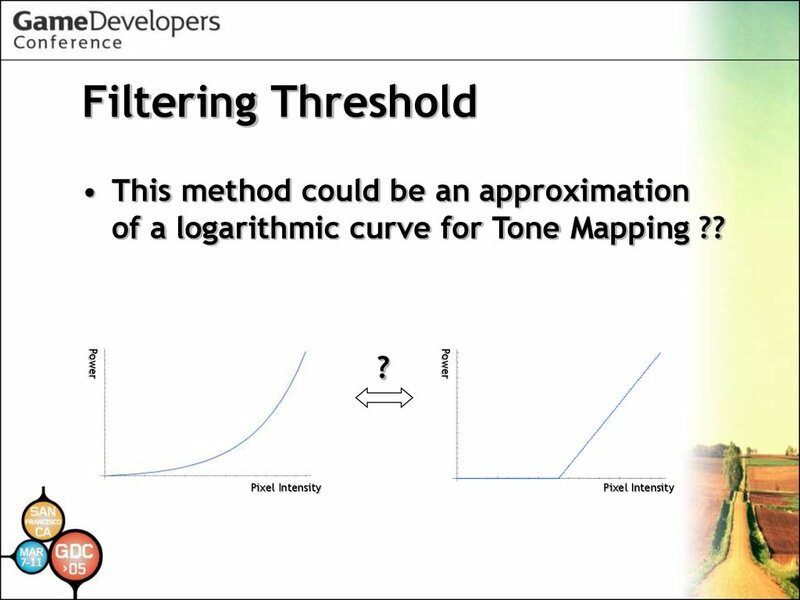 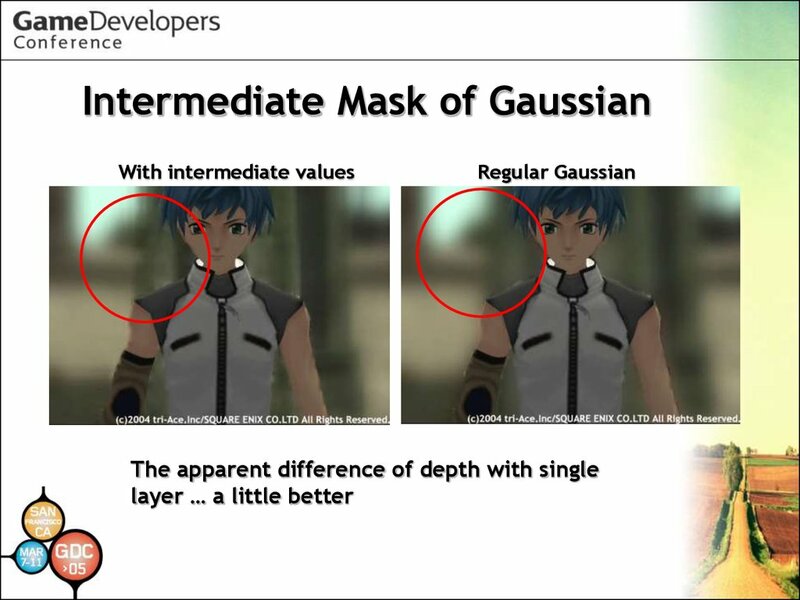 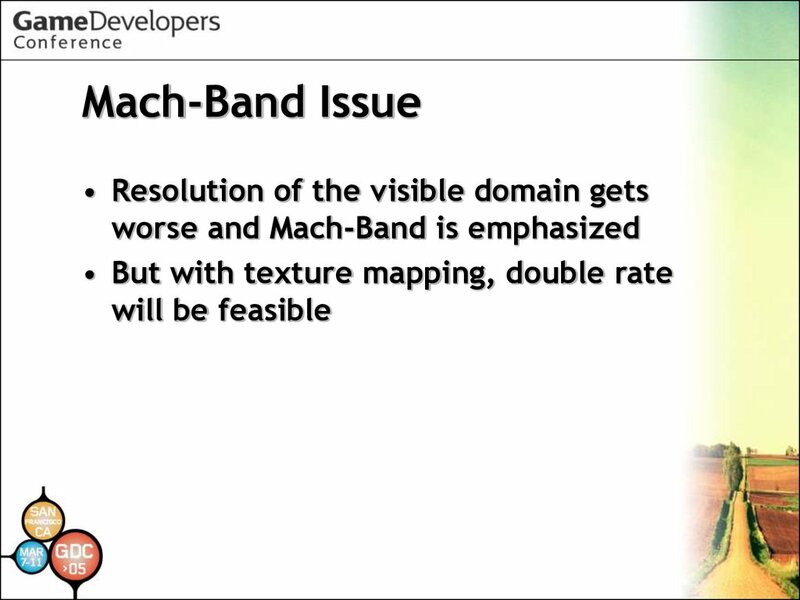 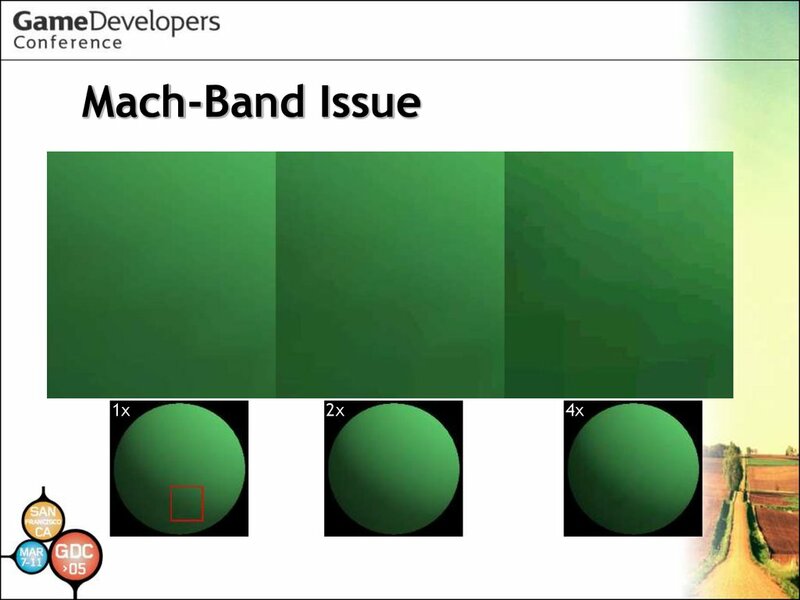 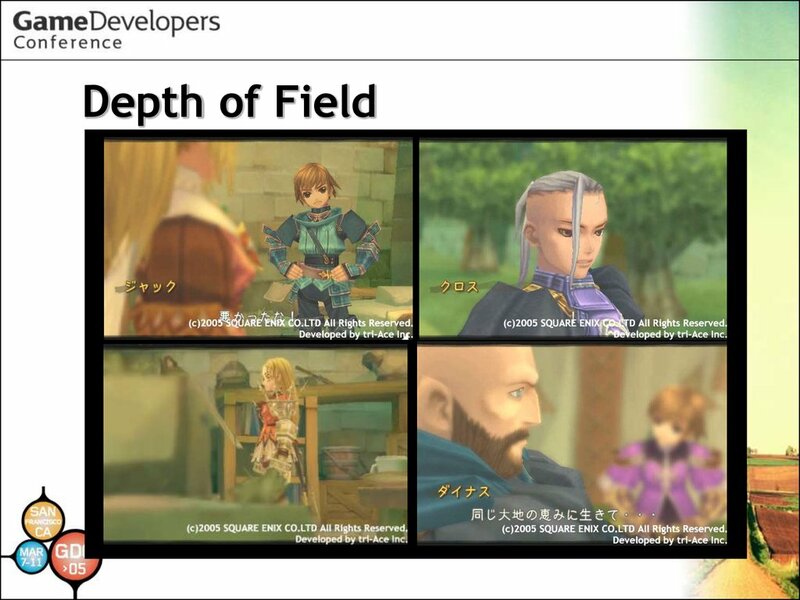 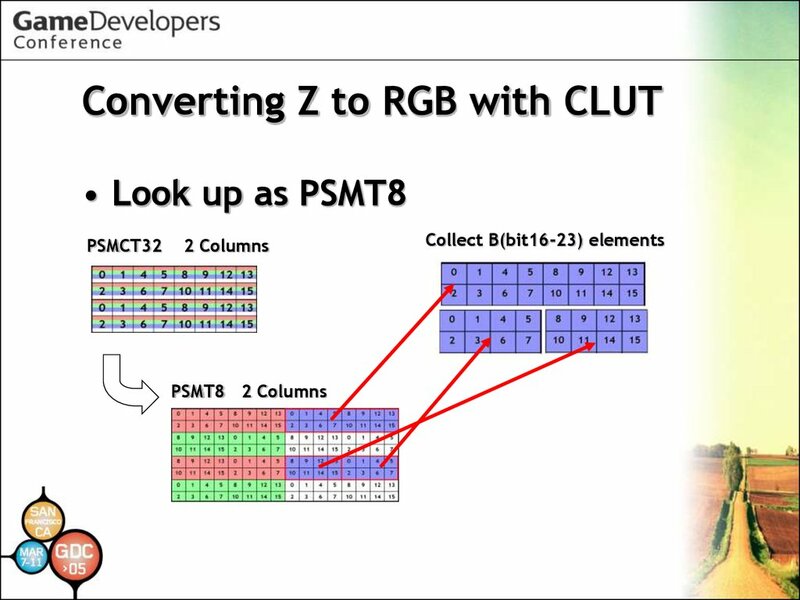 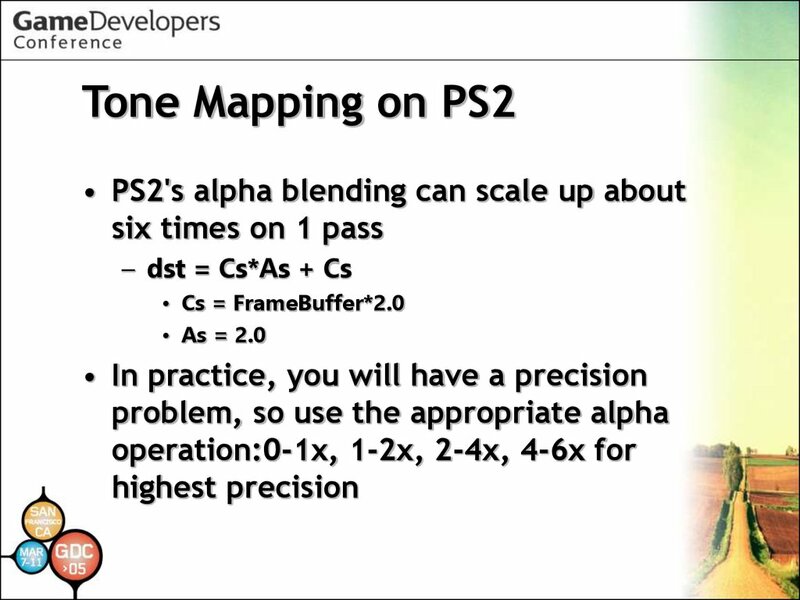 of a logarithmic curve for Tone Mapping ?? 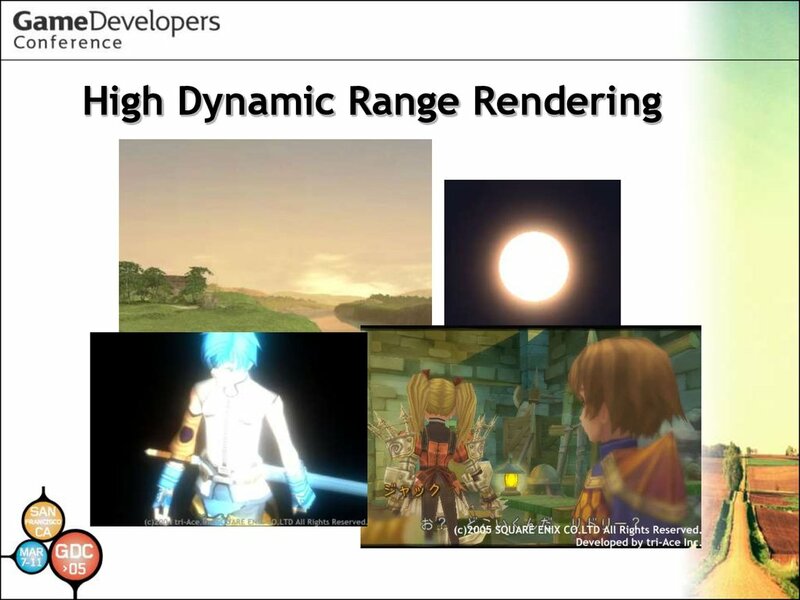 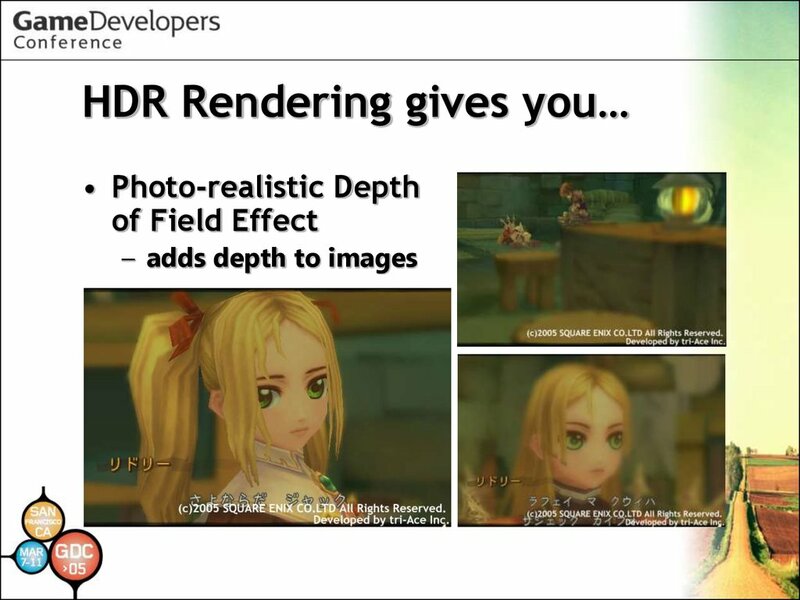 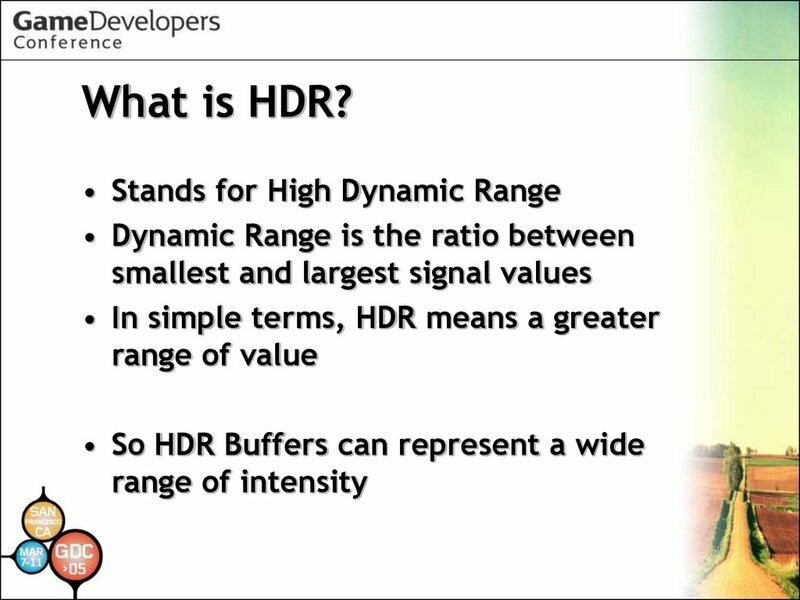 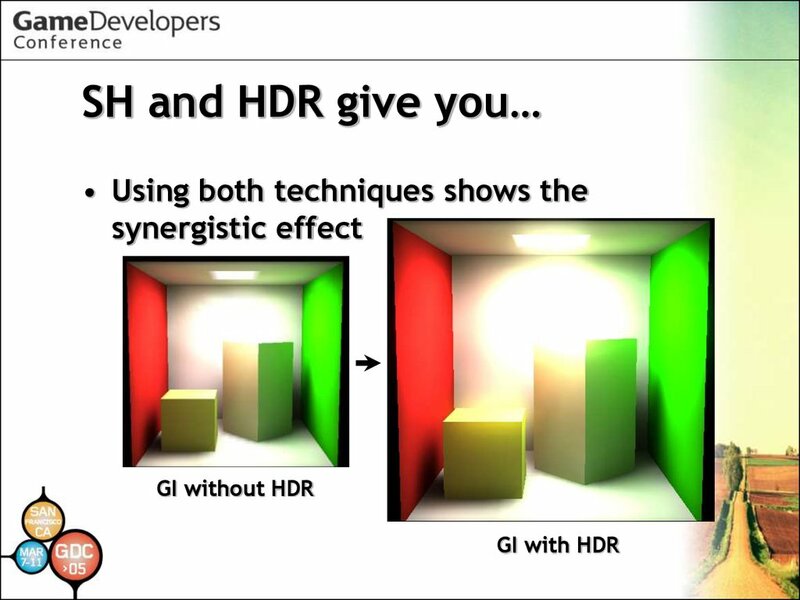 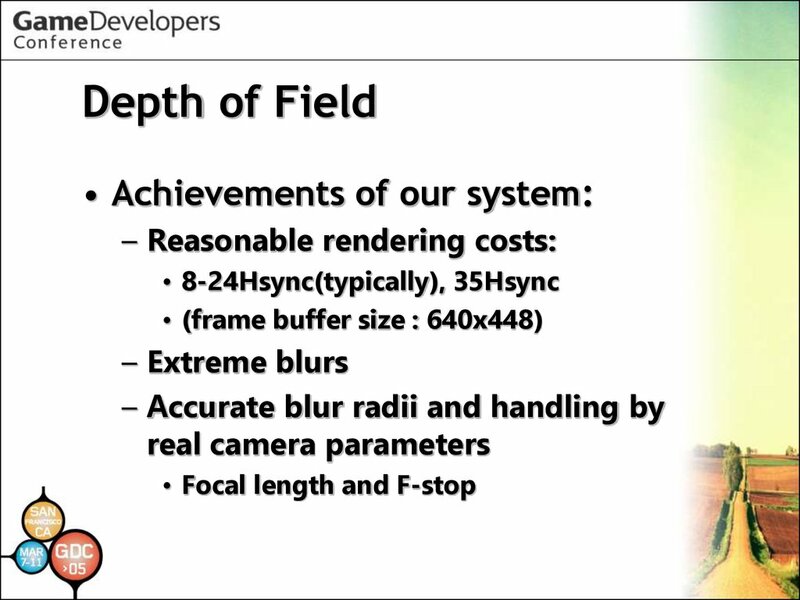 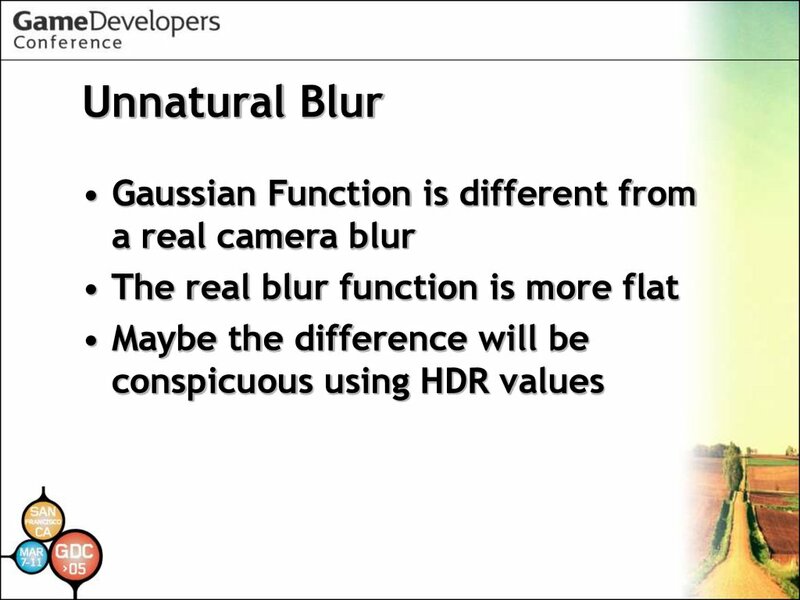 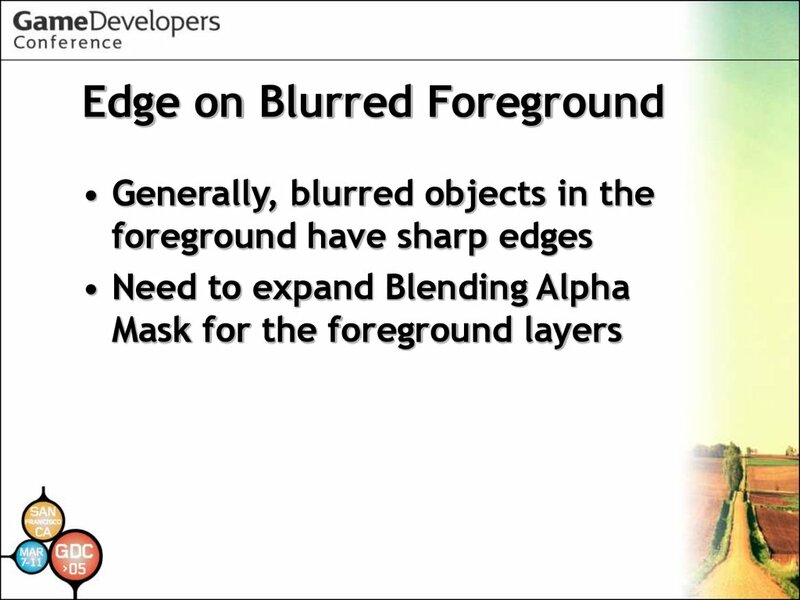 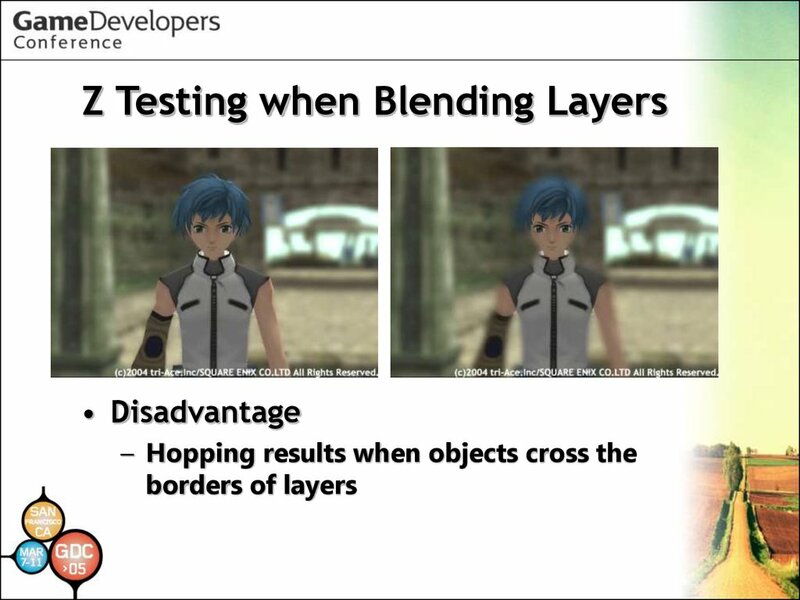 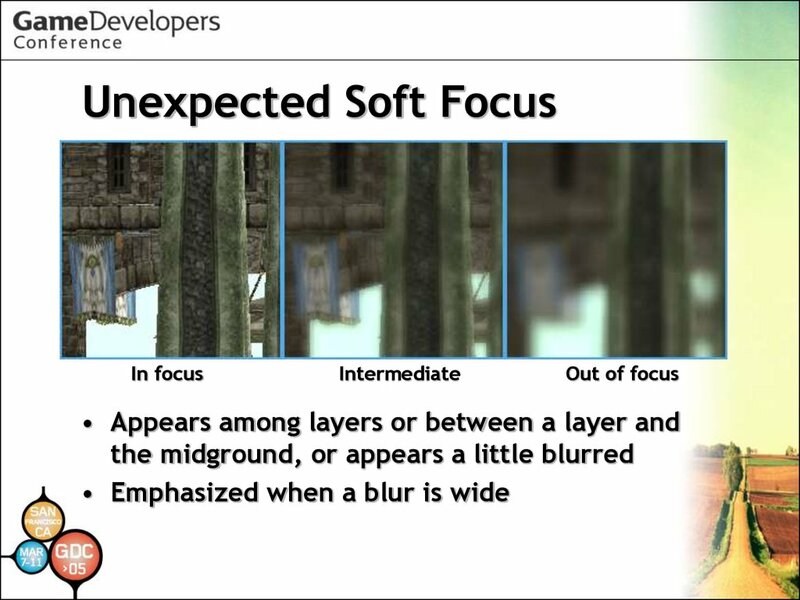 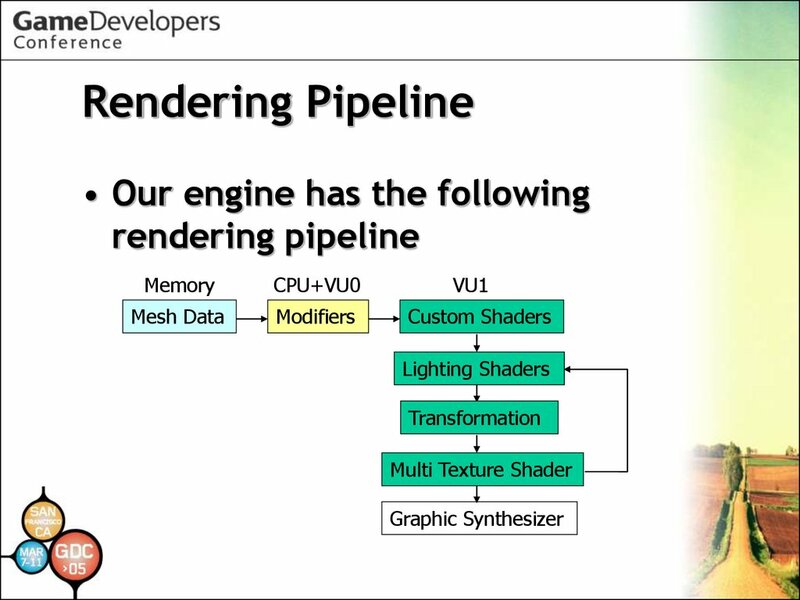 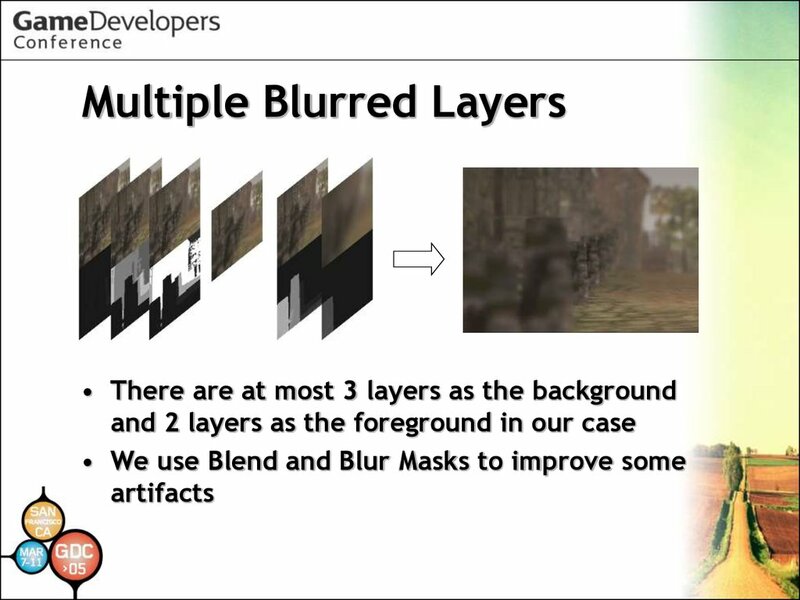 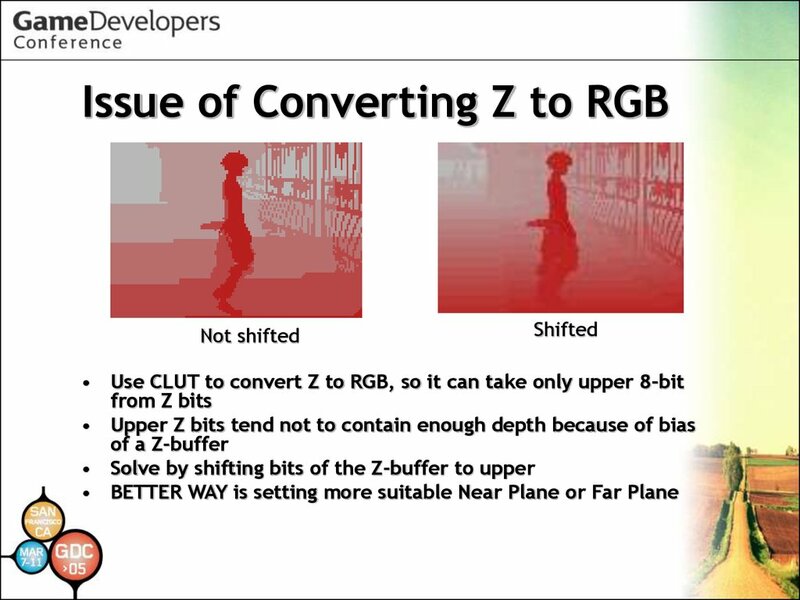 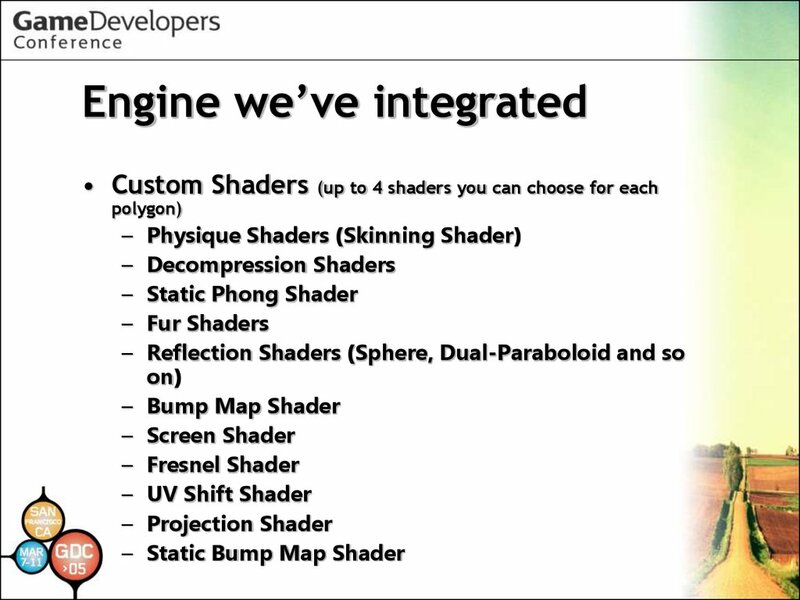 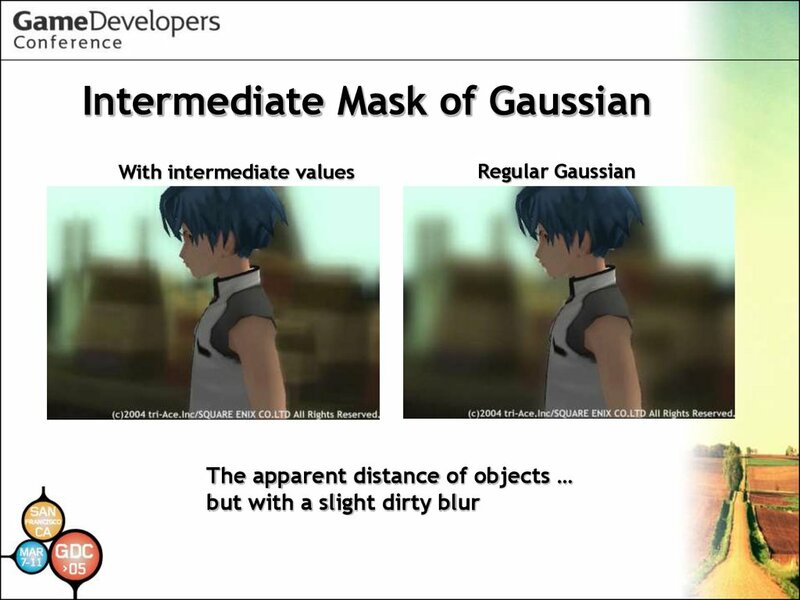 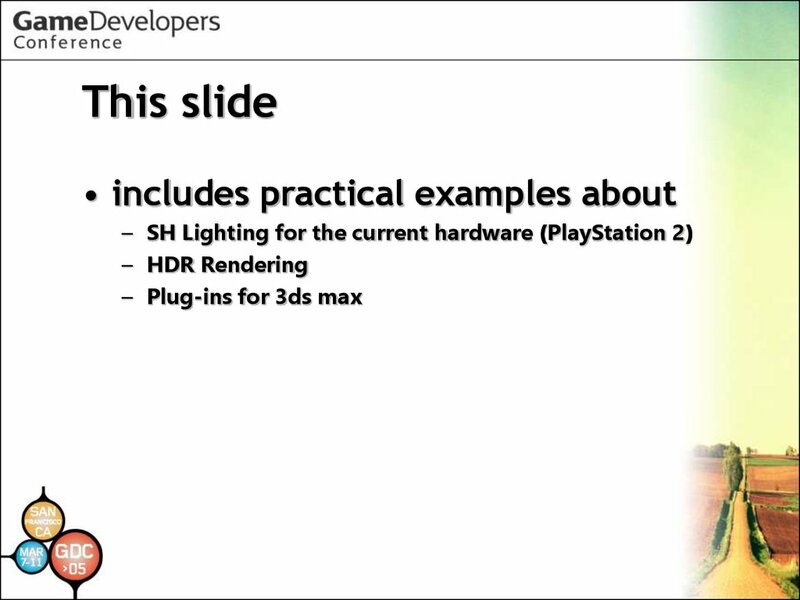 Dynamic Range Rendering“ GDC 2004. 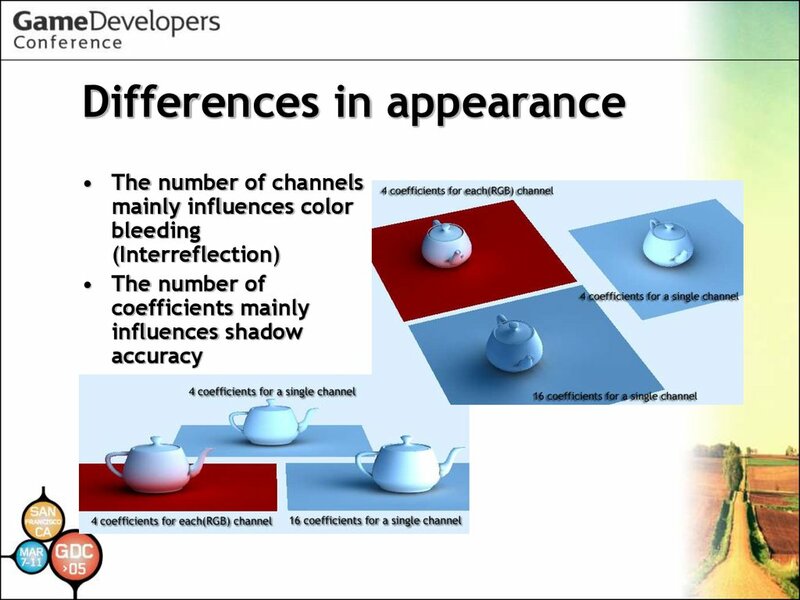 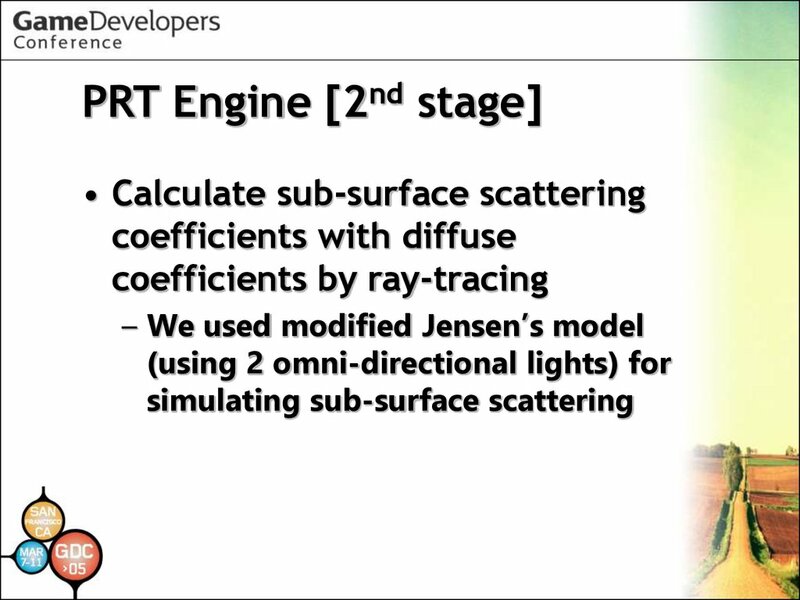 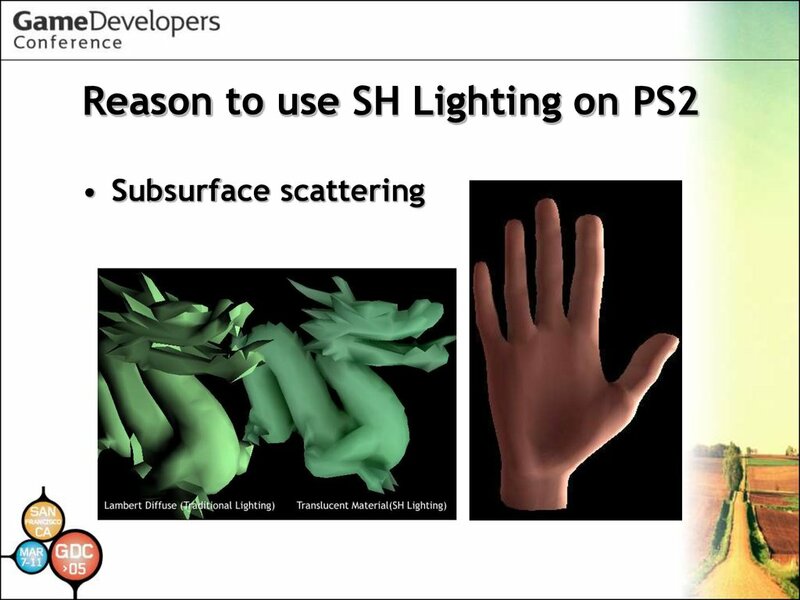 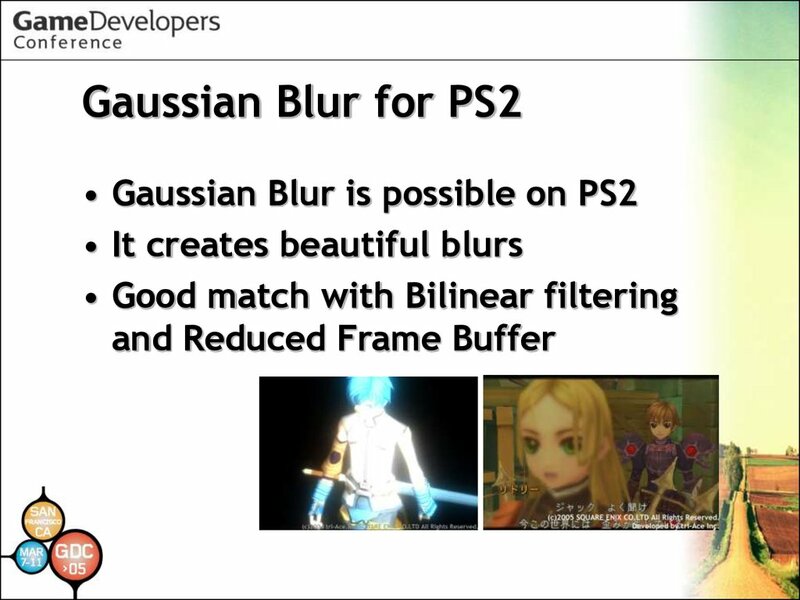 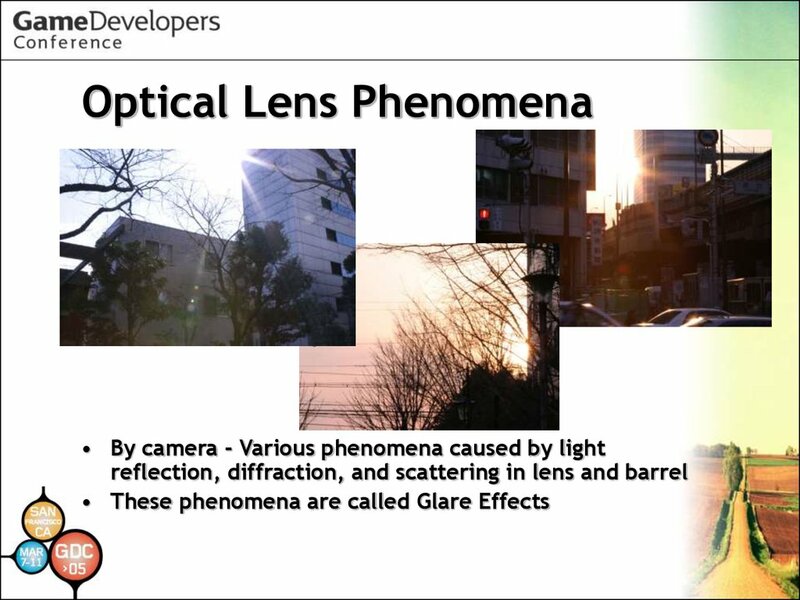 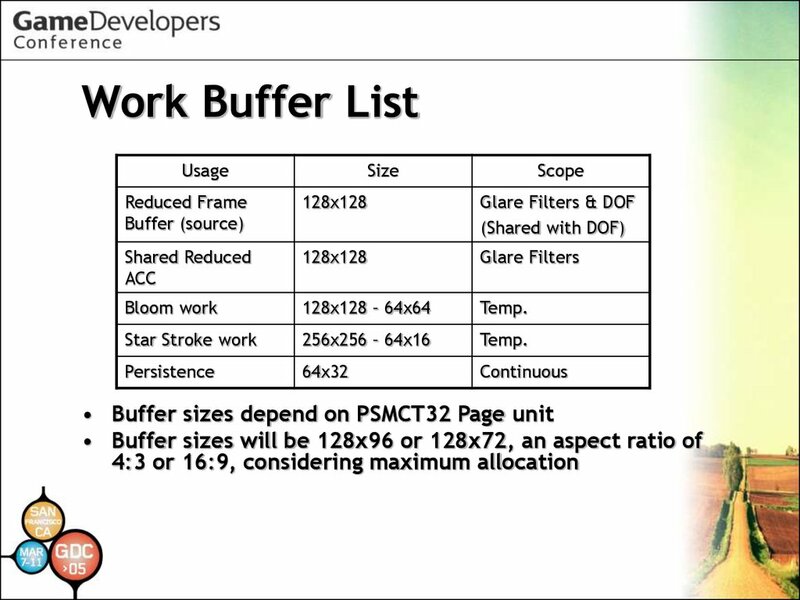 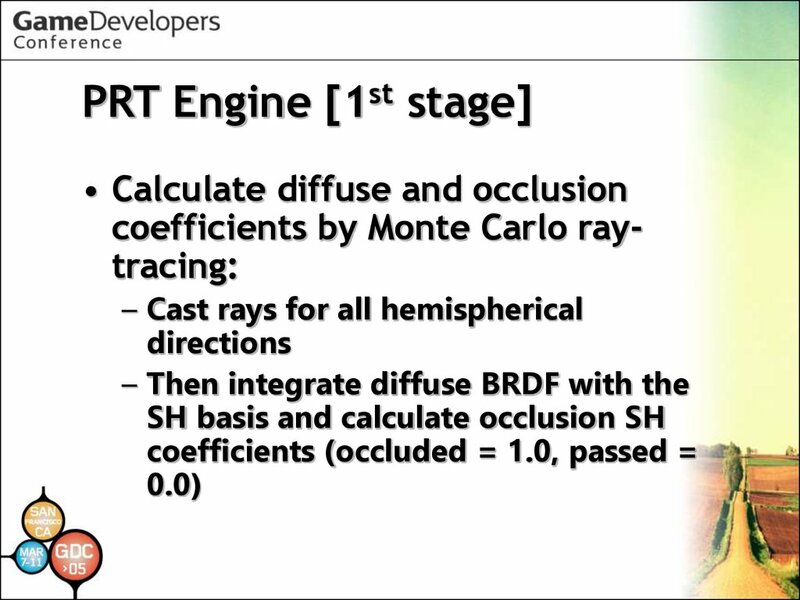 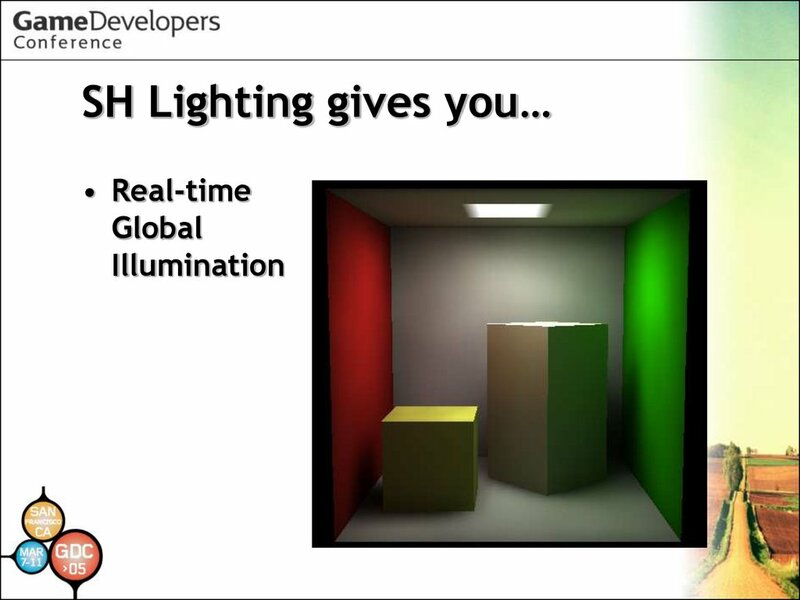 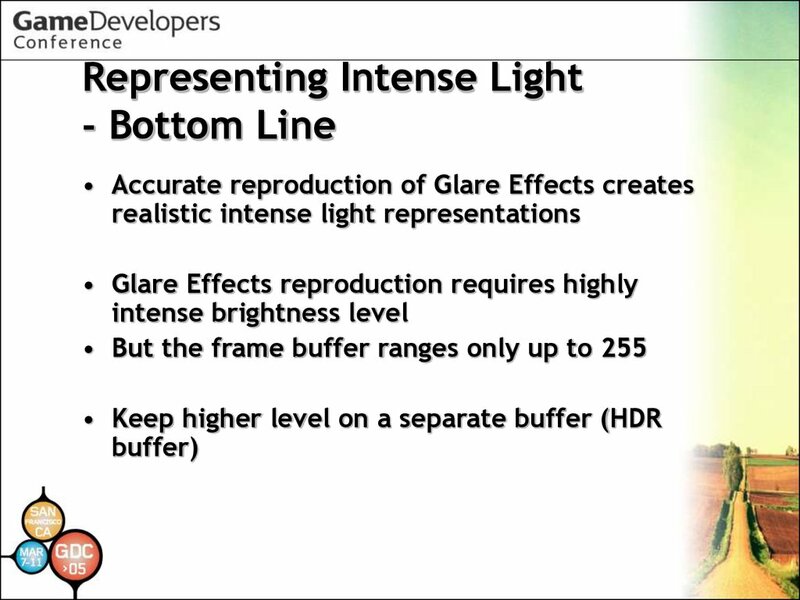 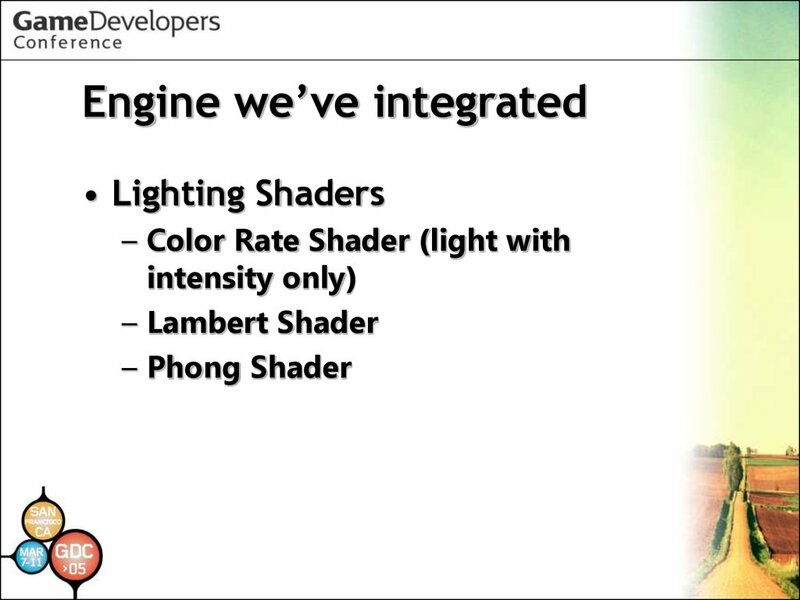 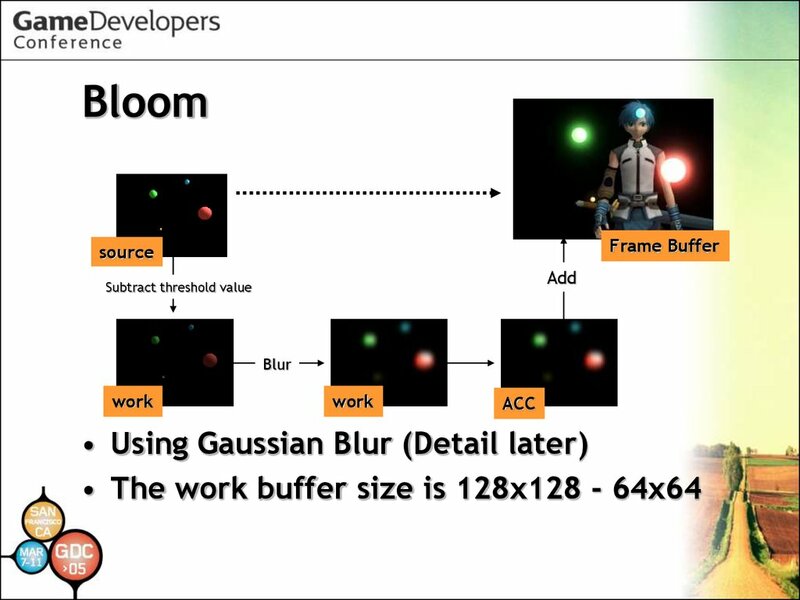 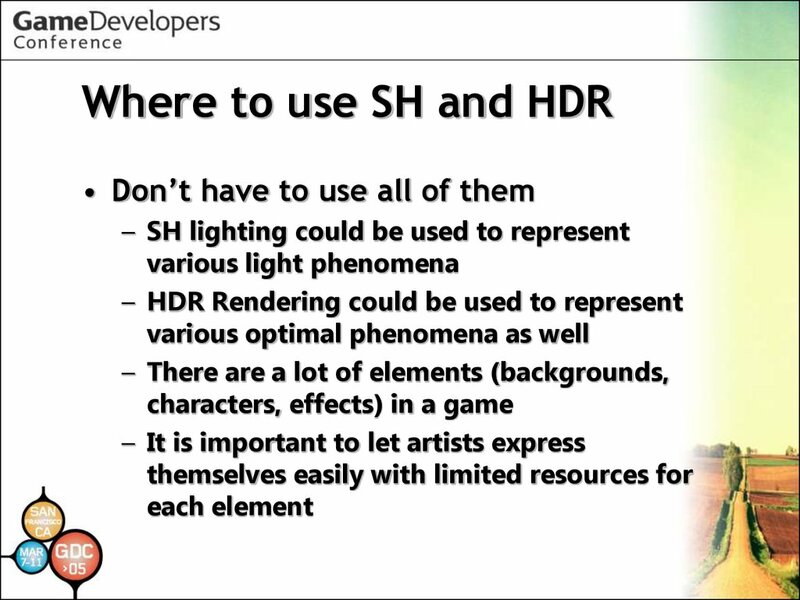 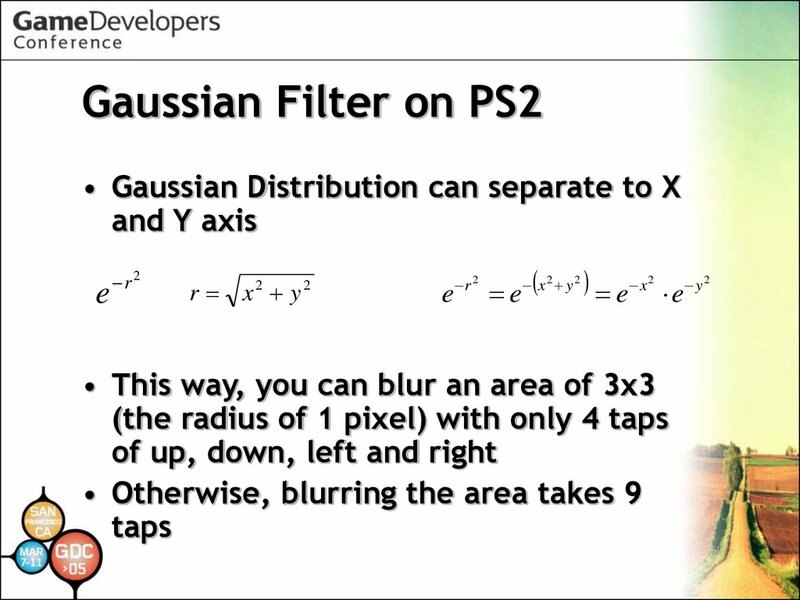 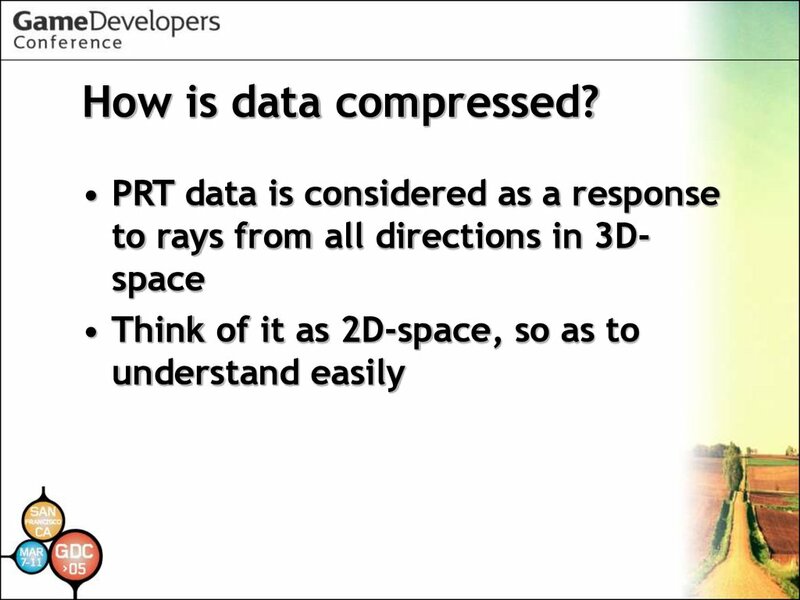 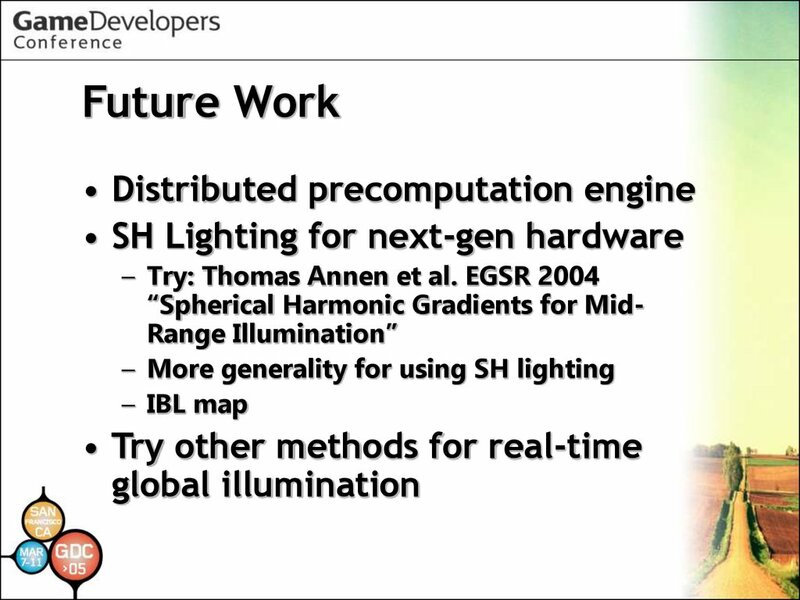 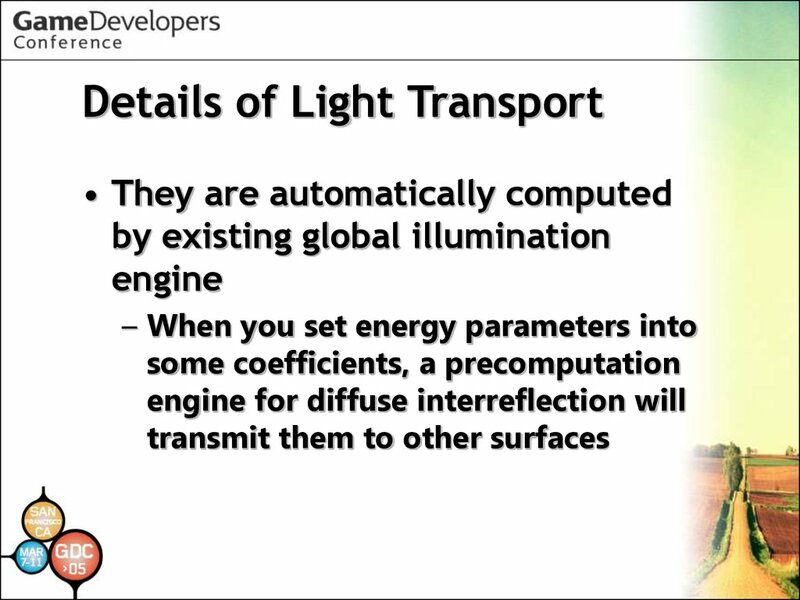 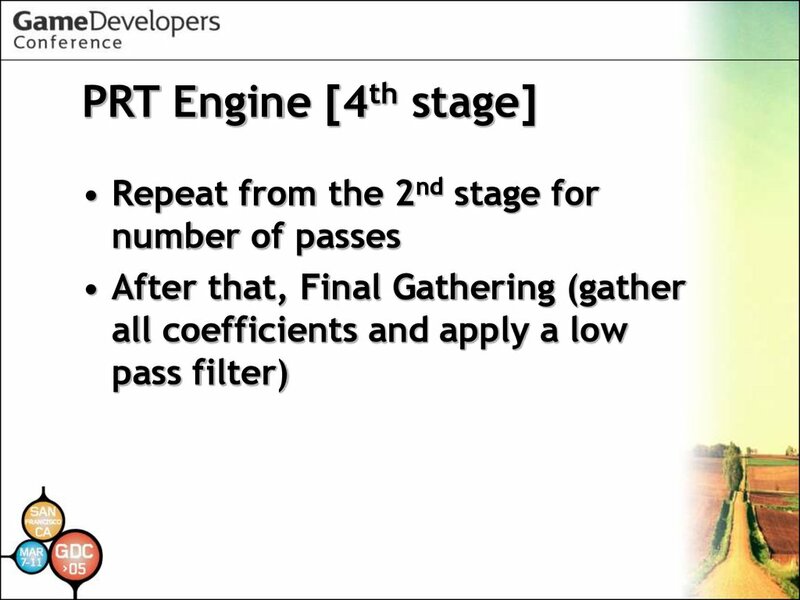 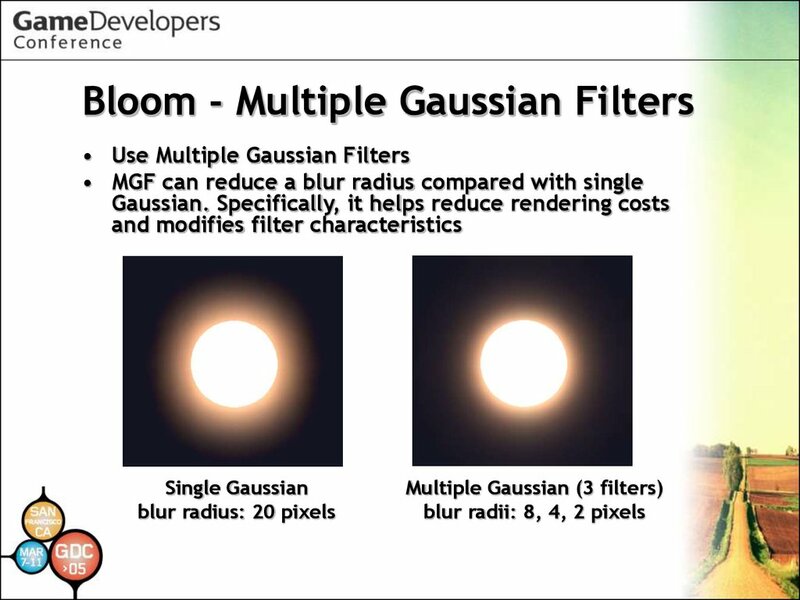 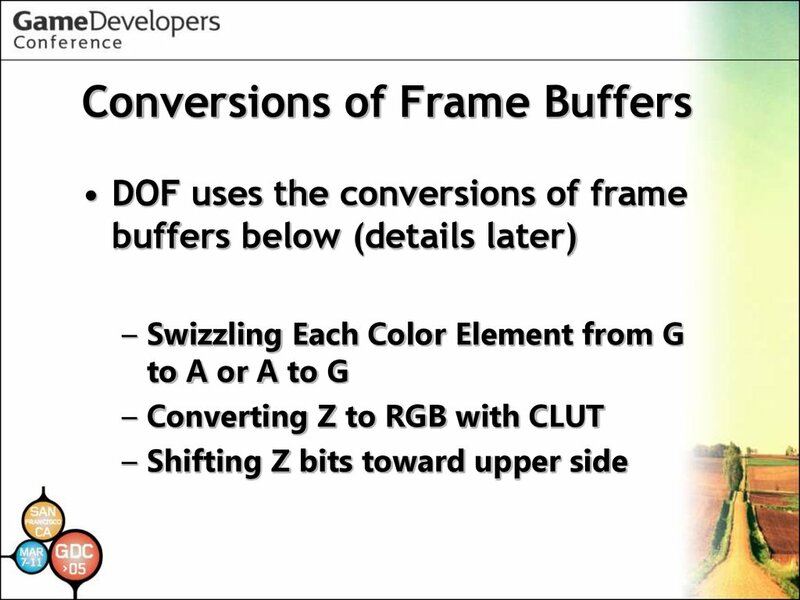 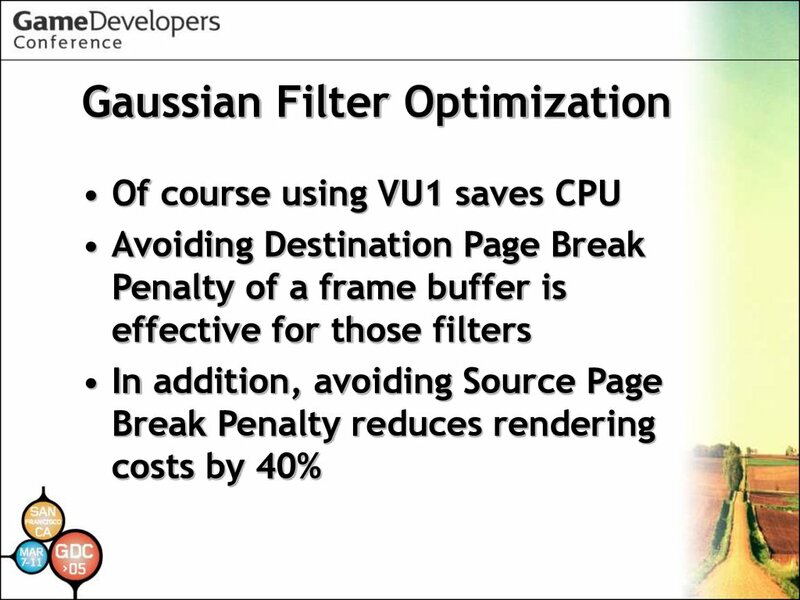 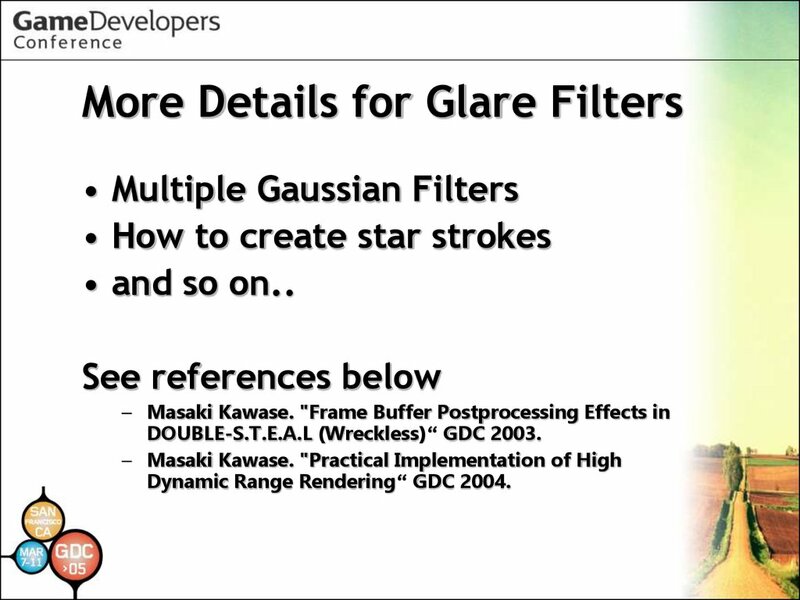 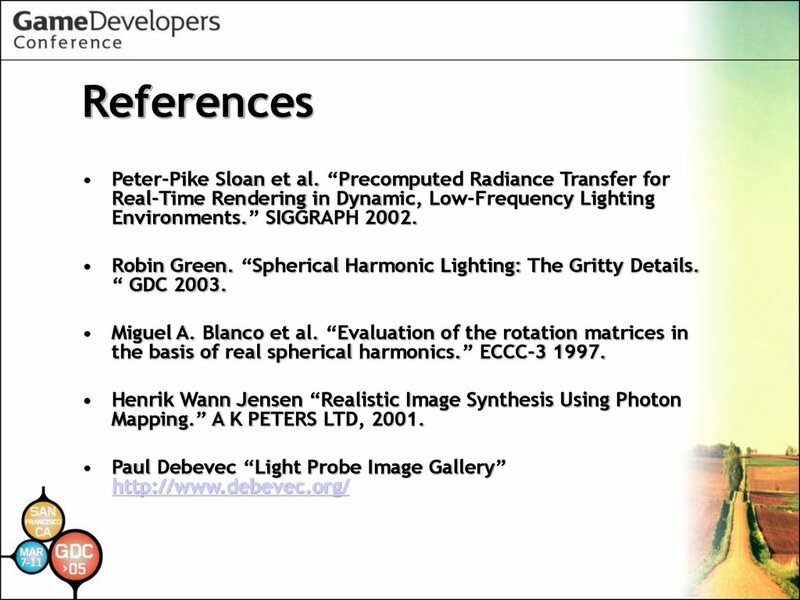 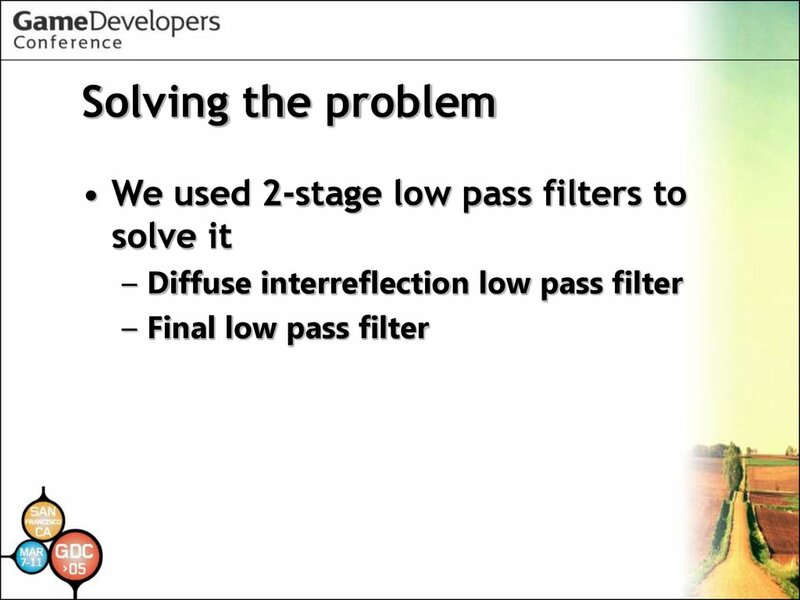 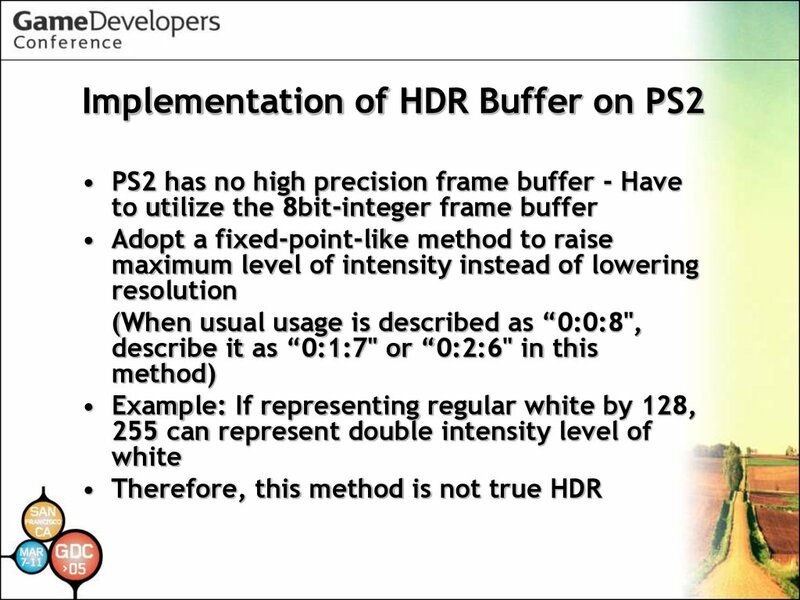 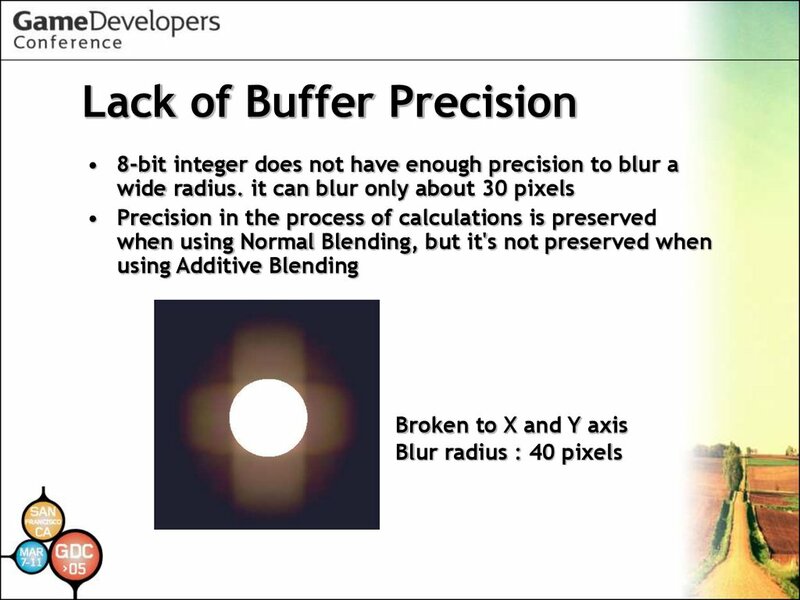 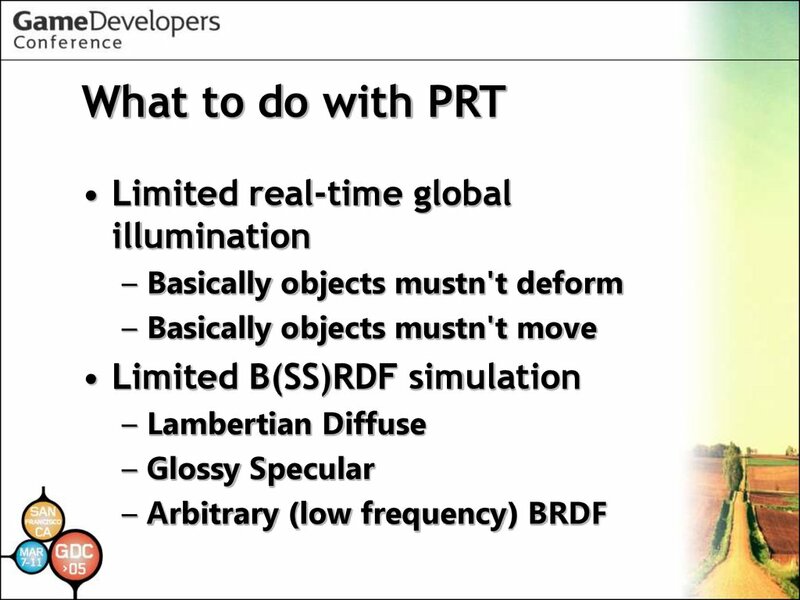 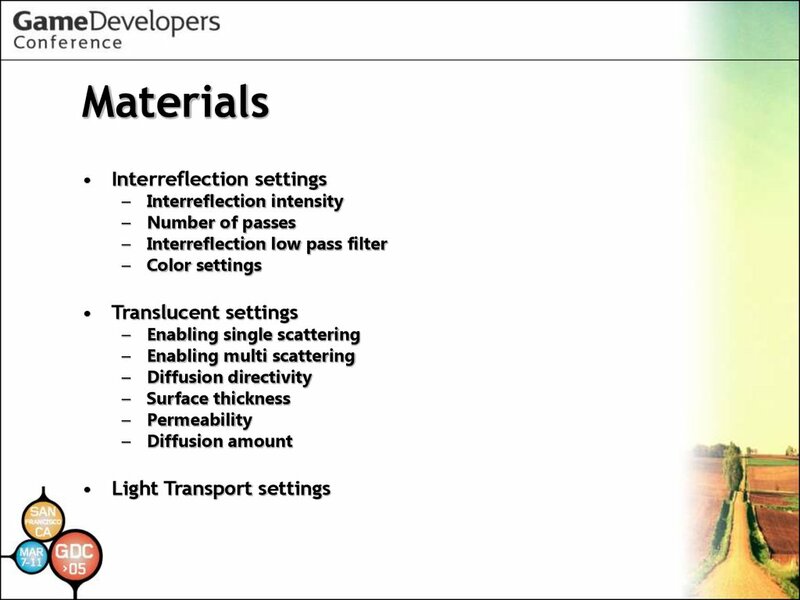 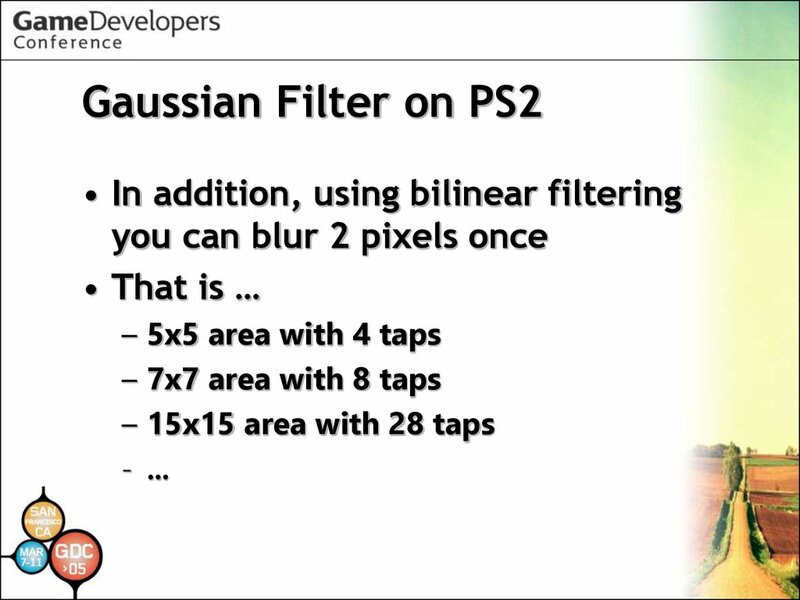 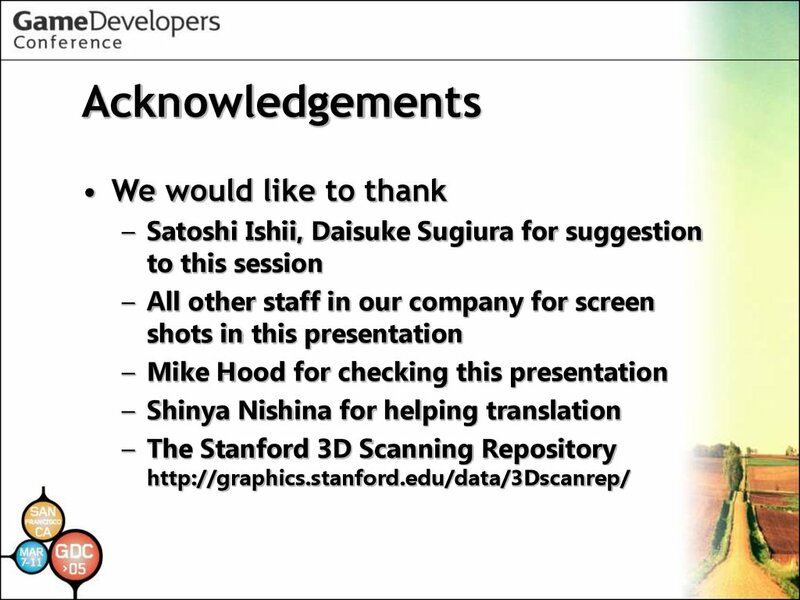 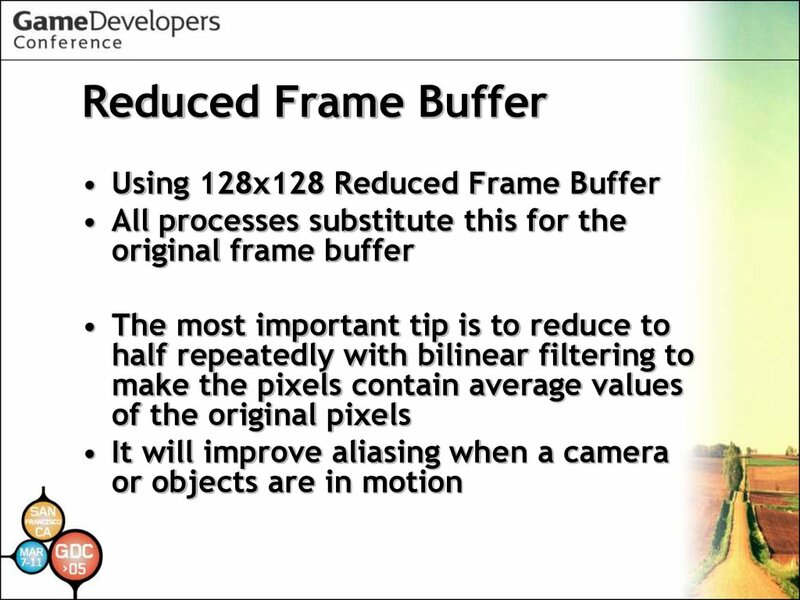 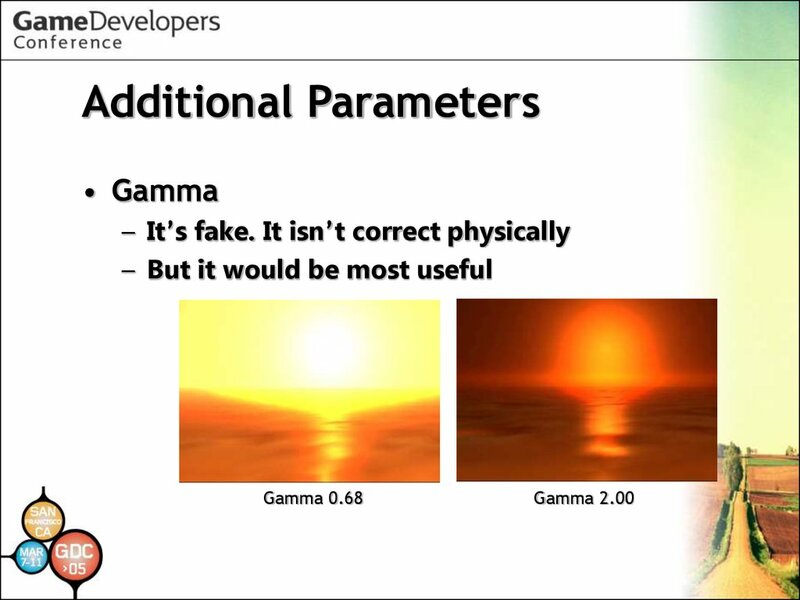 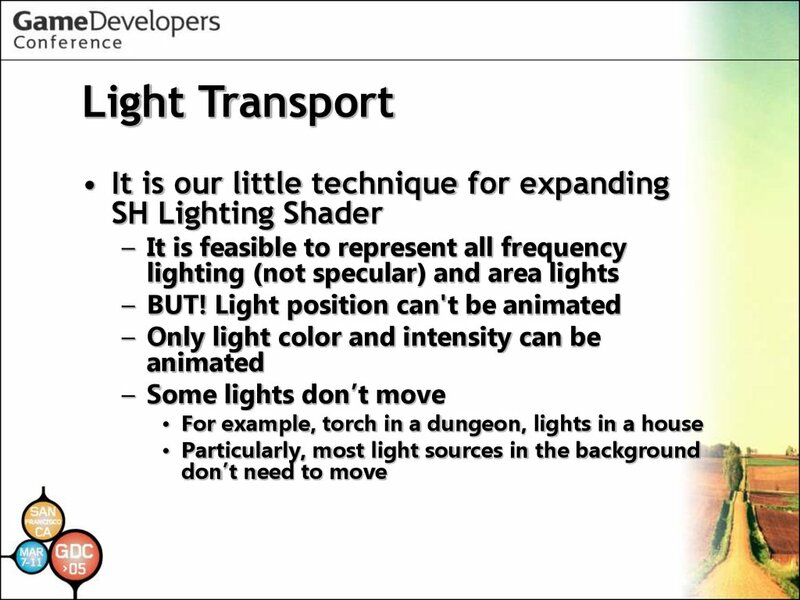 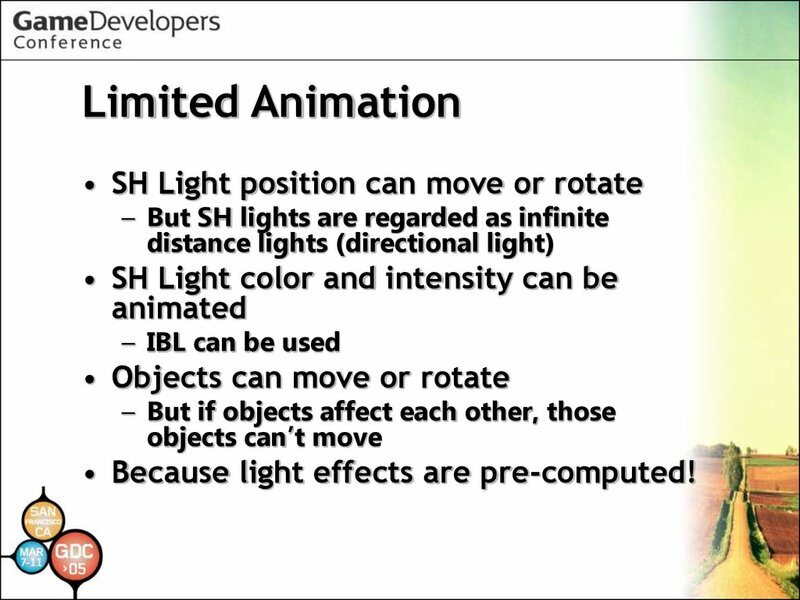 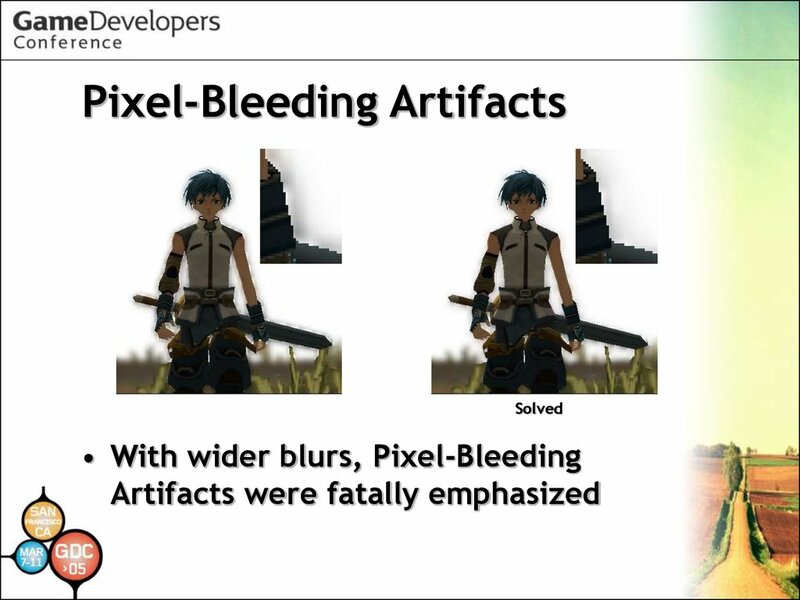 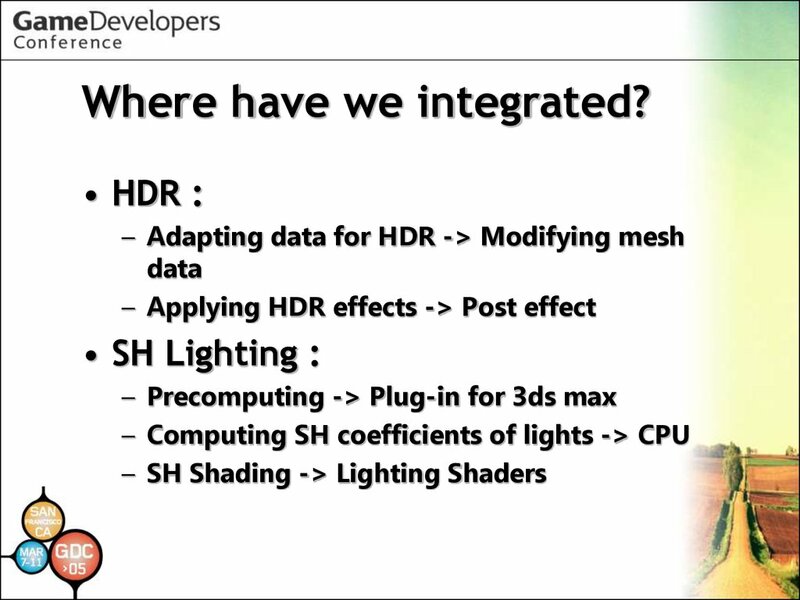 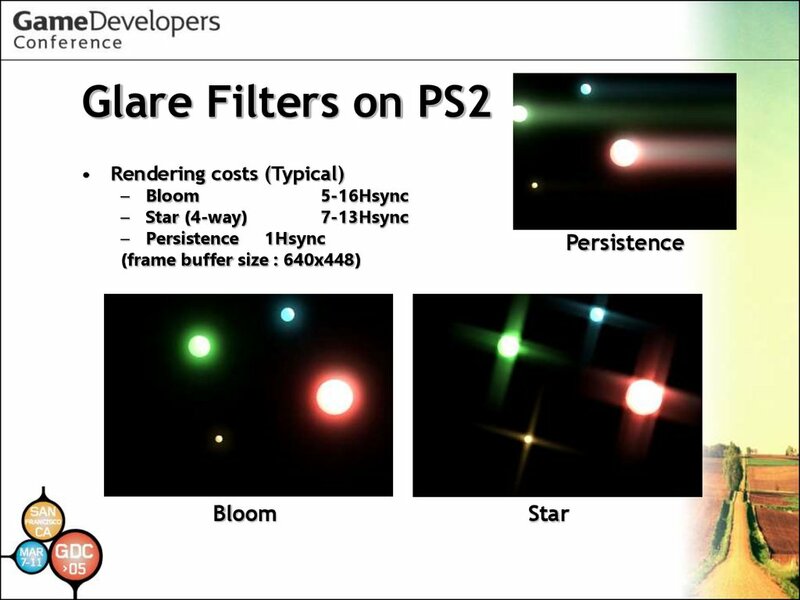 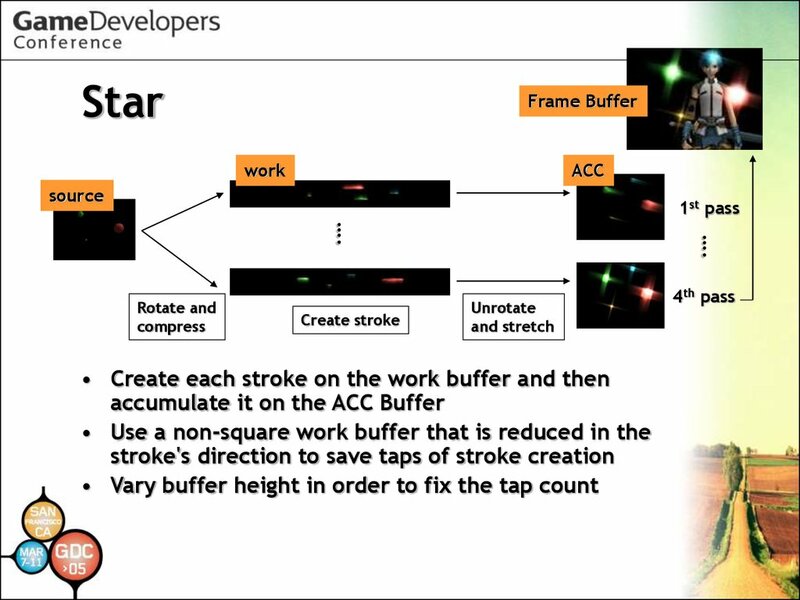 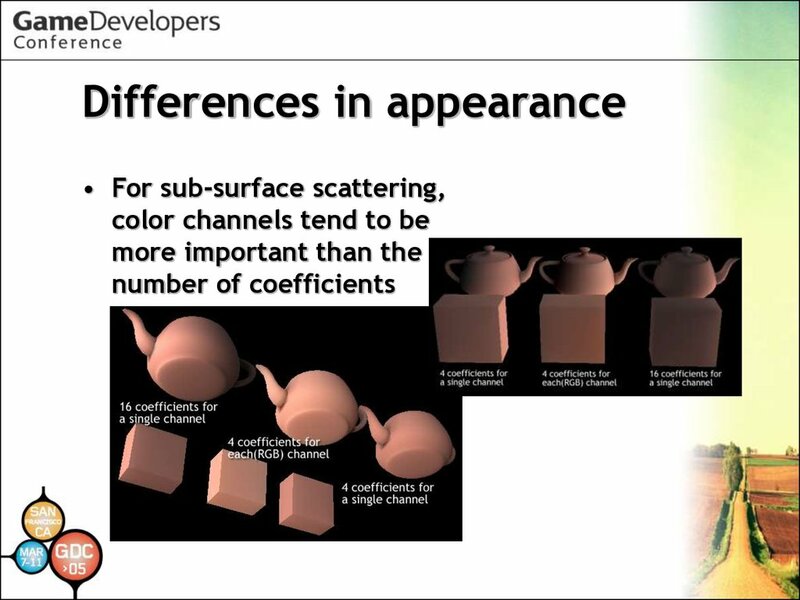 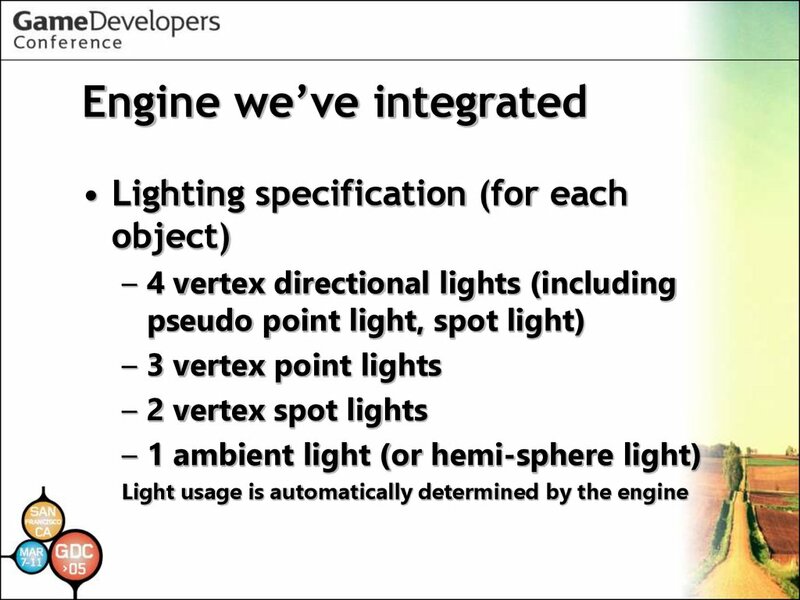 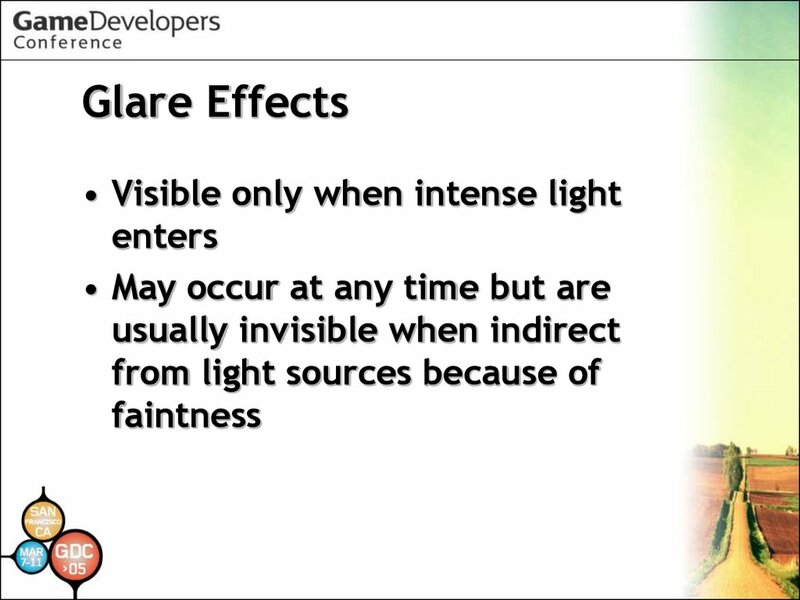 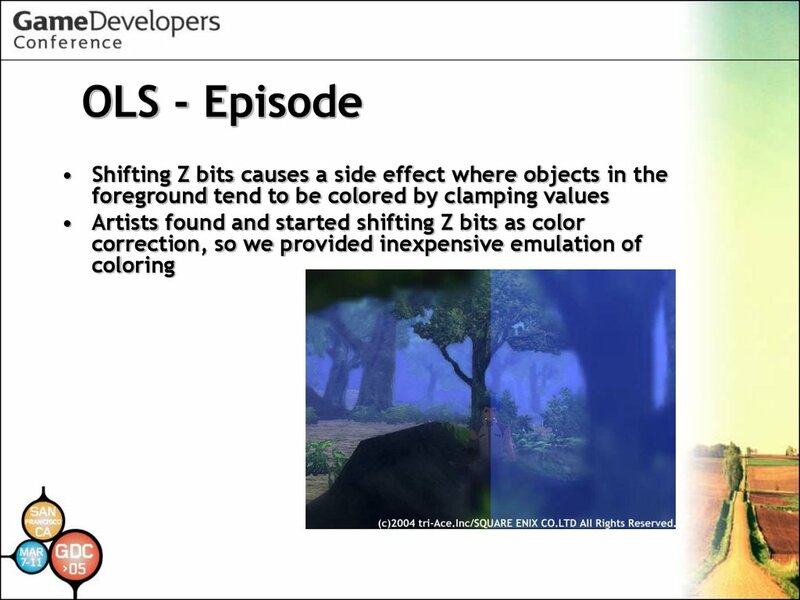 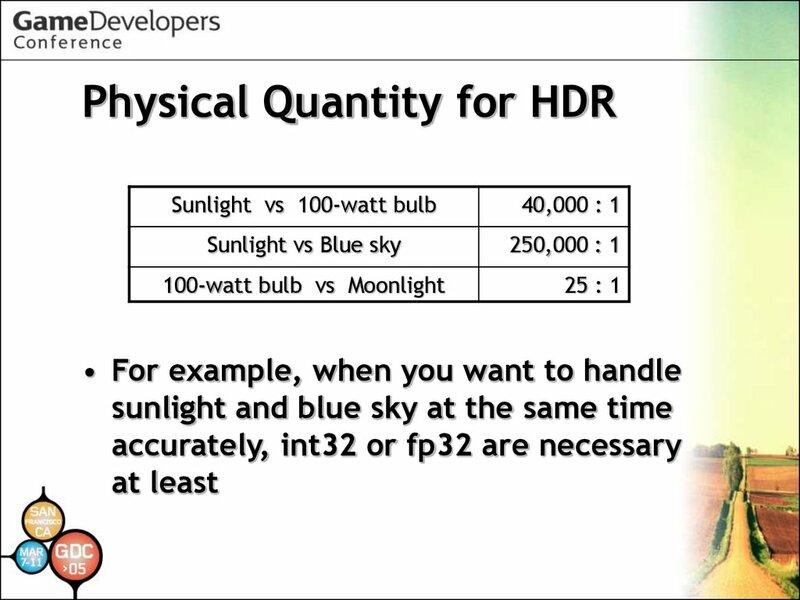 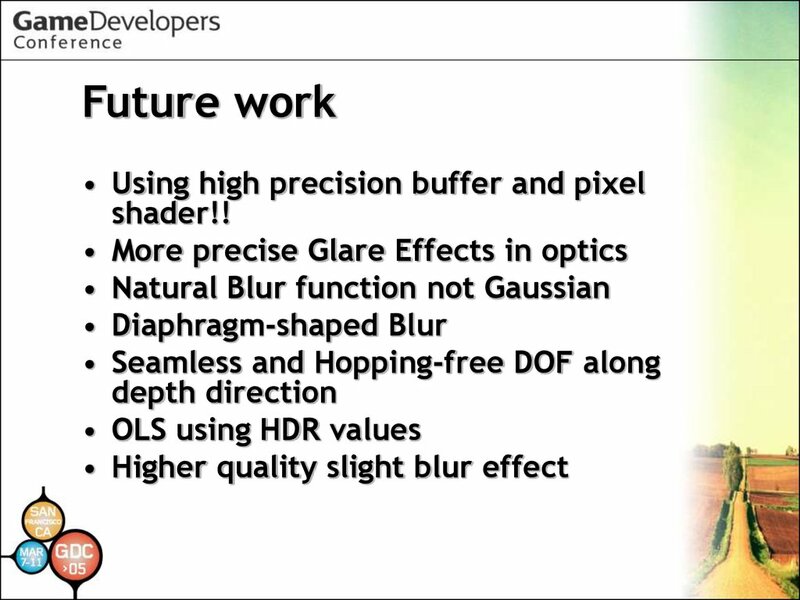 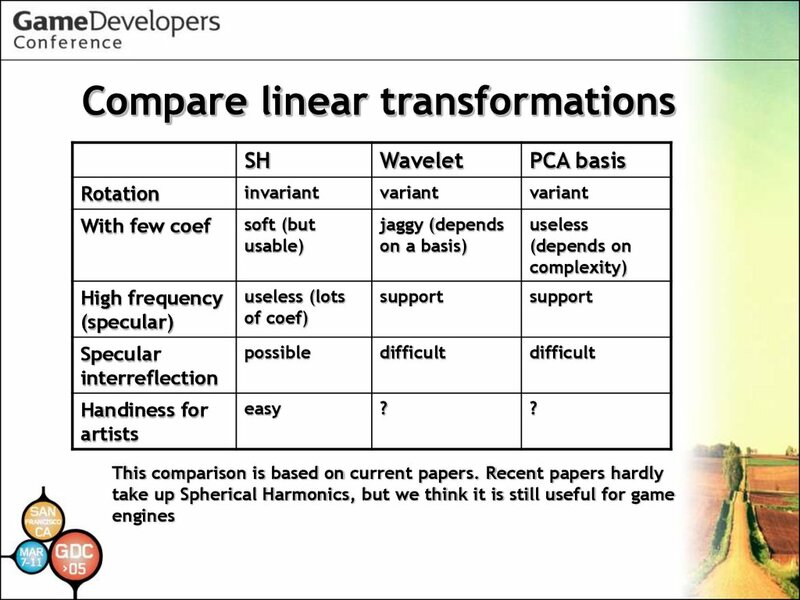 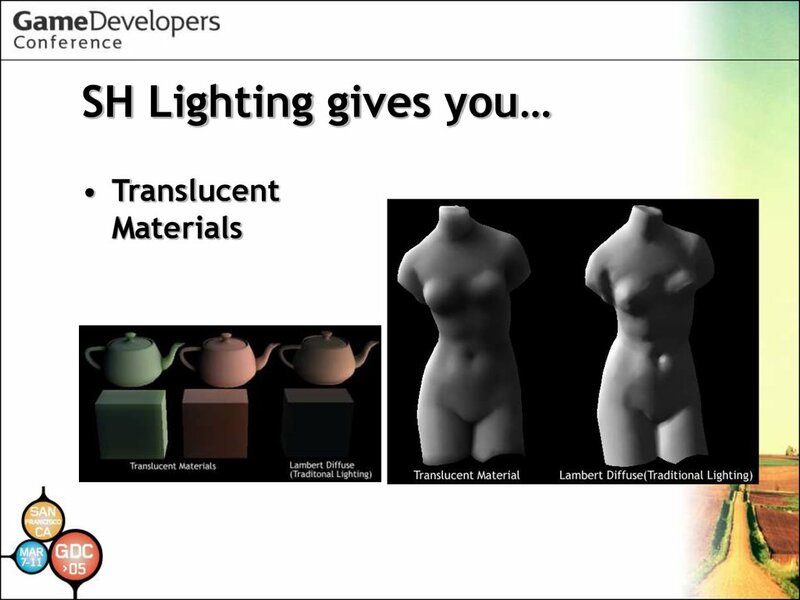 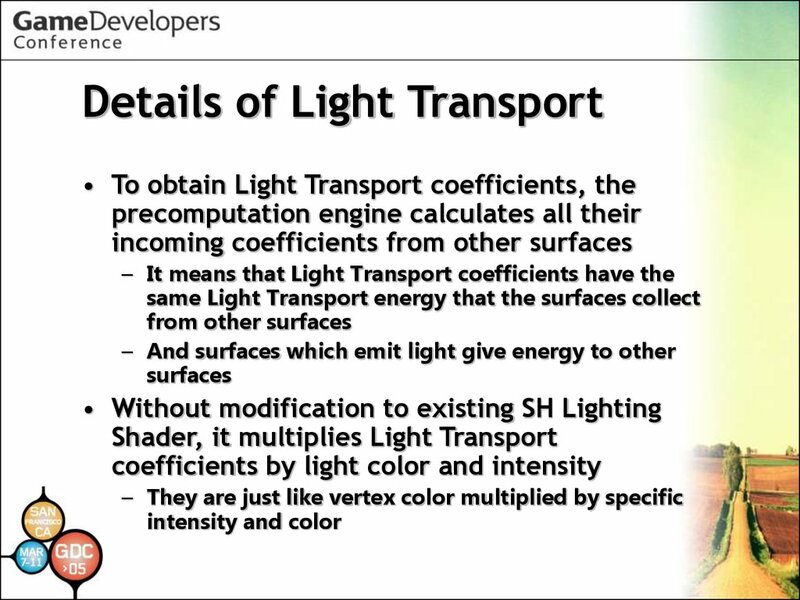 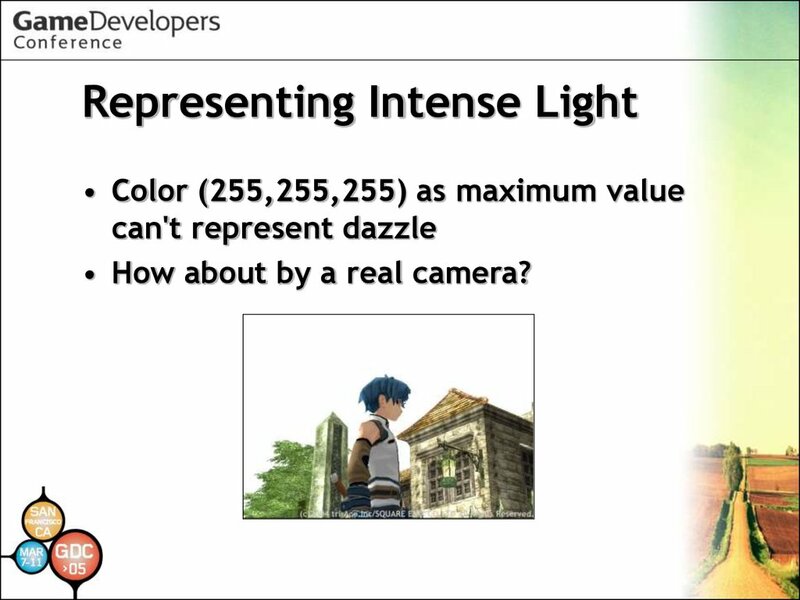 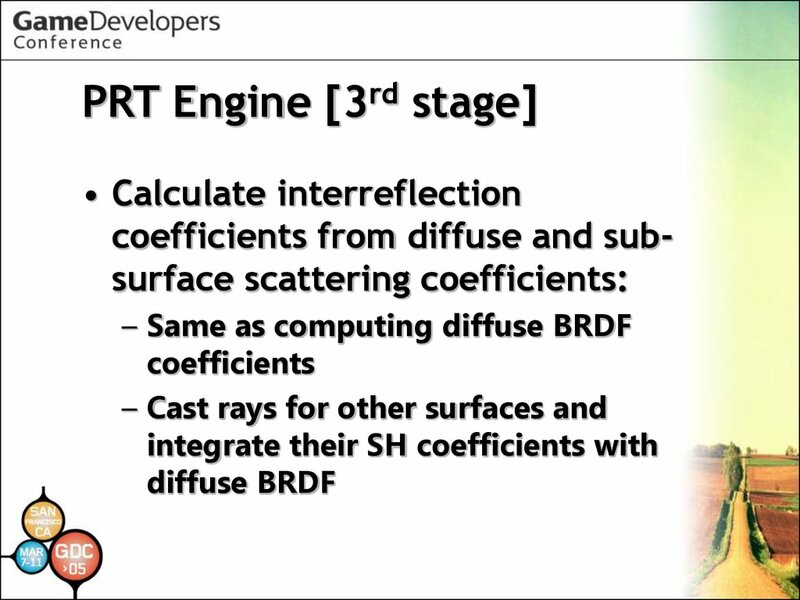 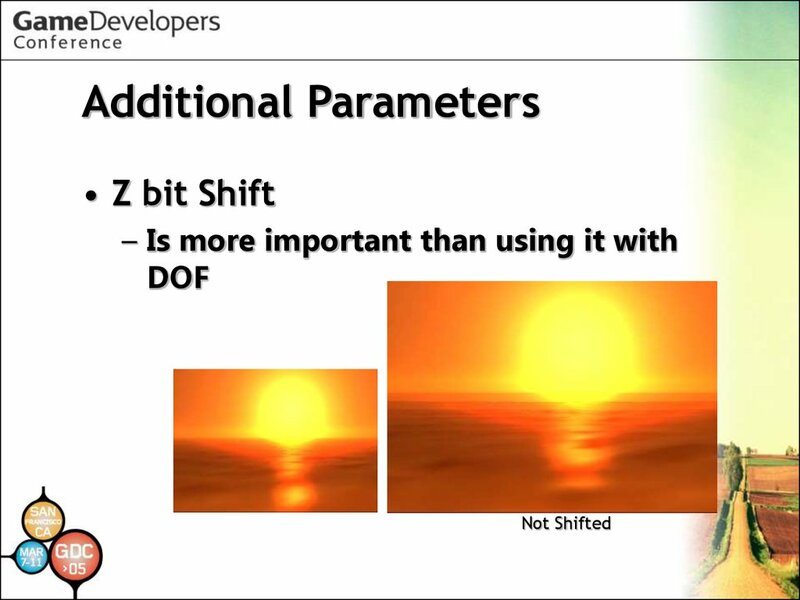 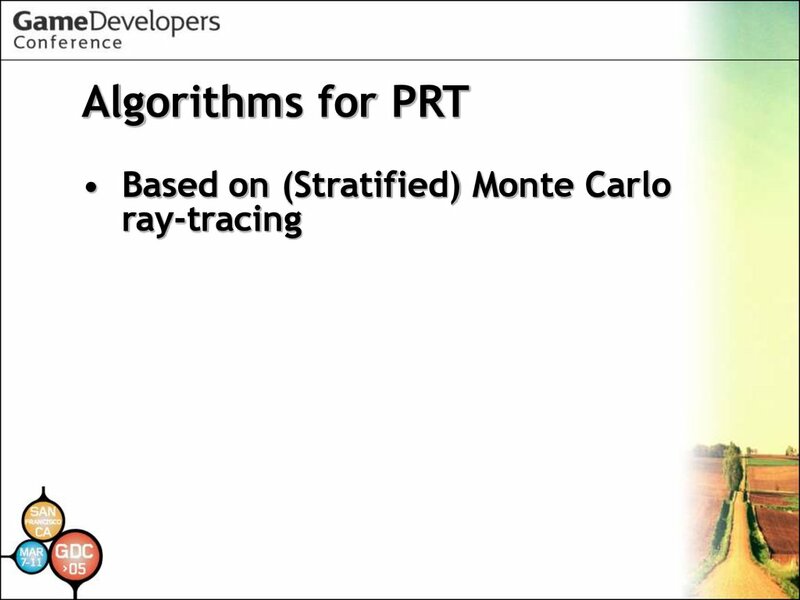 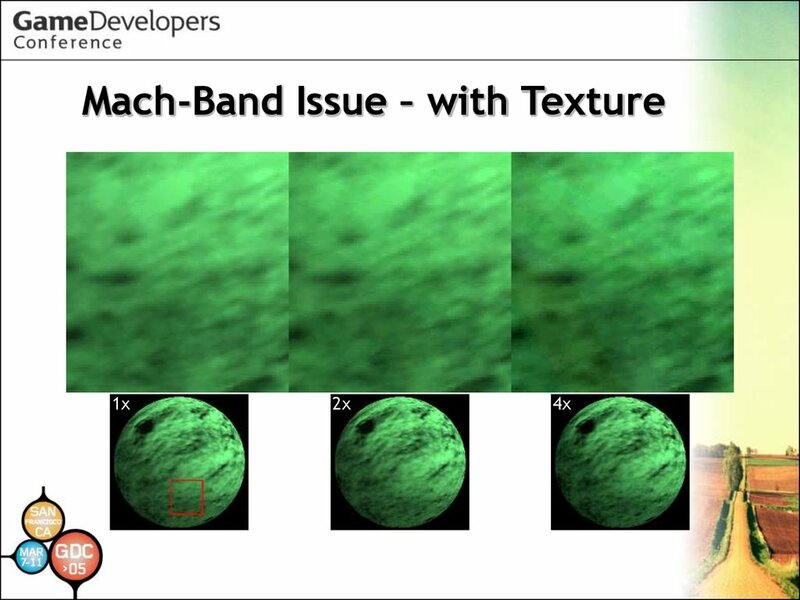 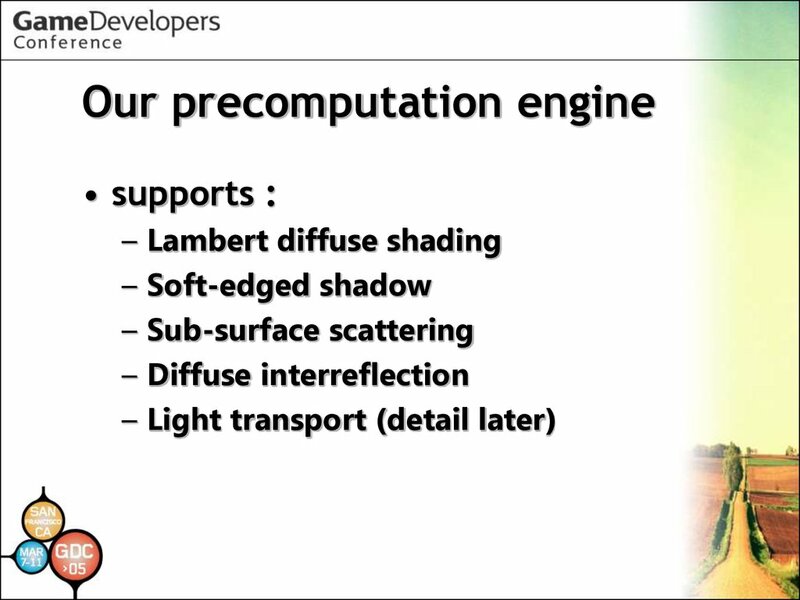 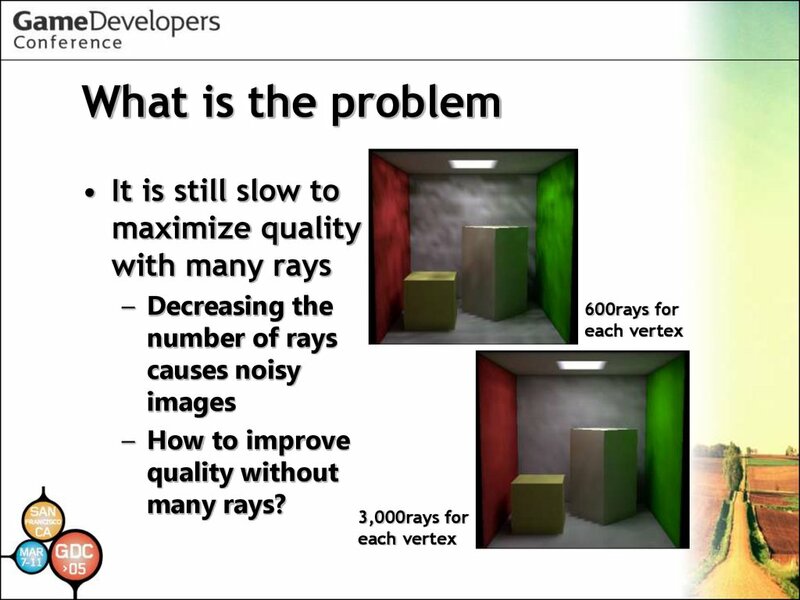 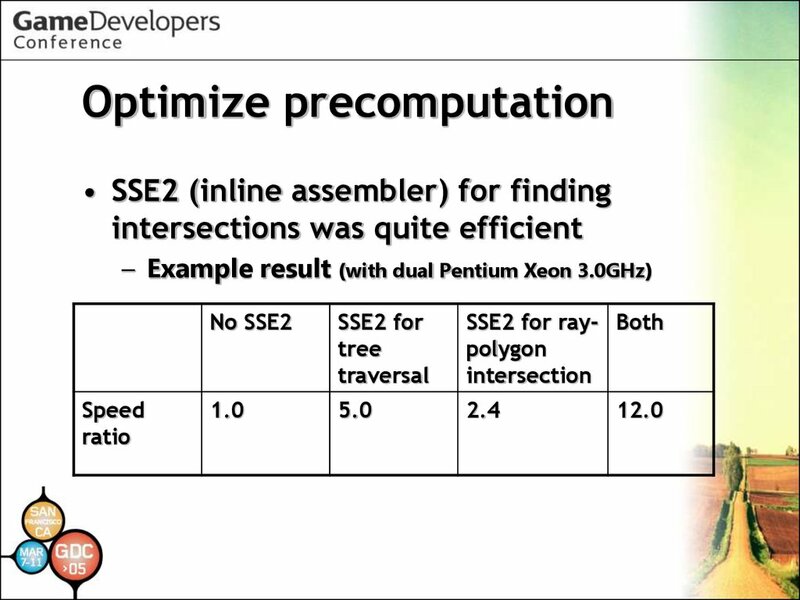 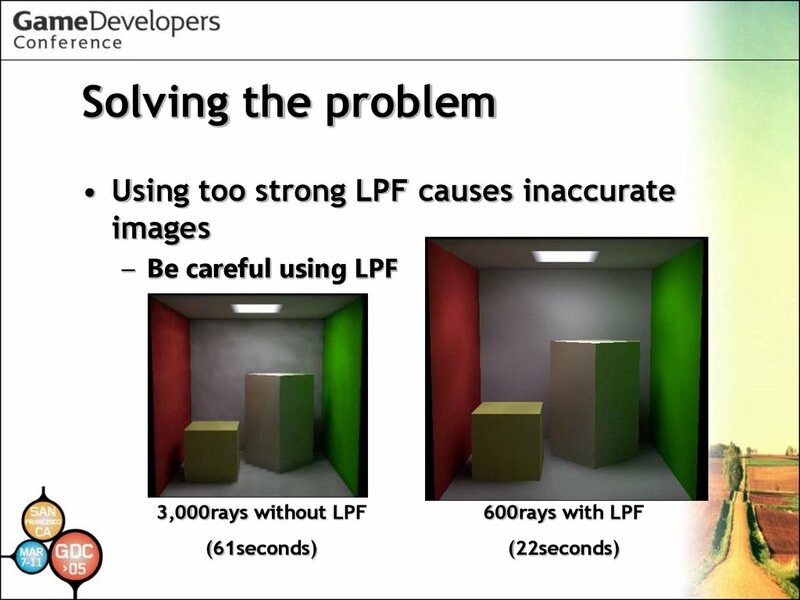 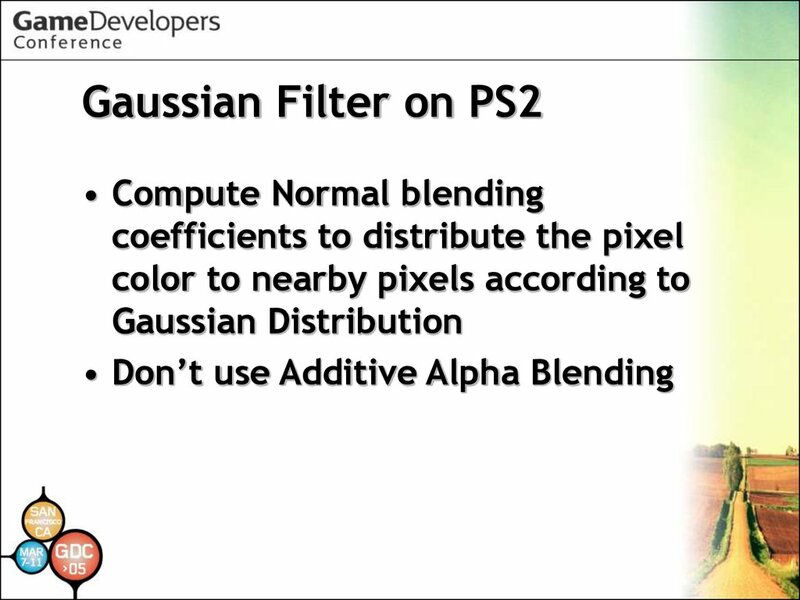 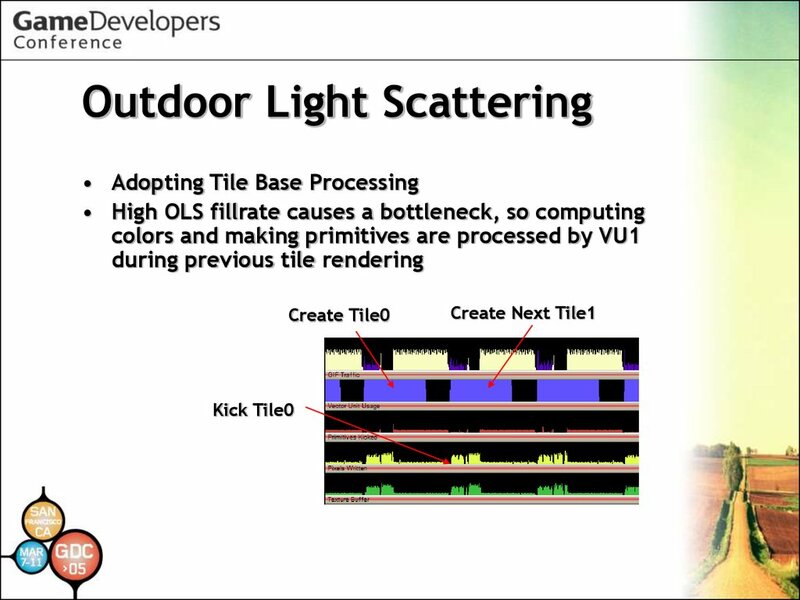 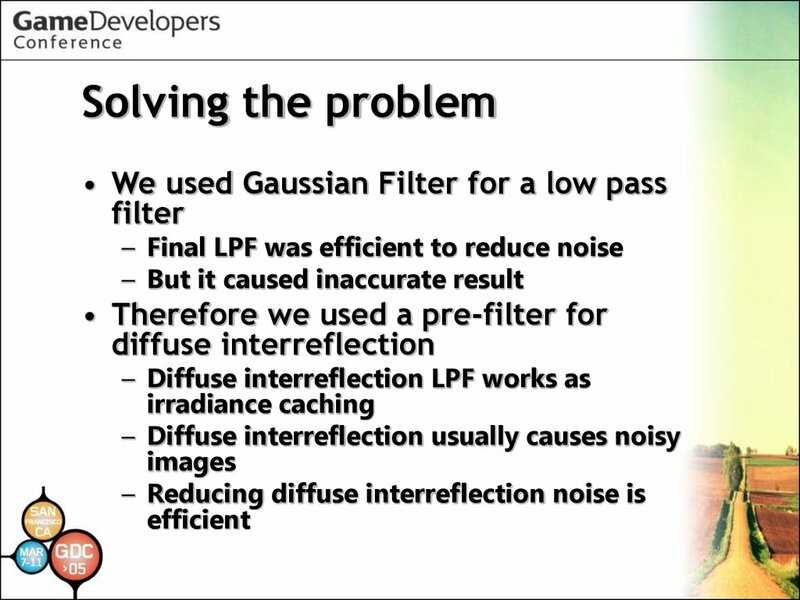 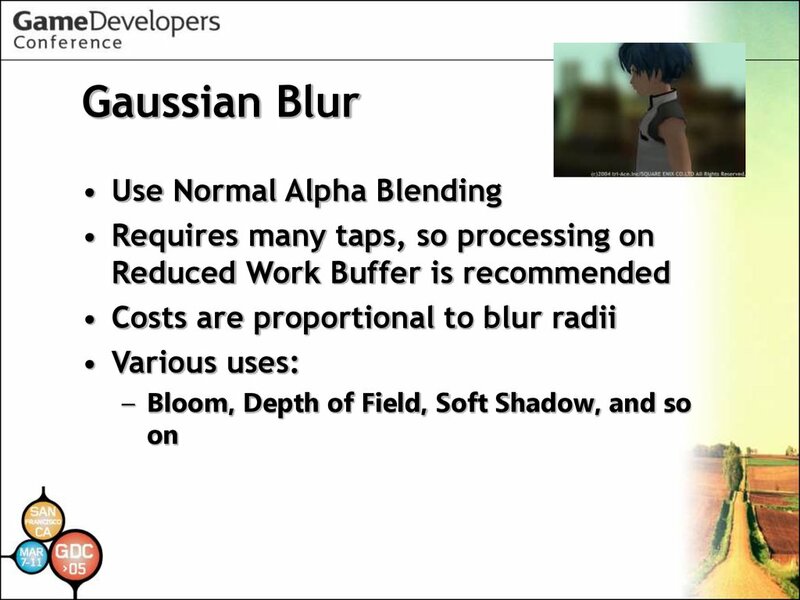 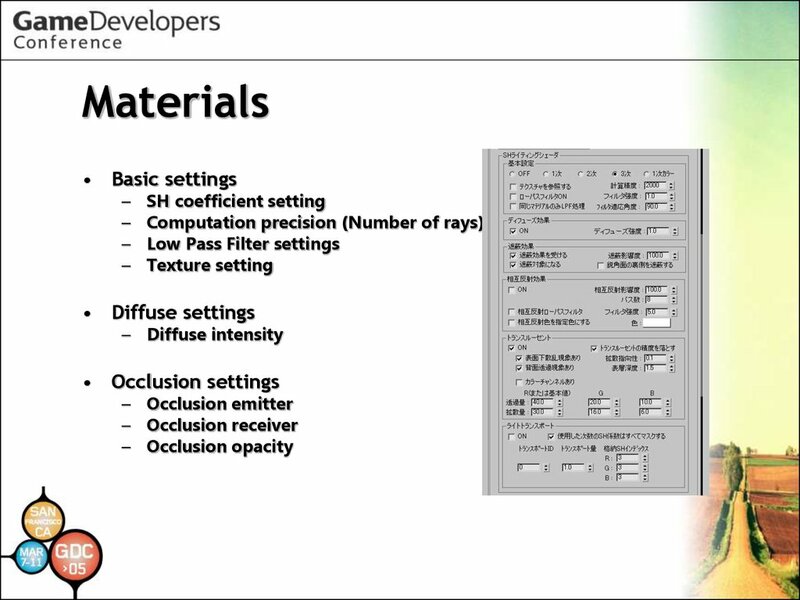 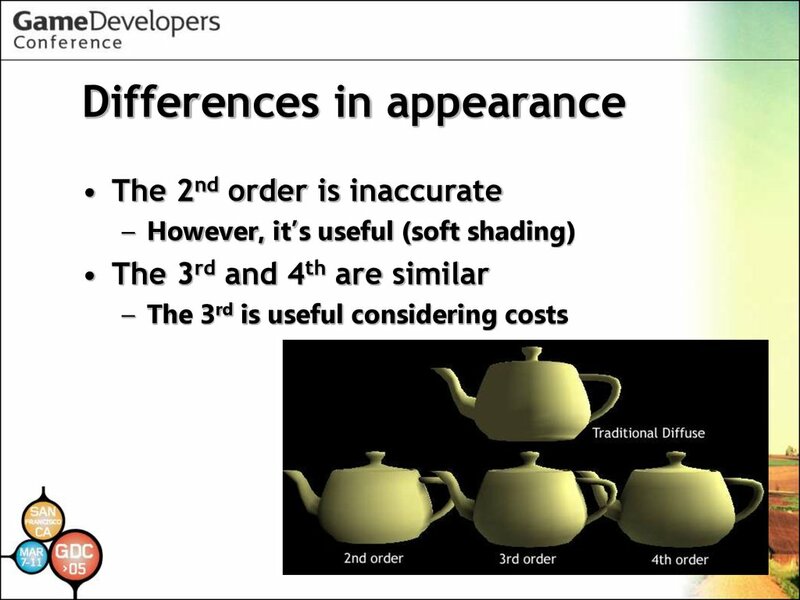 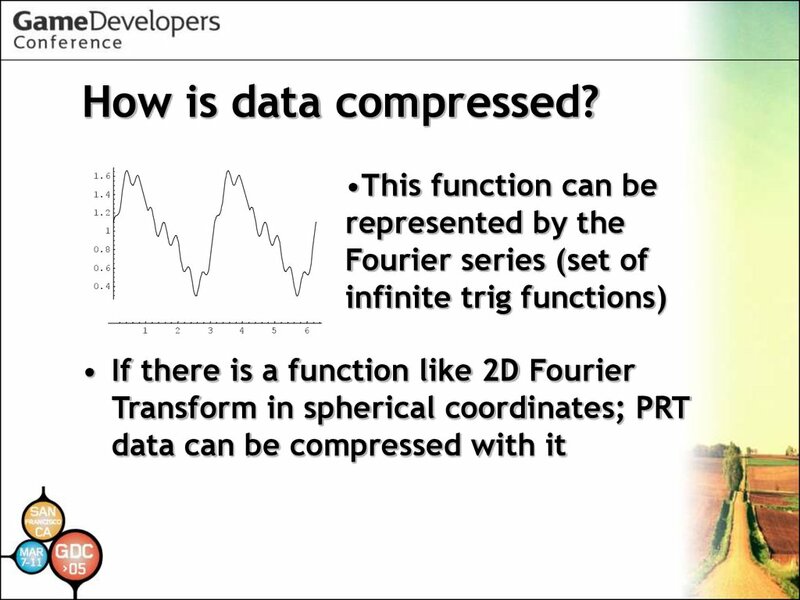 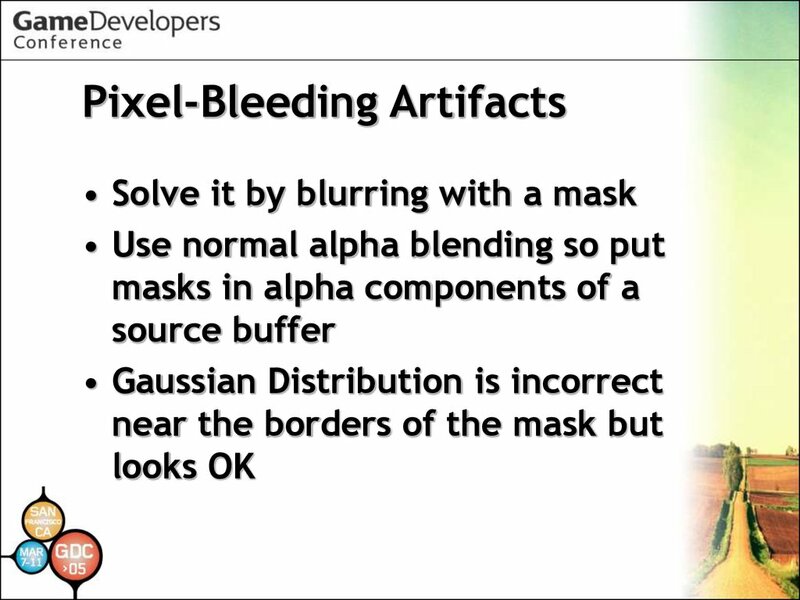 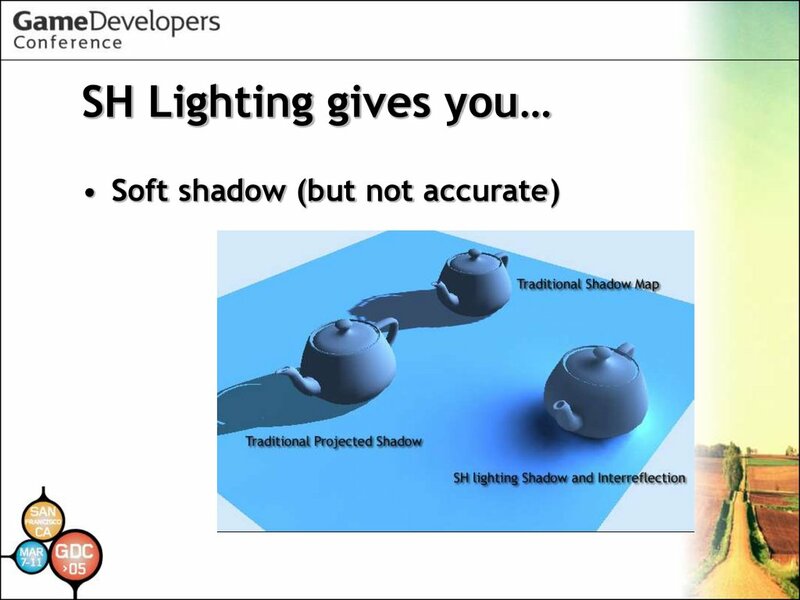 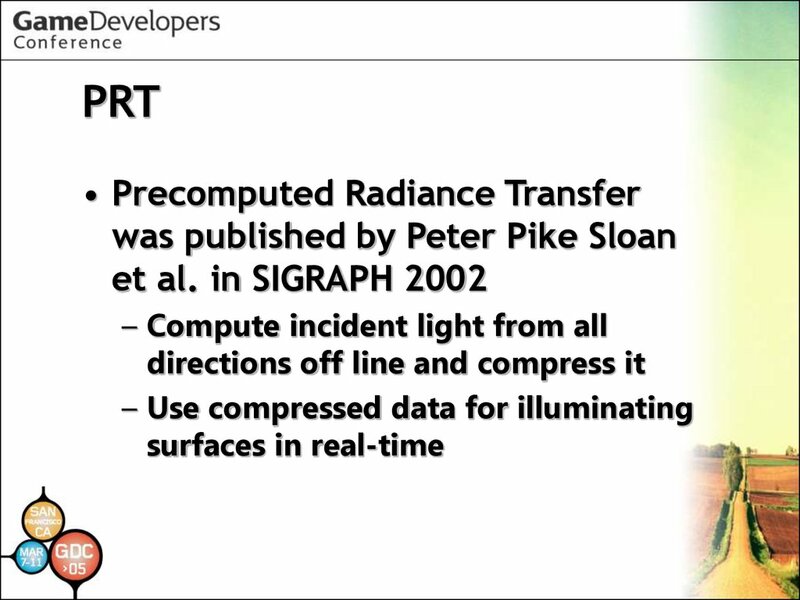 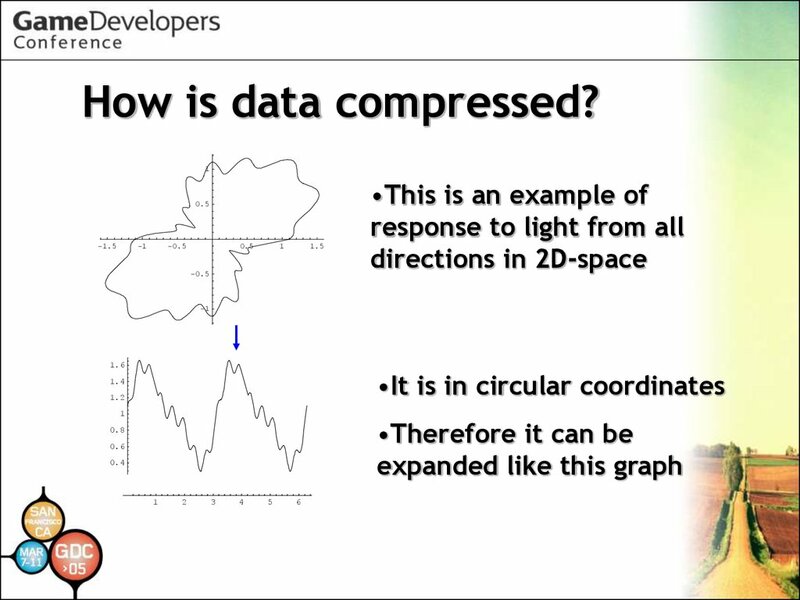 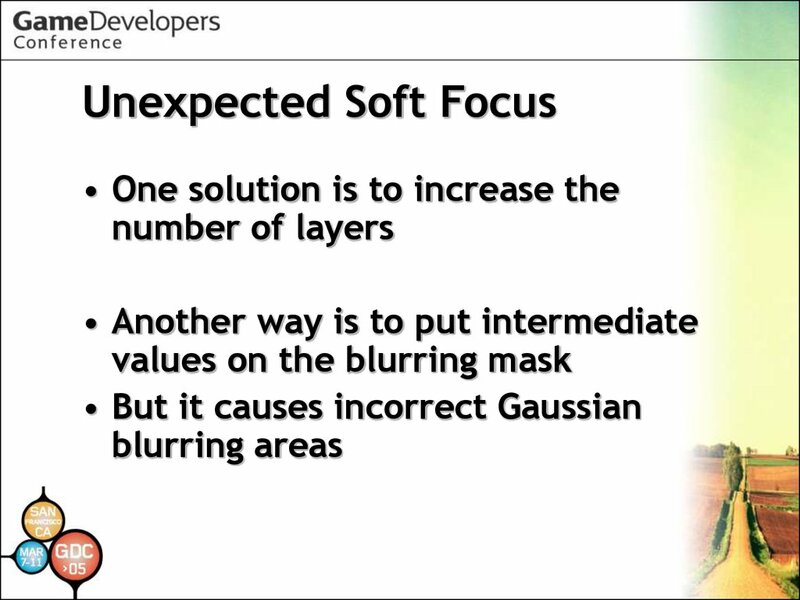 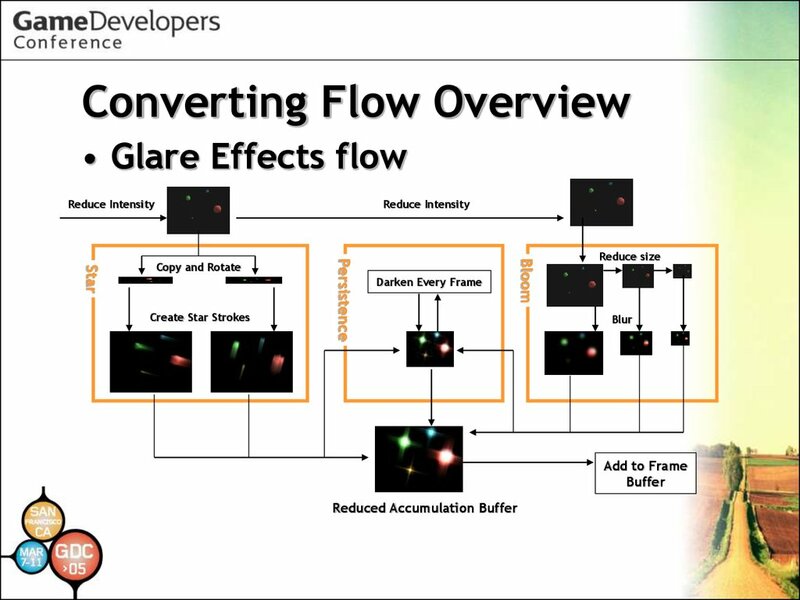 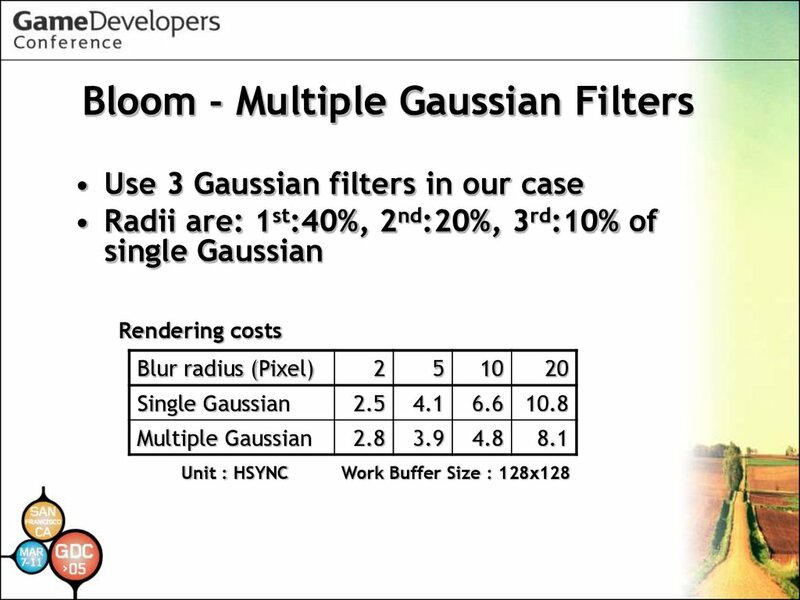 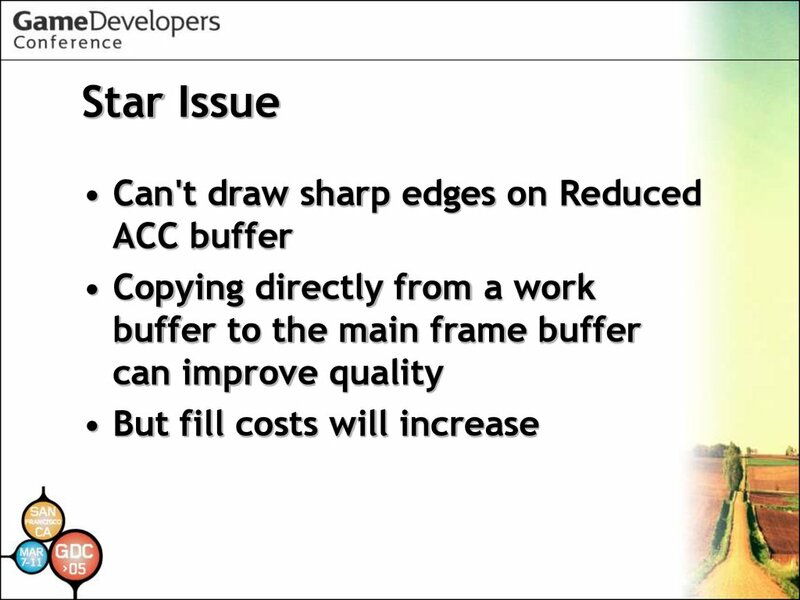 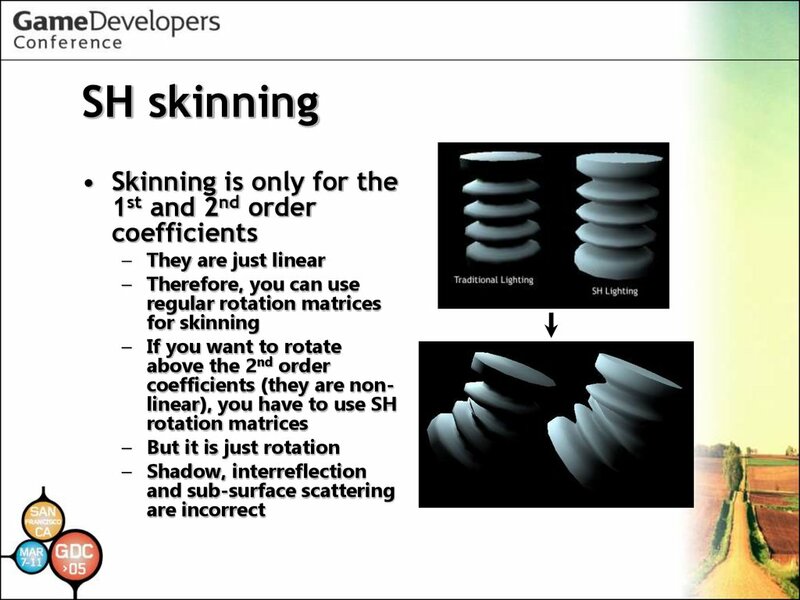 Light Scattering in Real Time“ GDC 2002. 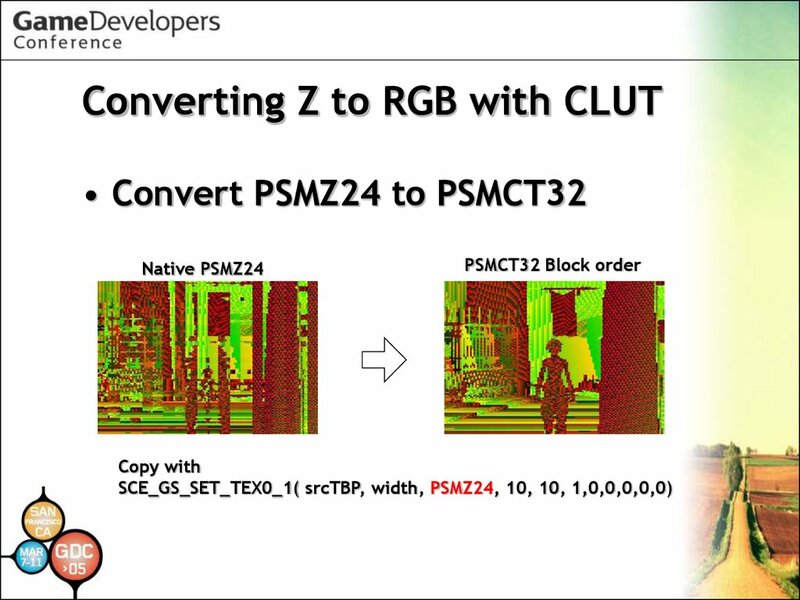 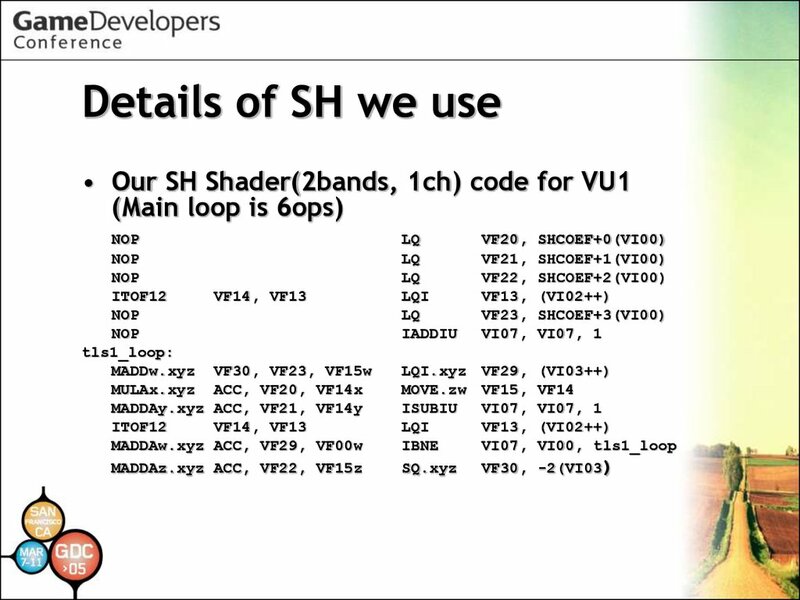 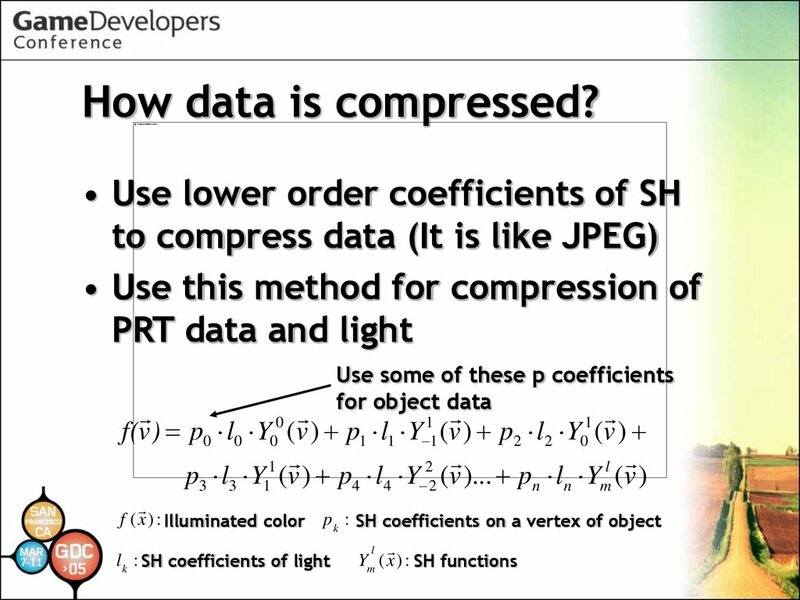 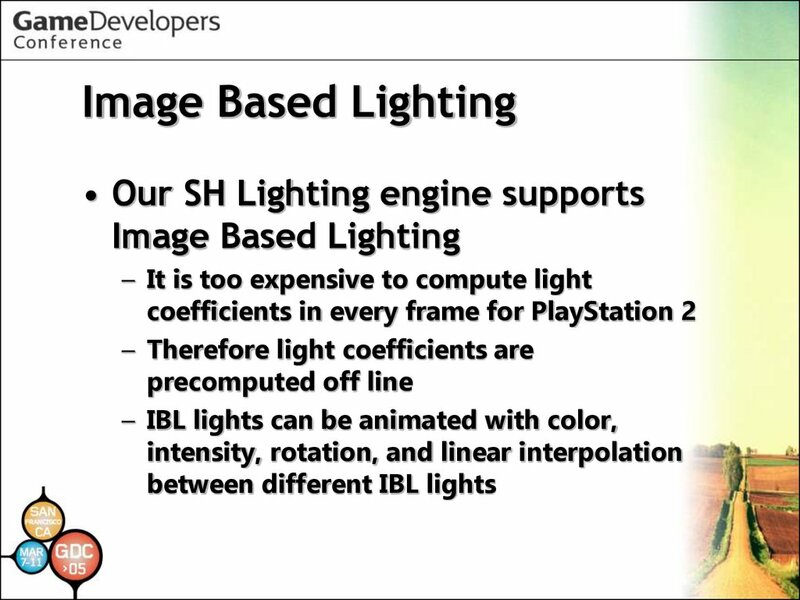 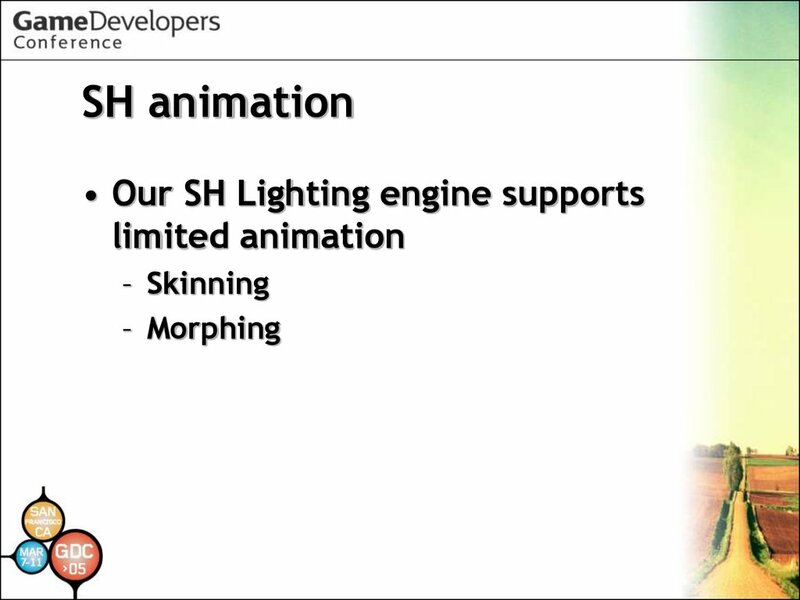 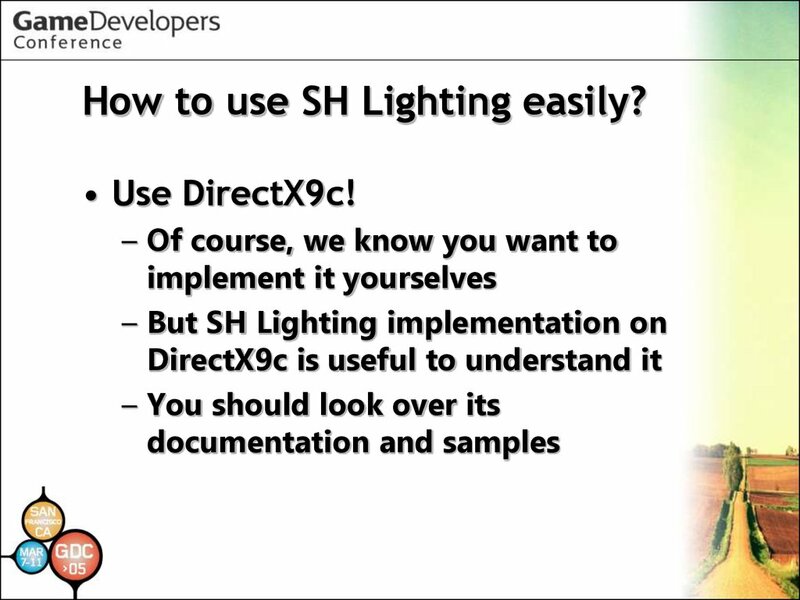 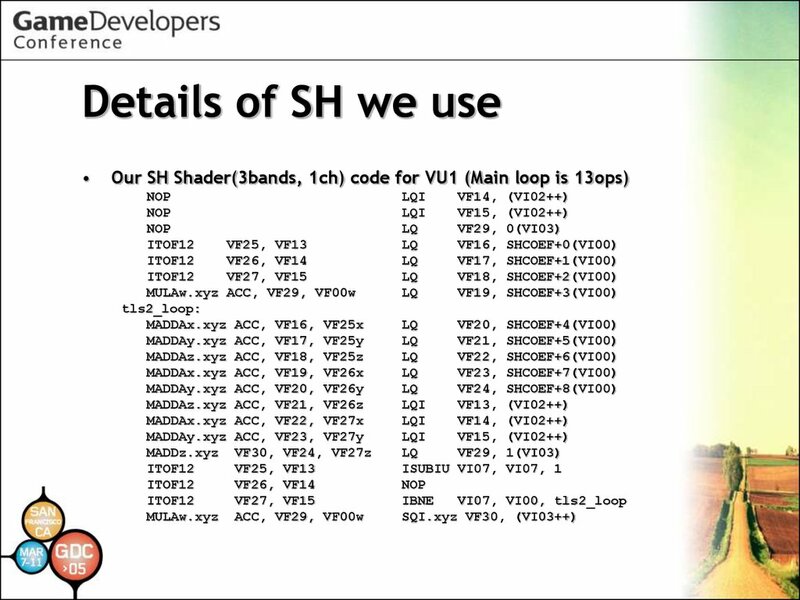 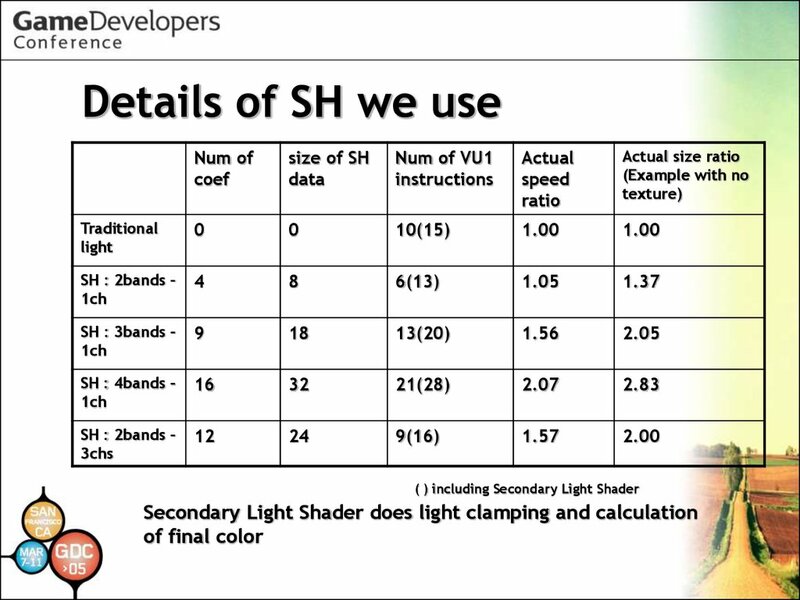 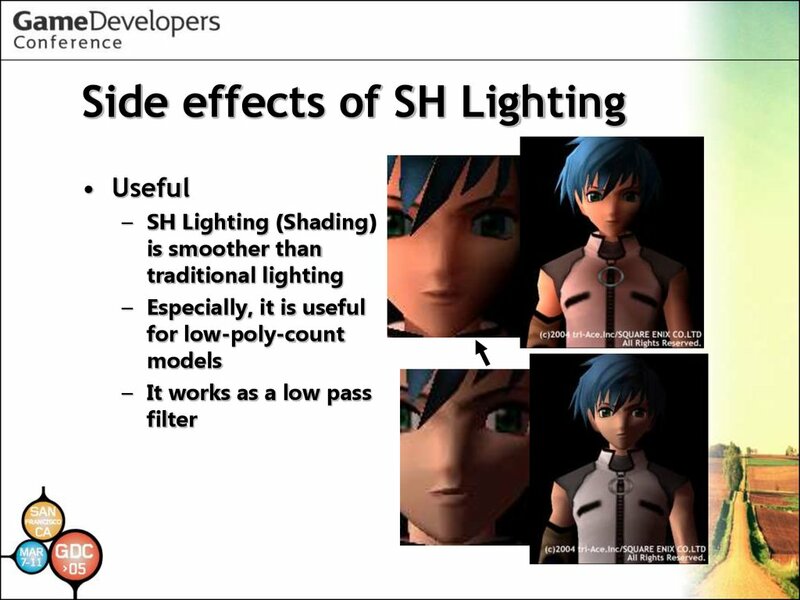 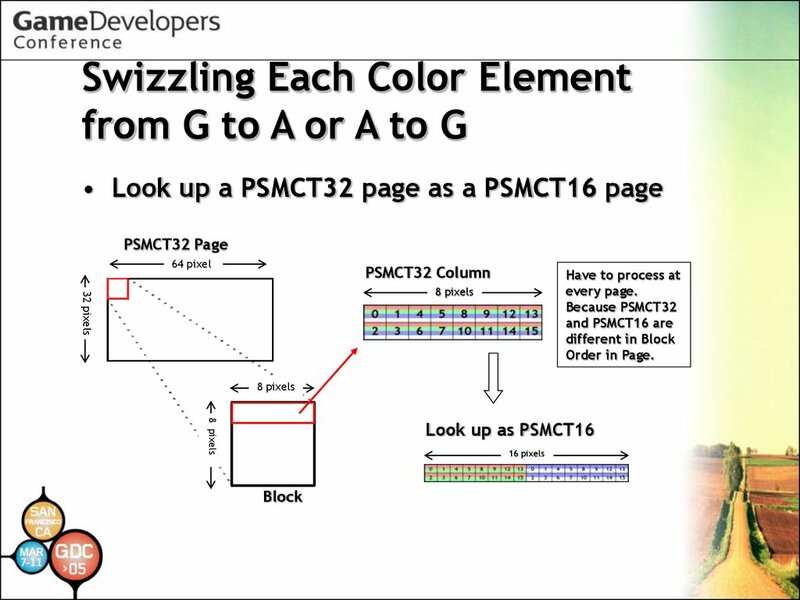 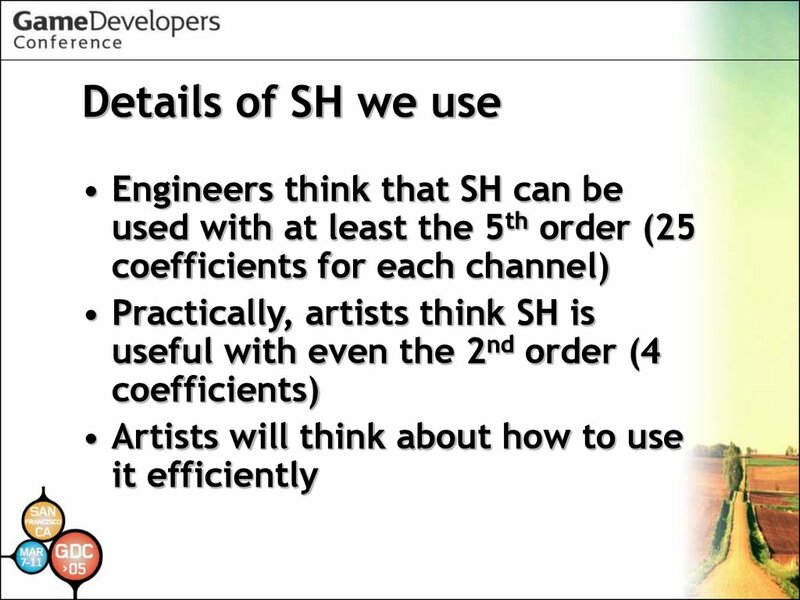 How to use SH Lighting easily? 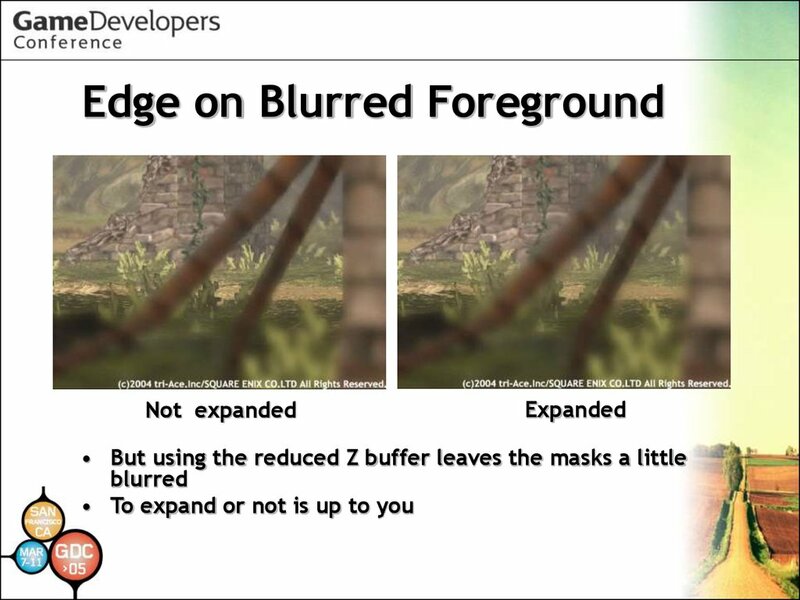 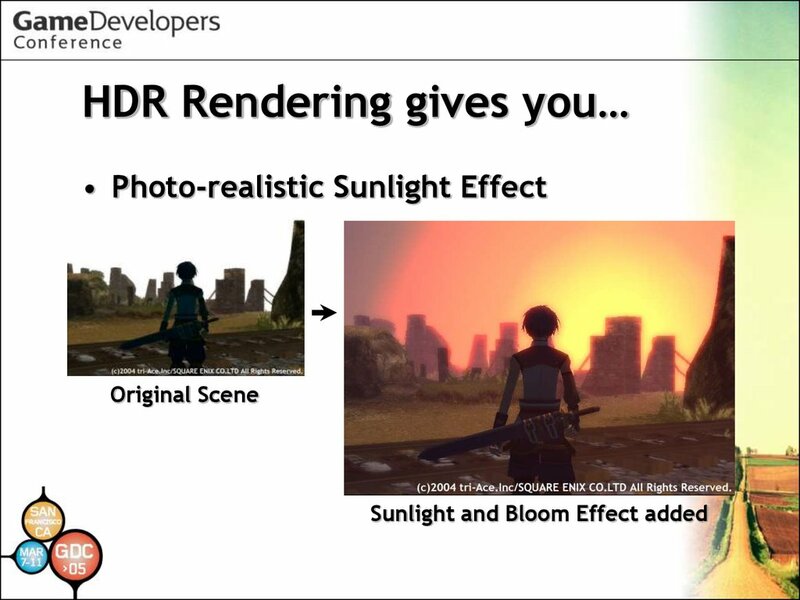 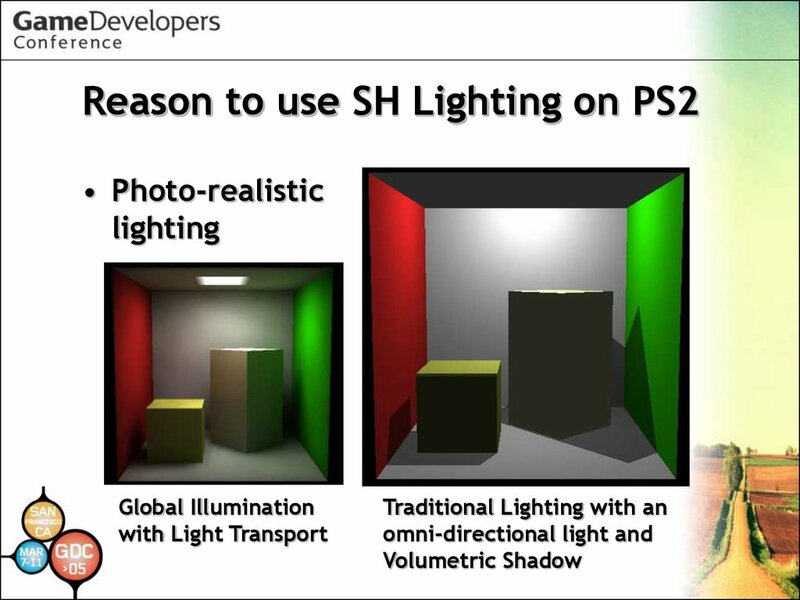 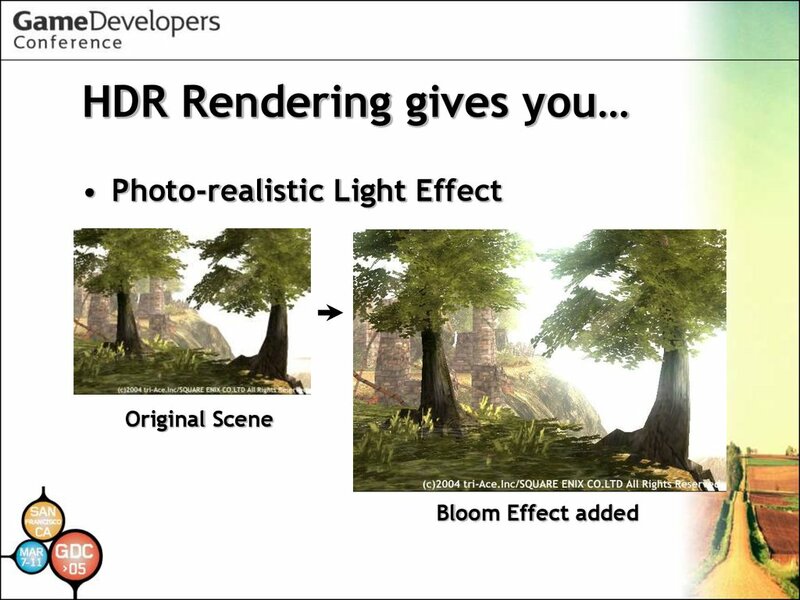 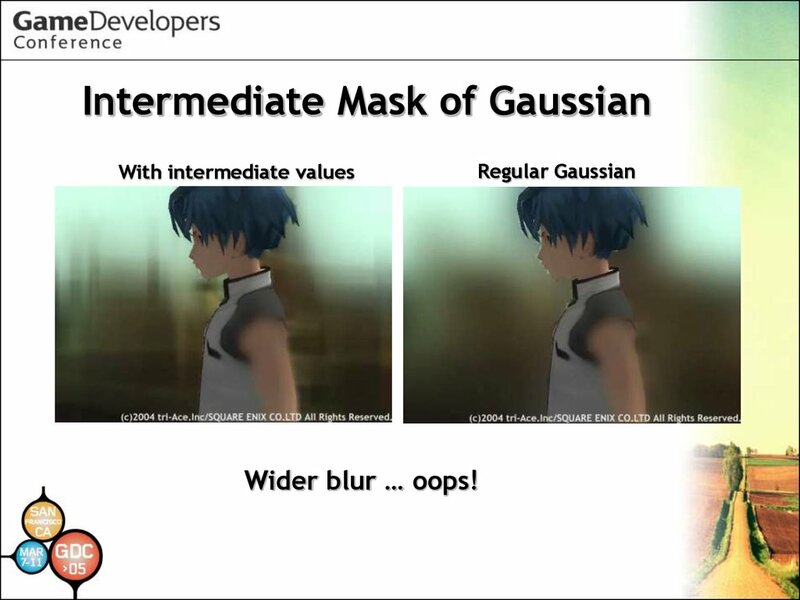 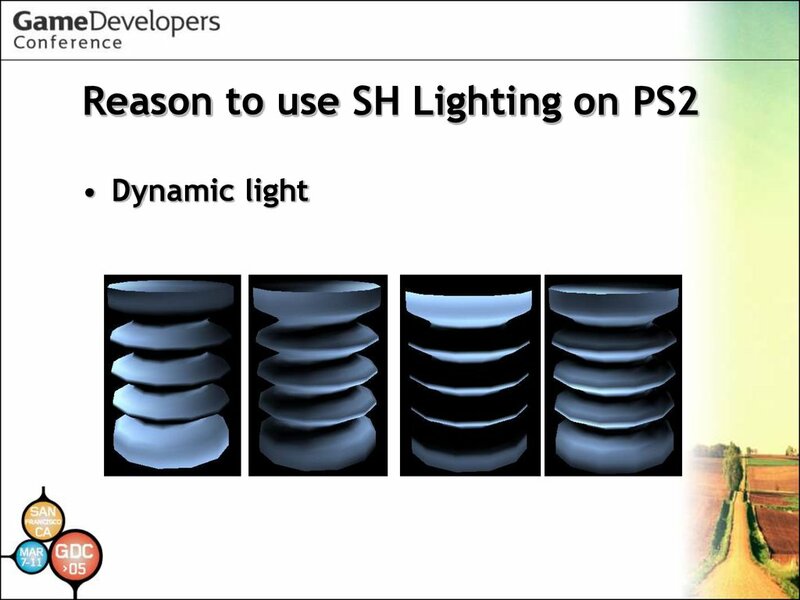 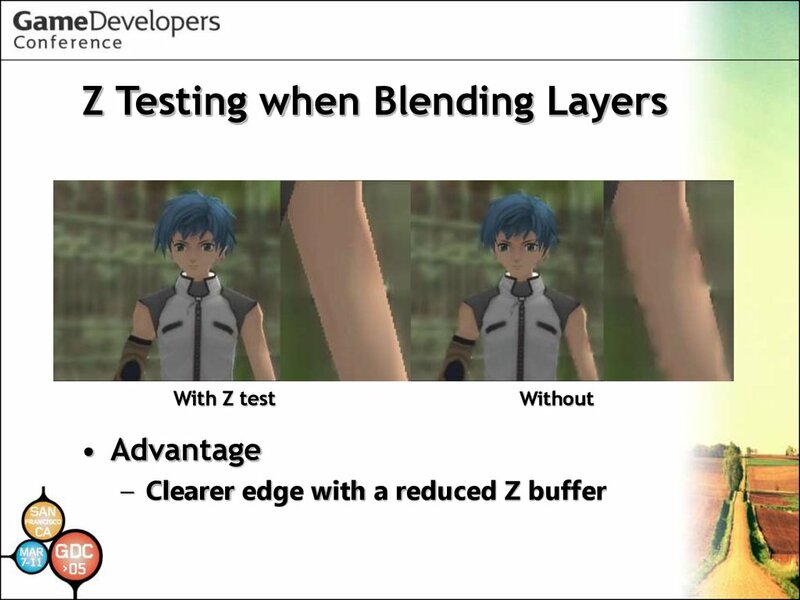 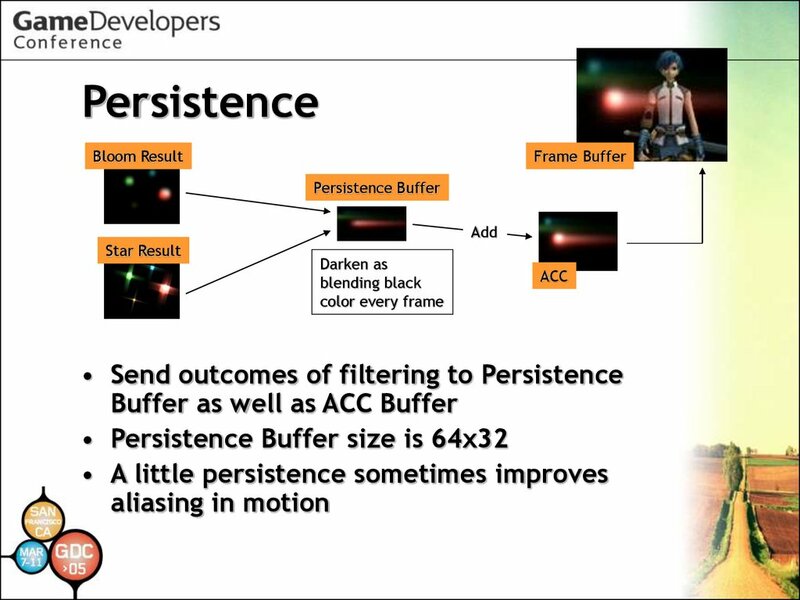 • Because light effects are pre-computed! 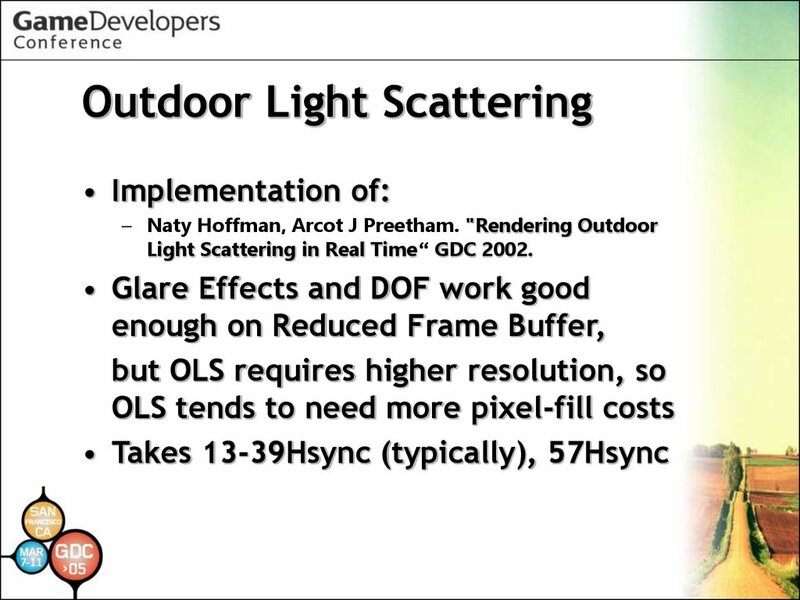 • Arcot J. Preetham. 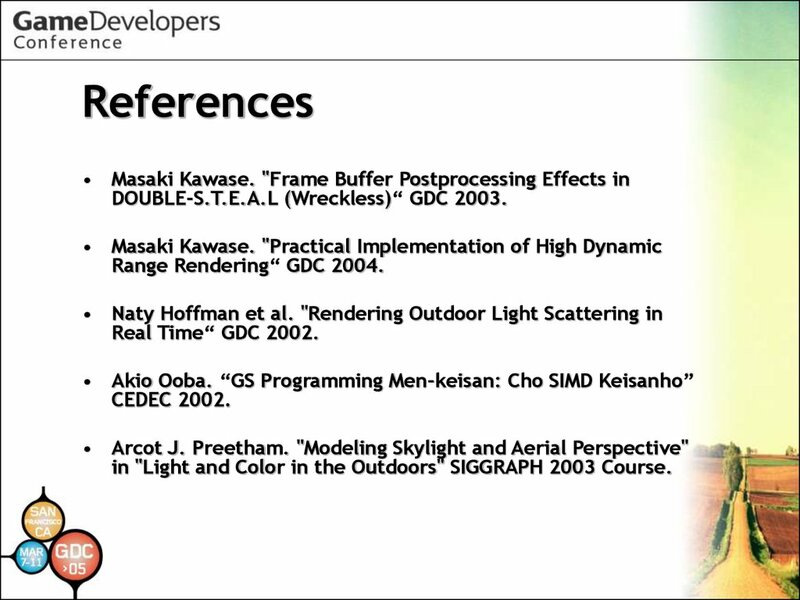 "Modeling Skylight and Aerial Perspective"
in "Light and Color in the Outdoors" SIGGRAPH 2003 Course. 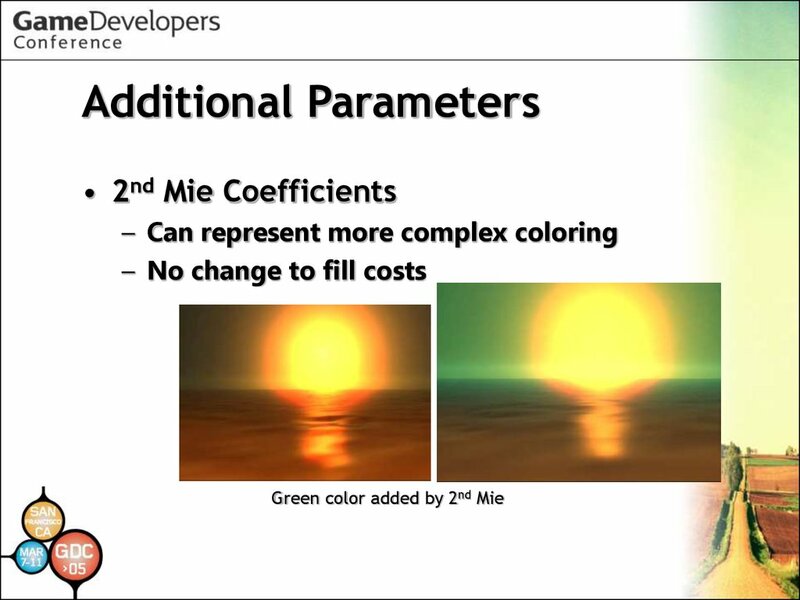 • Robin Green. 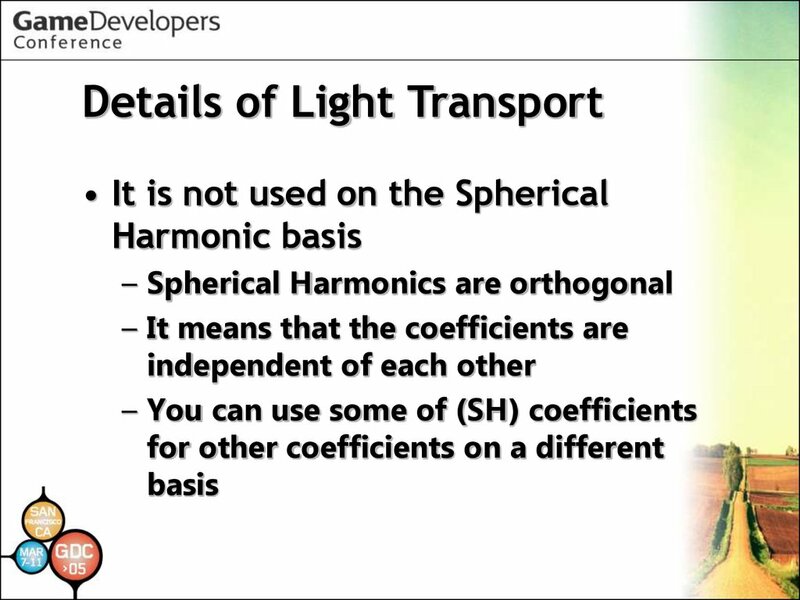 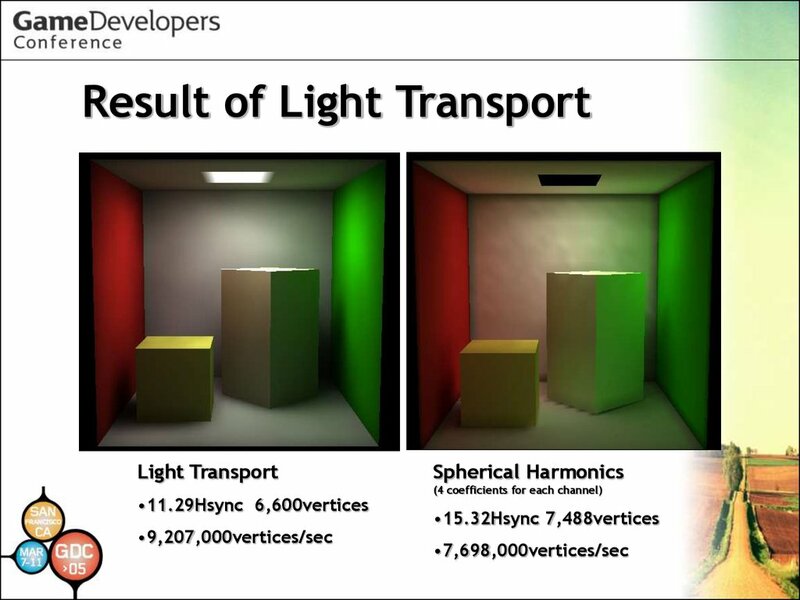 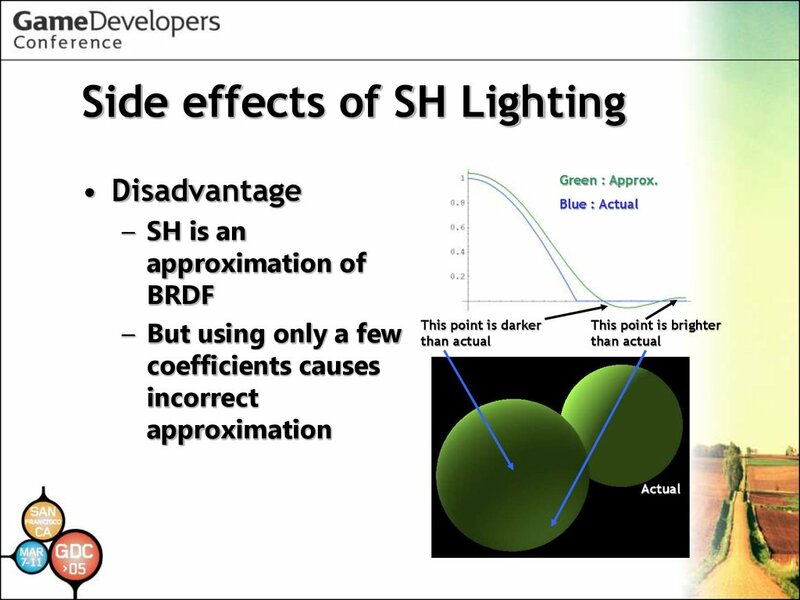 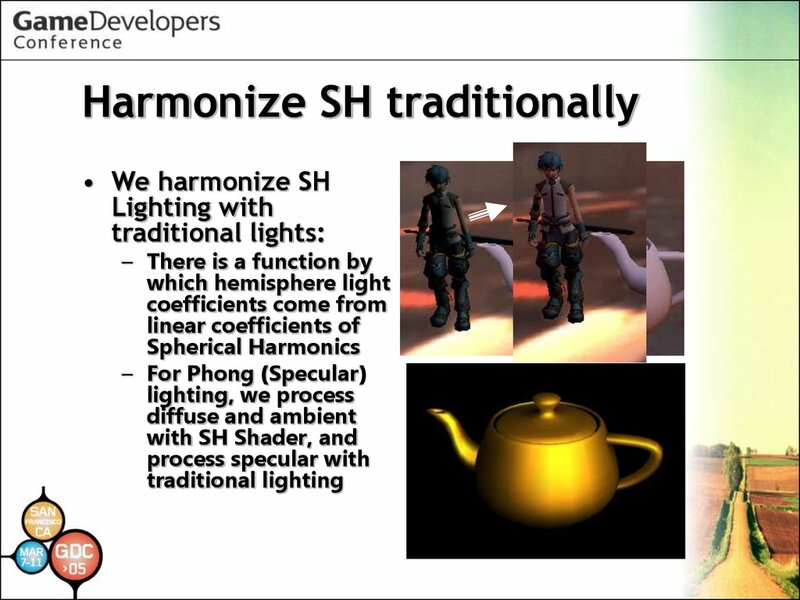 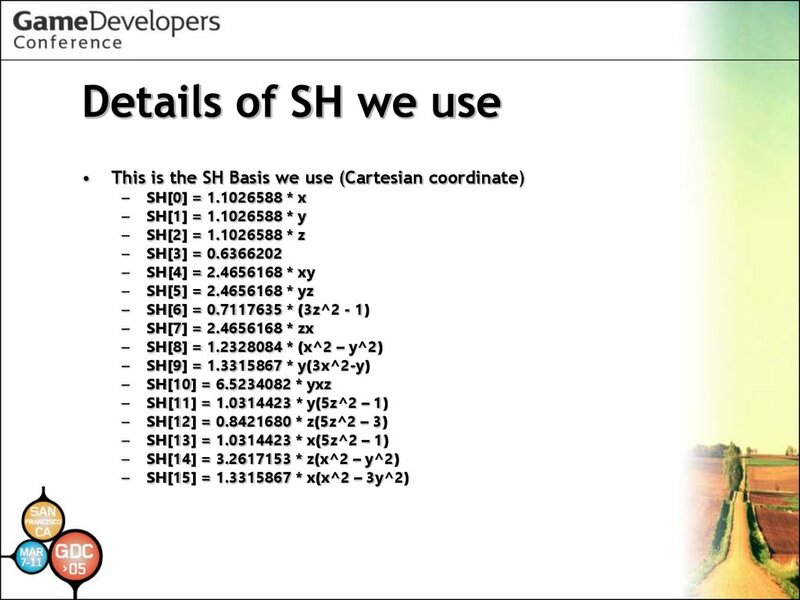 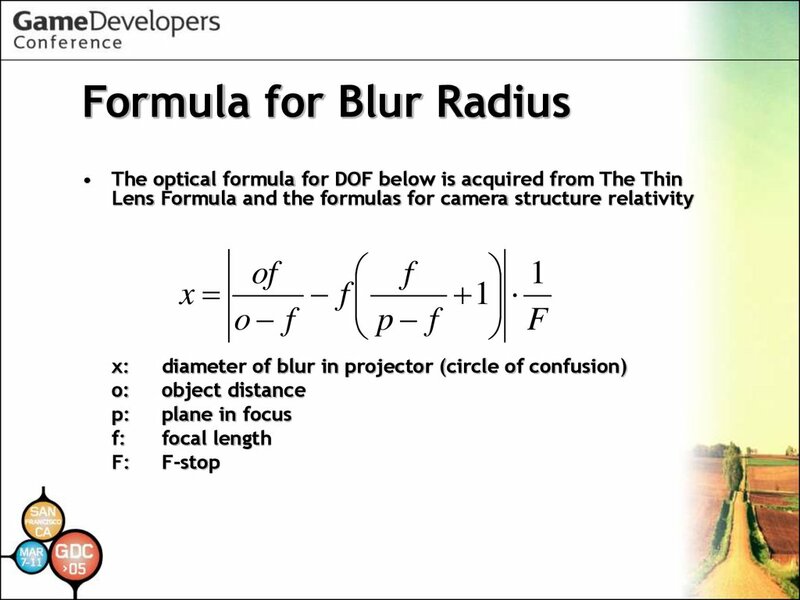 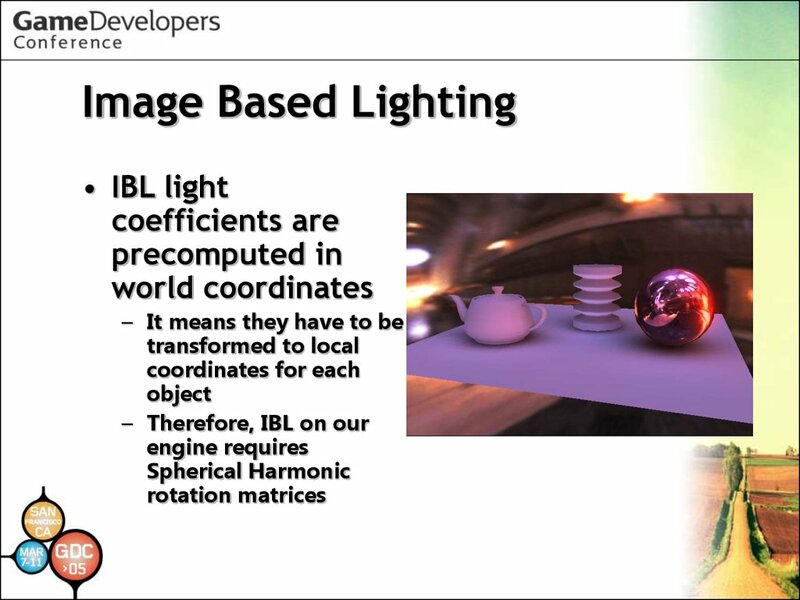 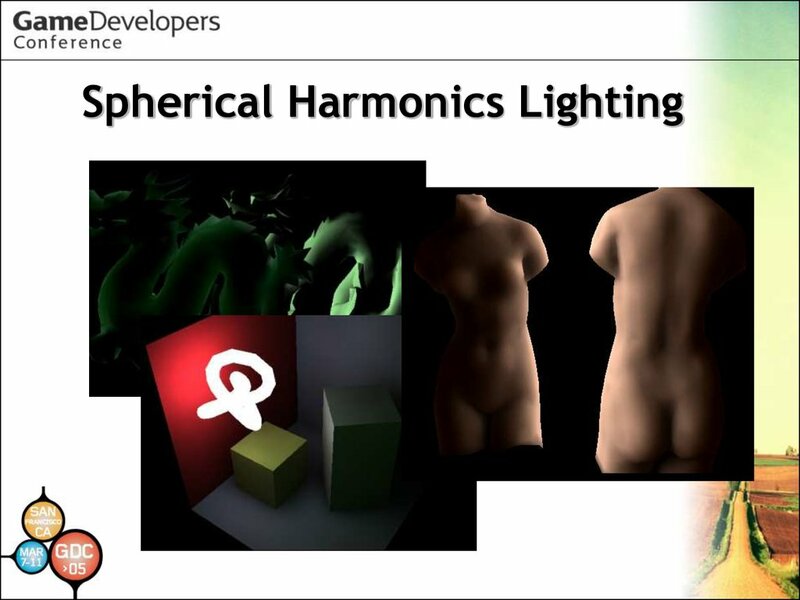 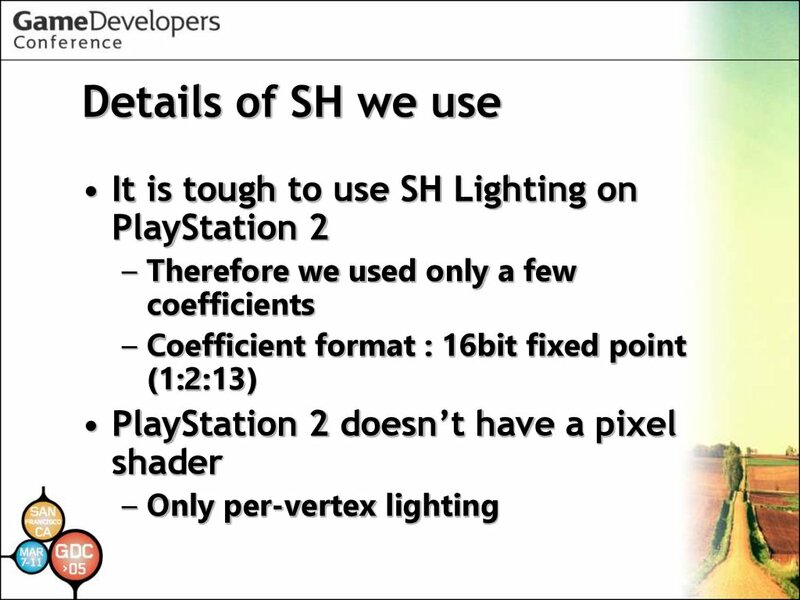 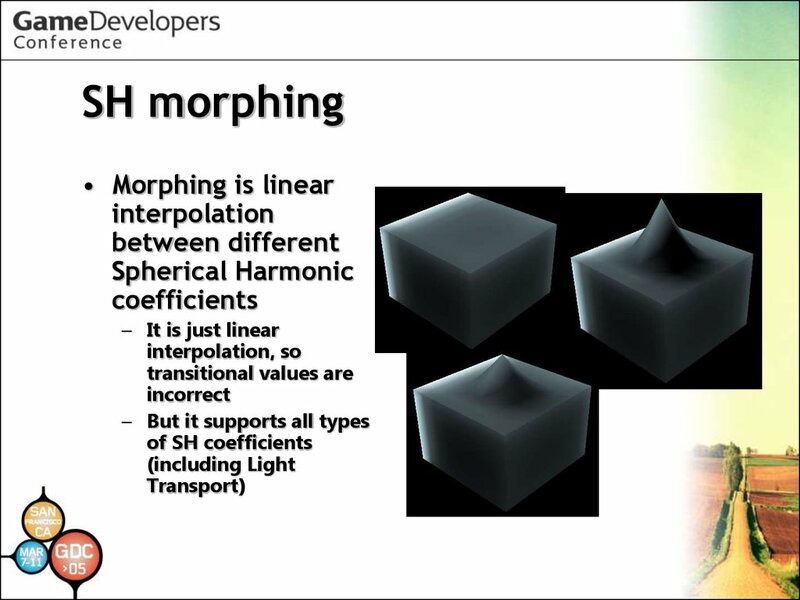 “Spherical Harmonic Lighting: The Gritty Details. 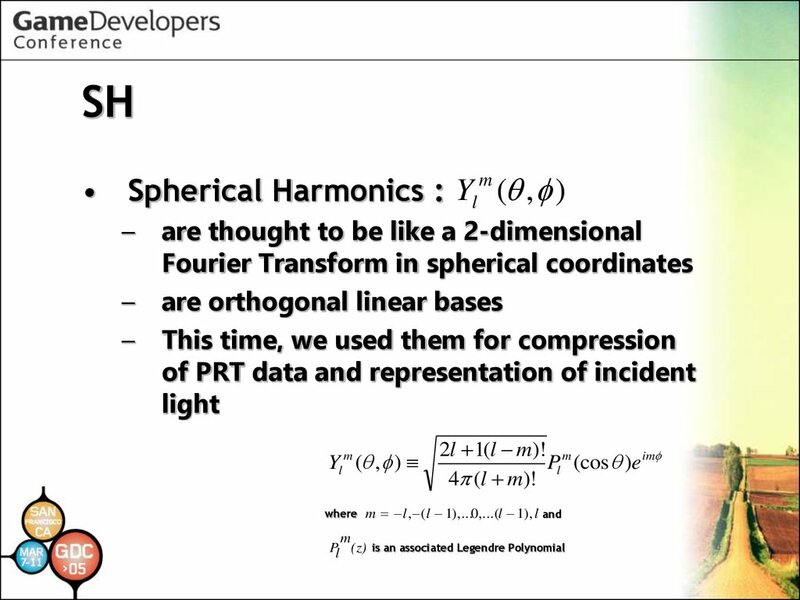 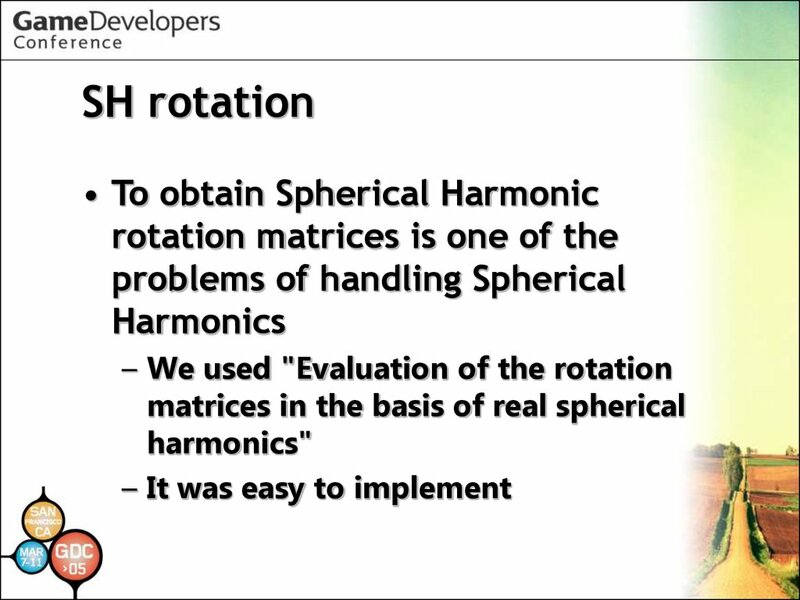 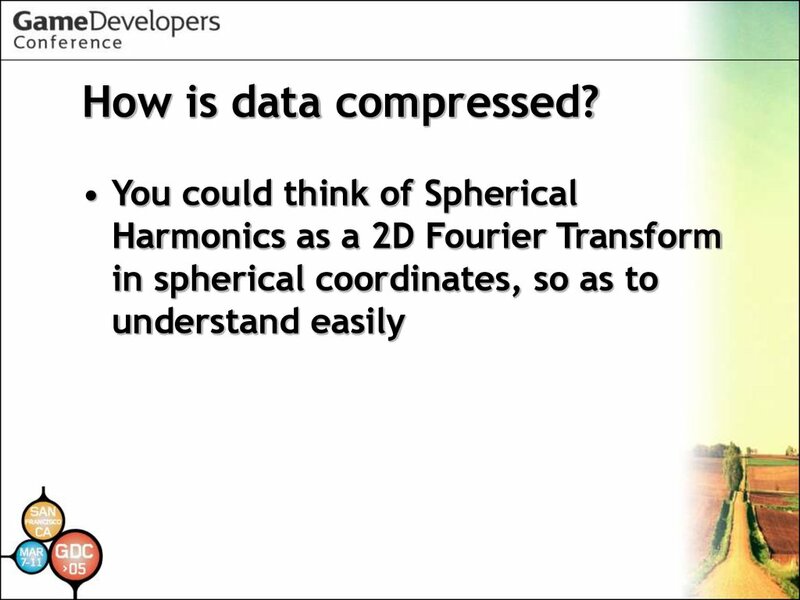 the basis of real spherical harmonics.” ECCC-3 1997. 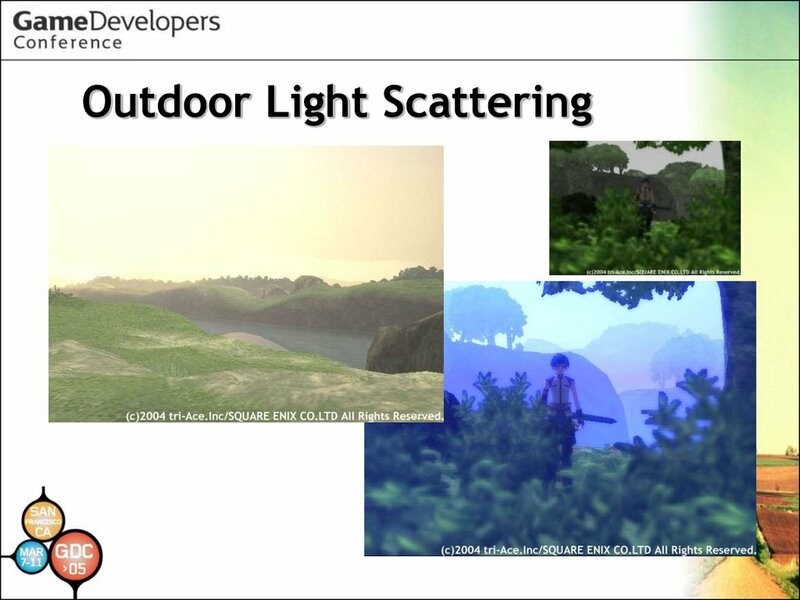 Mapping.” A K PETERS LTD, 2001.